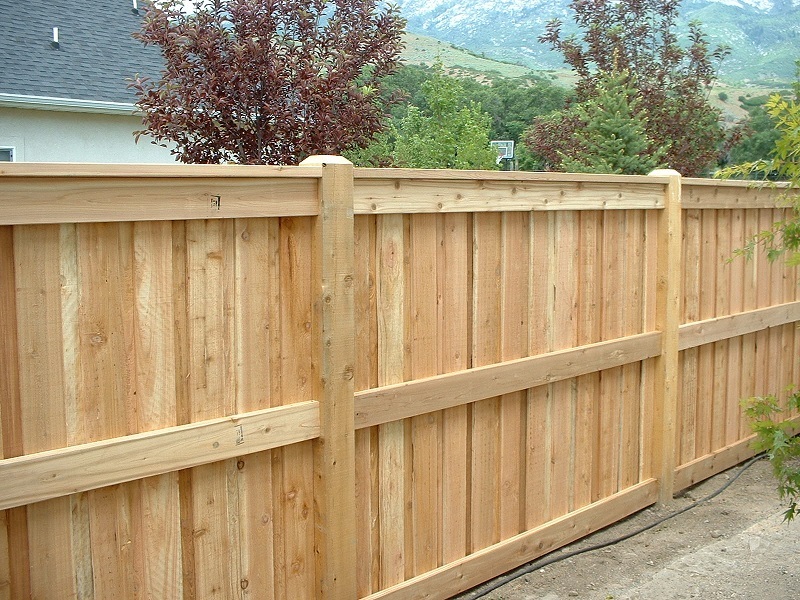 A good fence is like the frame on a work of art. 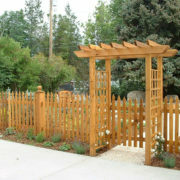 It won’t steal the show, but it will compliment and continue the artist’s vision. 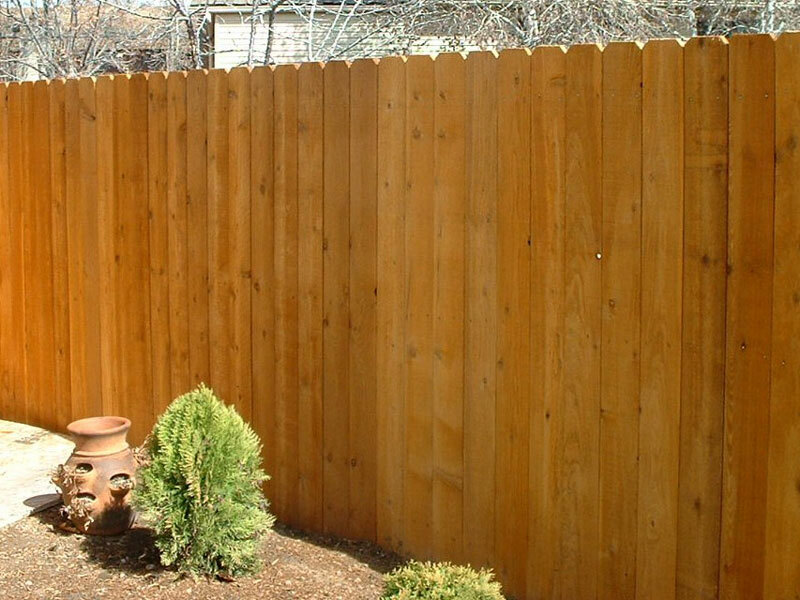 Nothing can compare to a beautiful natural looking wood fence. 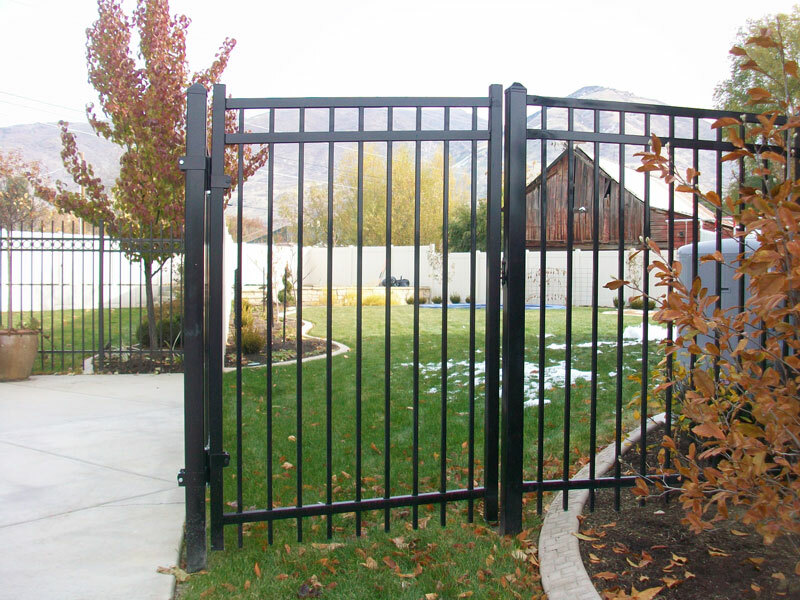 Strong, private and secure and built to your specifications. 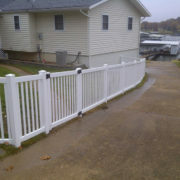 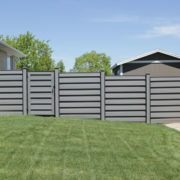 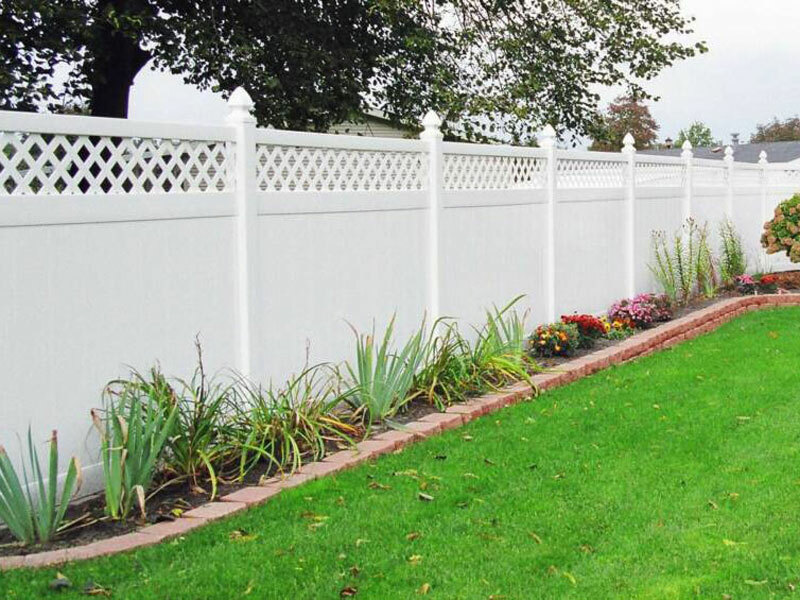 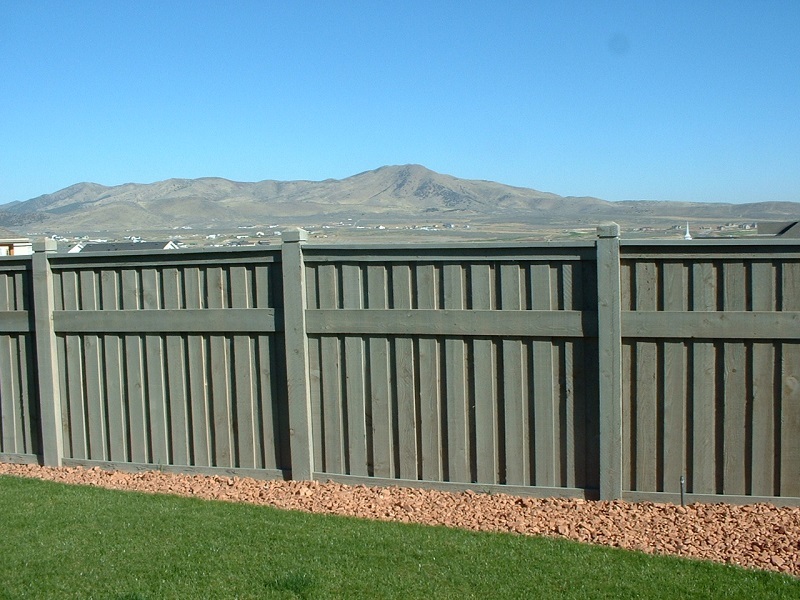 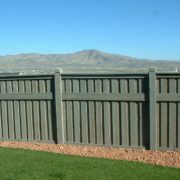 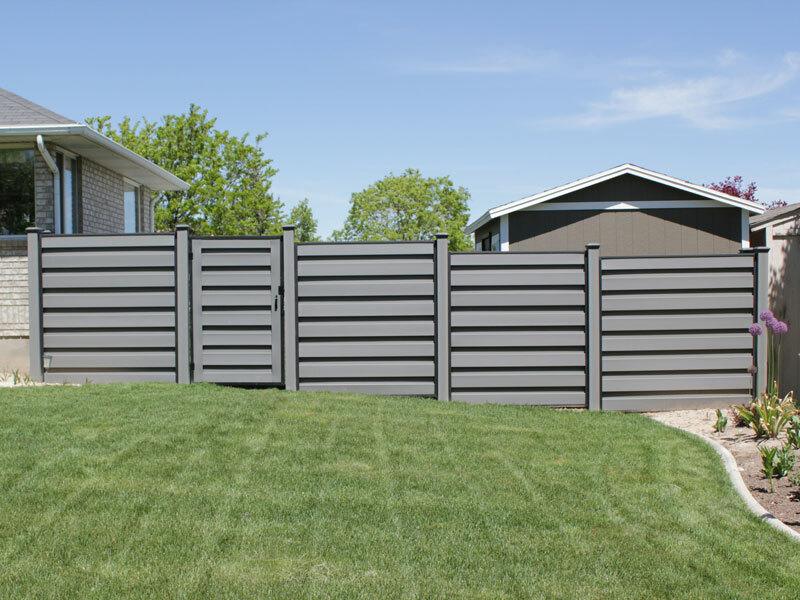 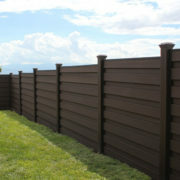 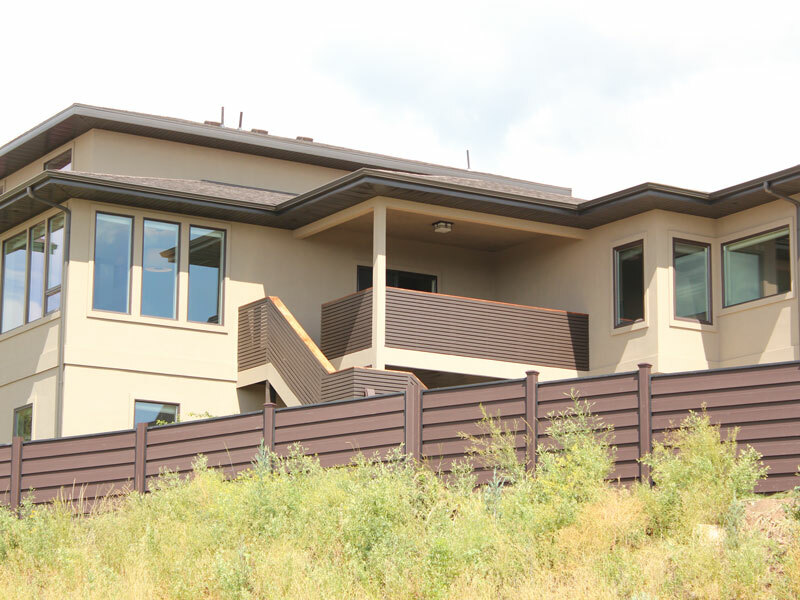 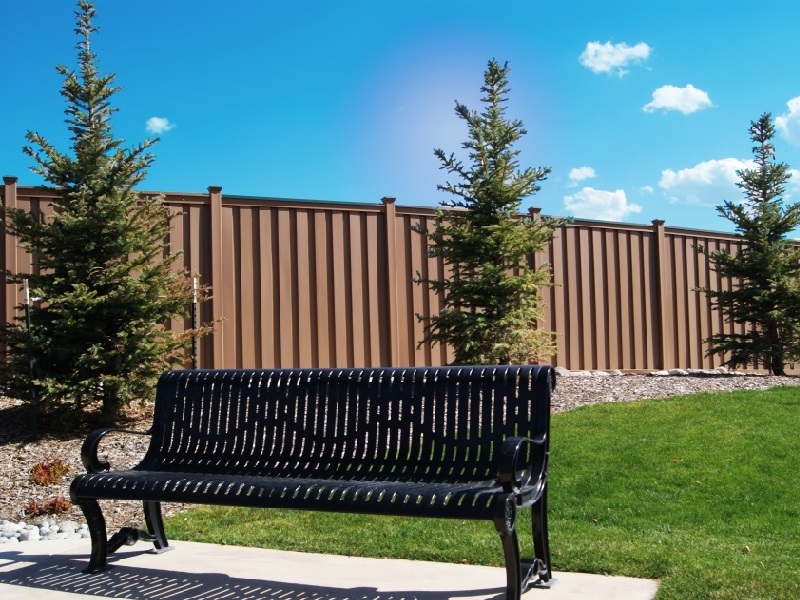 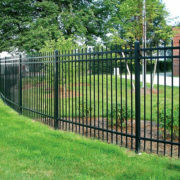 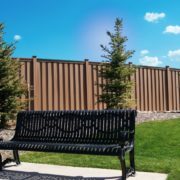 Low maintenance and durability is what makes this modern looking composite fence the right choice. 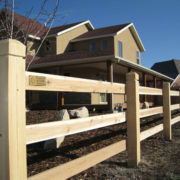 Backed by Trex the leading manufacturer of composites. 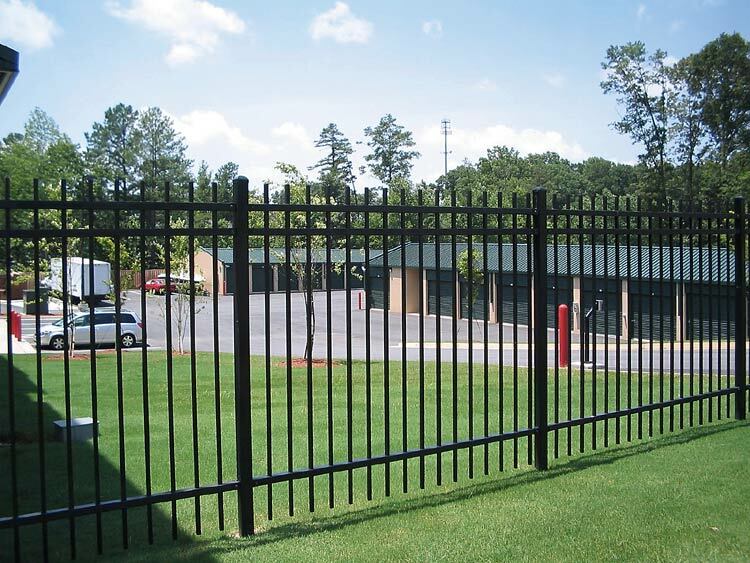 When safety and security is your first priority look to IronGuard products. 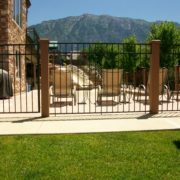 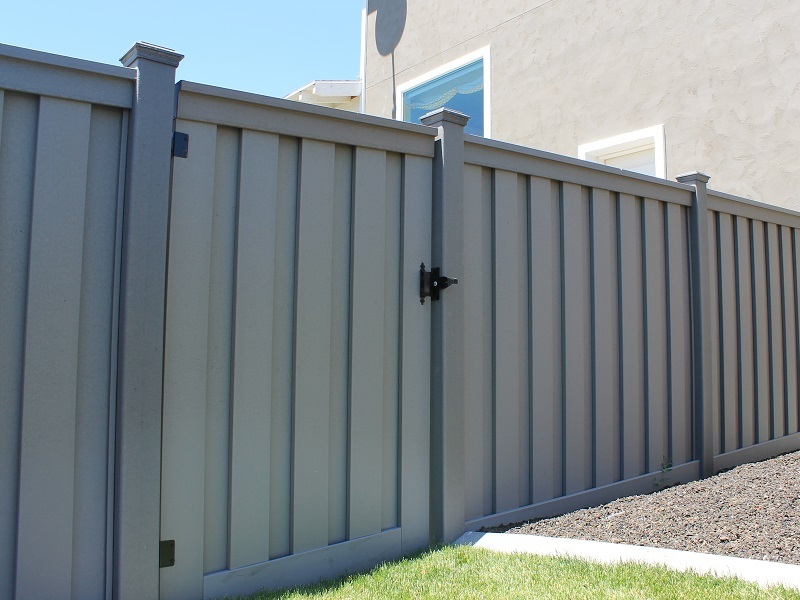 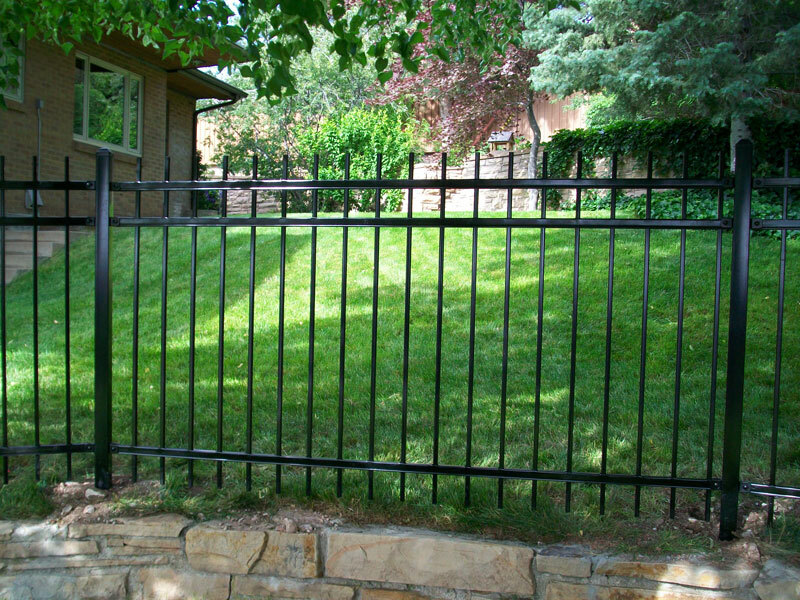 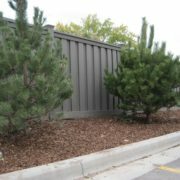 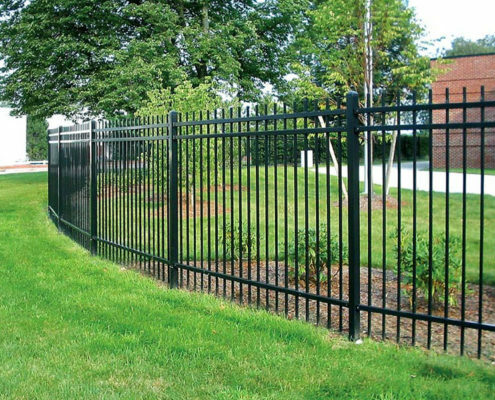 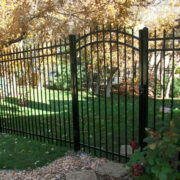 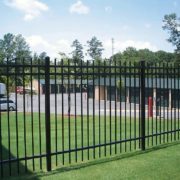 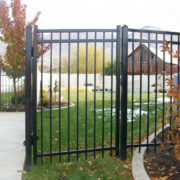 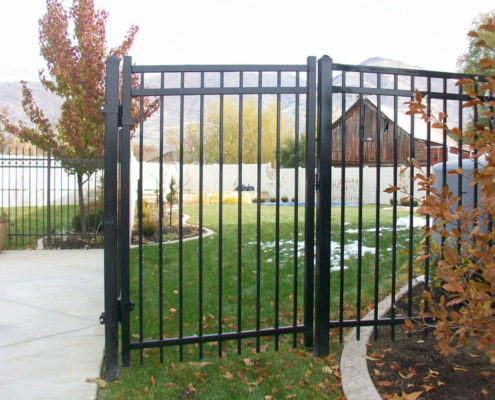 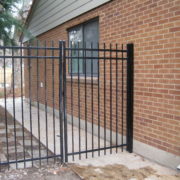 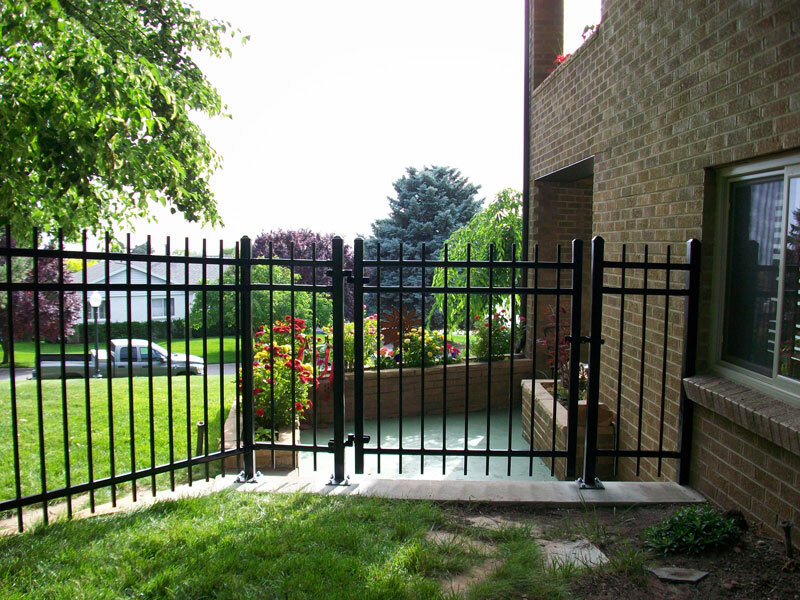 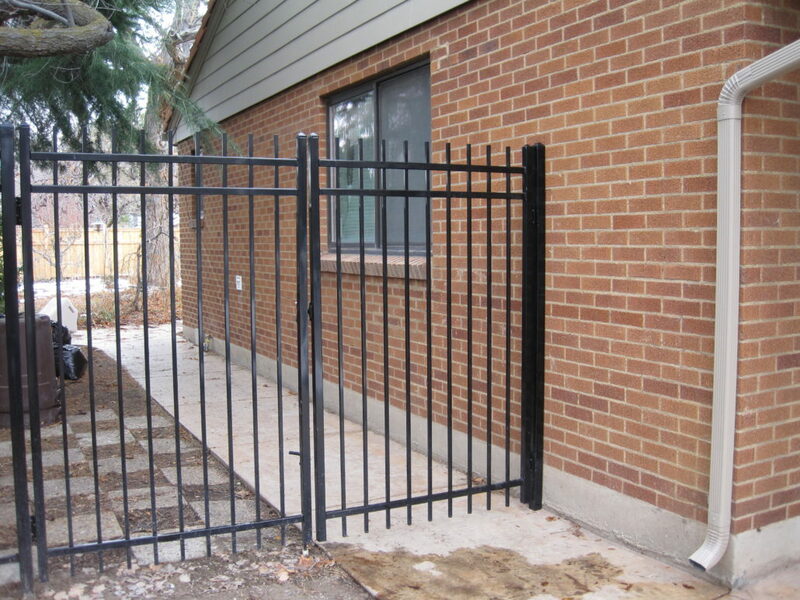 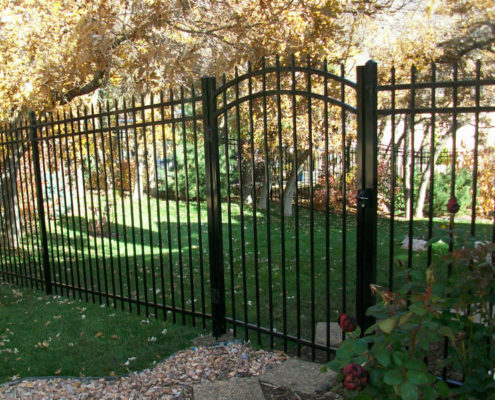 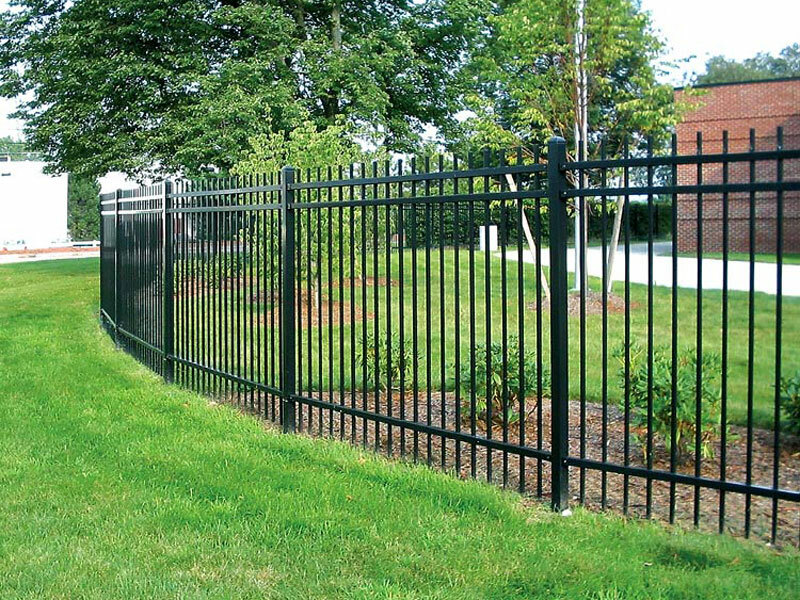 This steel fencing undergoes a series of powder coating processes to insure that you have a steel fence that will hold up to all that nature has to offer. 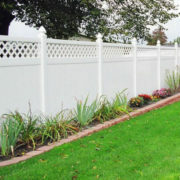 Looking for a more stately look yet easy to install? 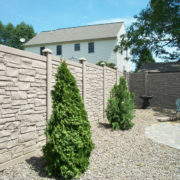 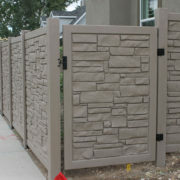 These 6’ panels may look like rock but they are light, easy to handle and provide the ultimate in low maintenance. 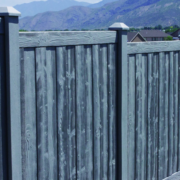 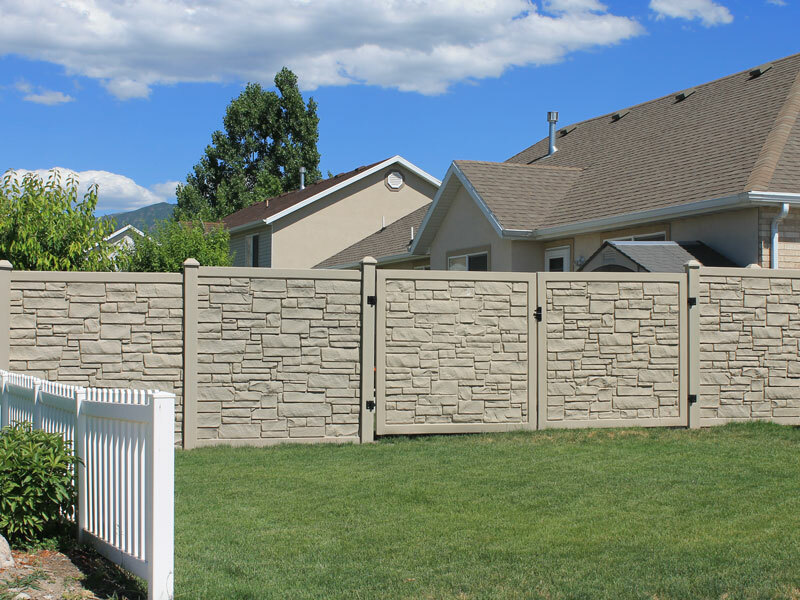 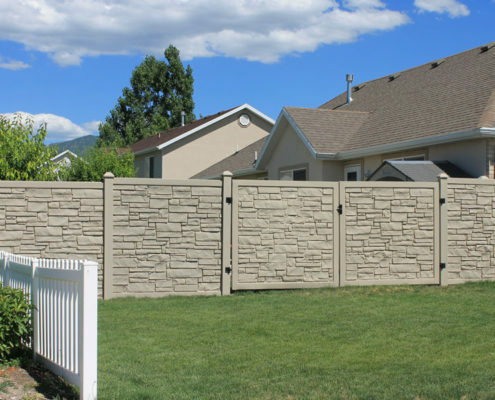 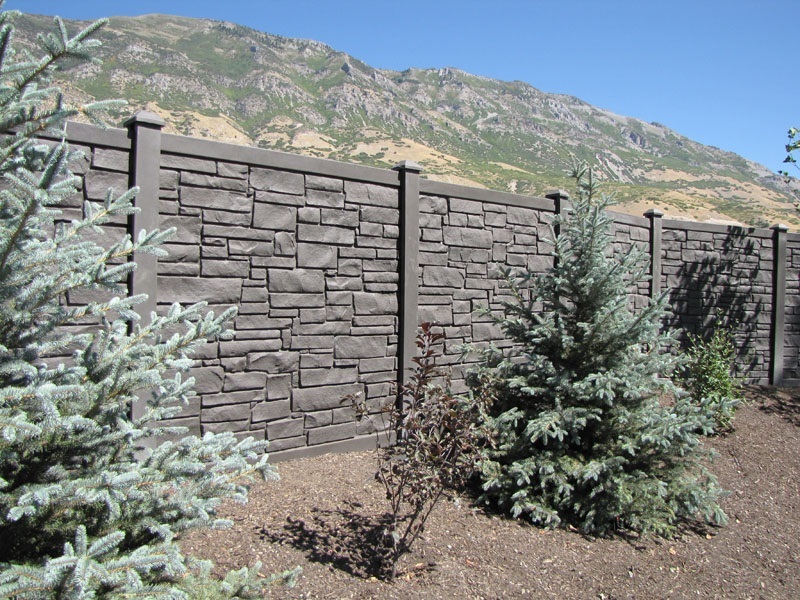 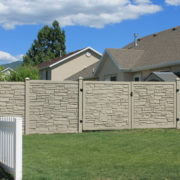 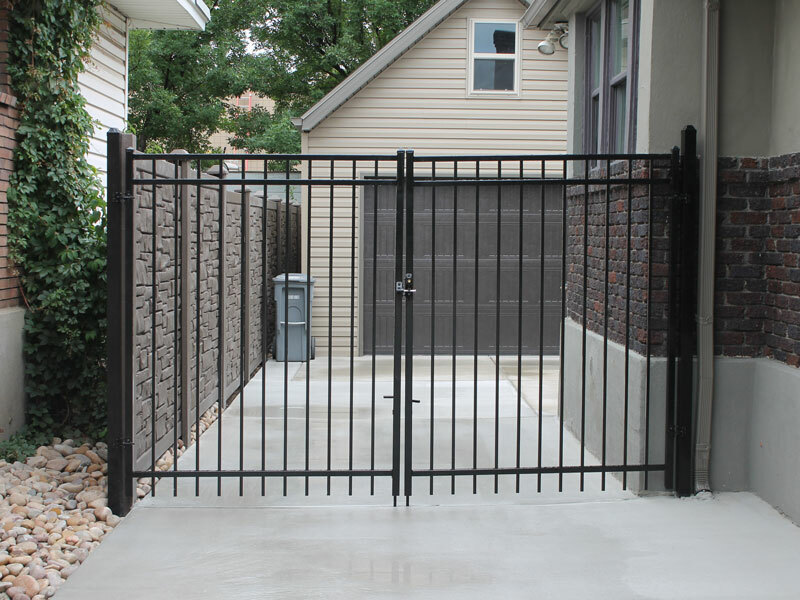 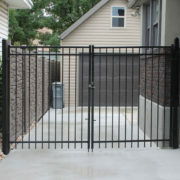 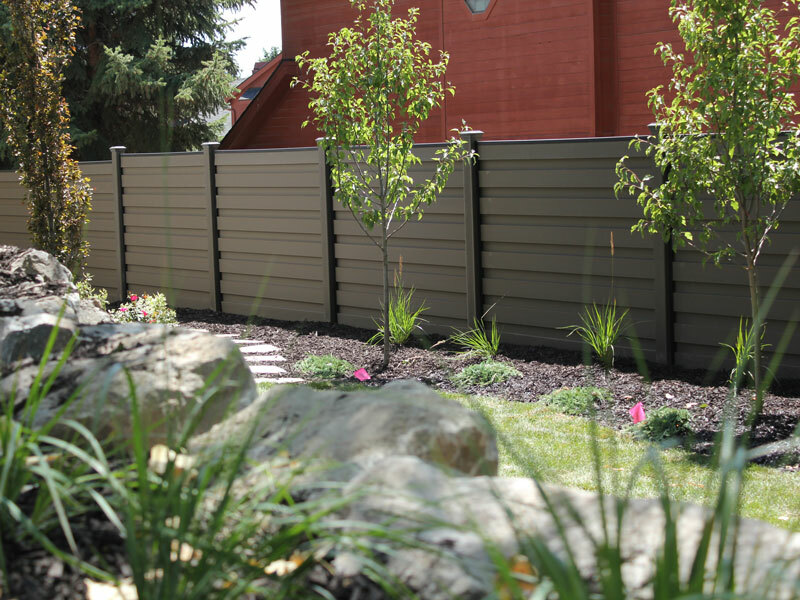 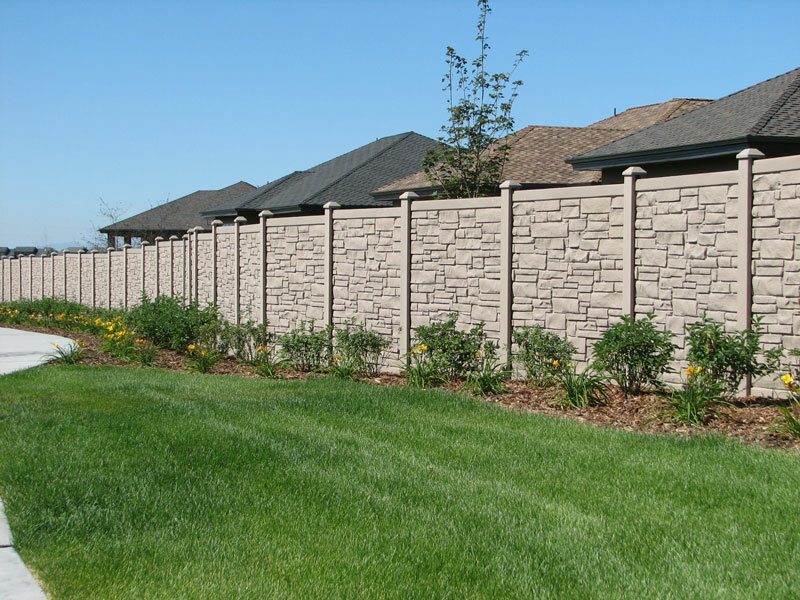 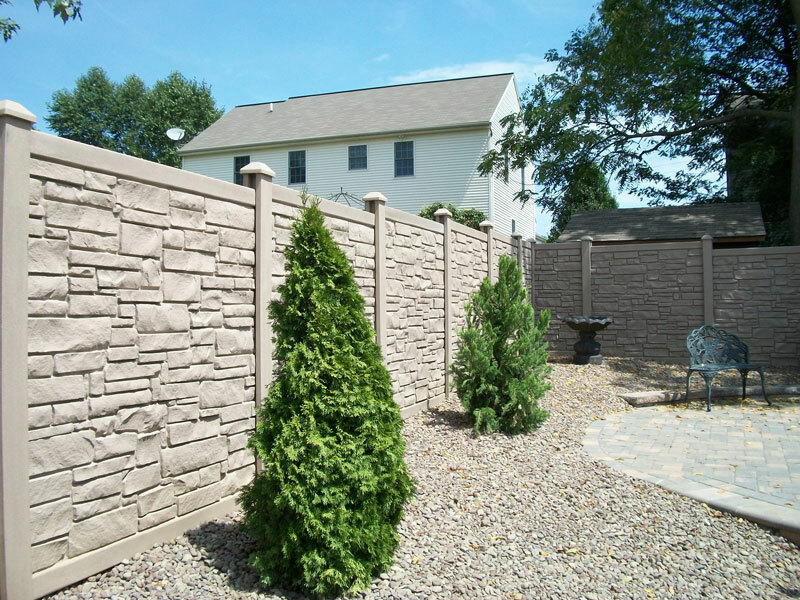 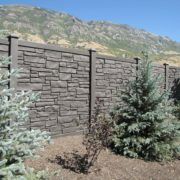 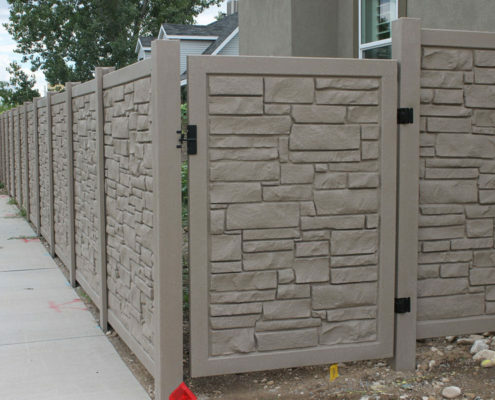 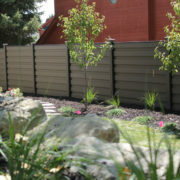 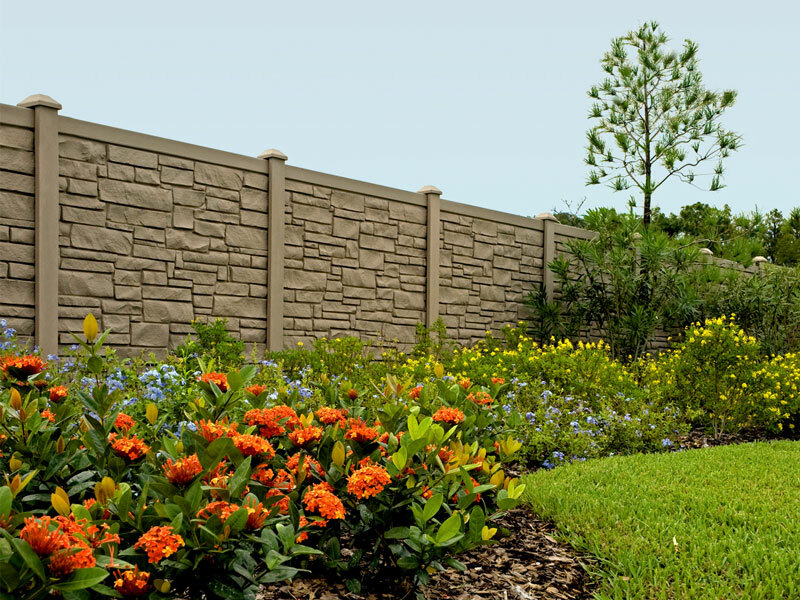 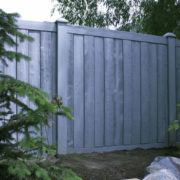 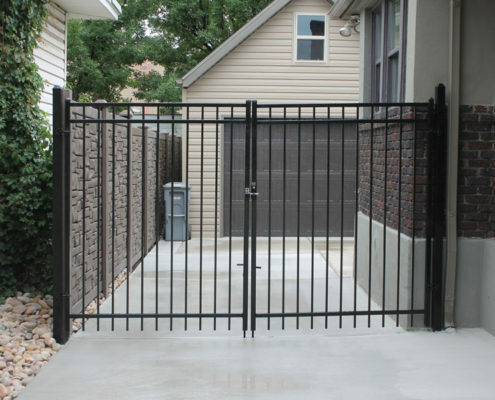 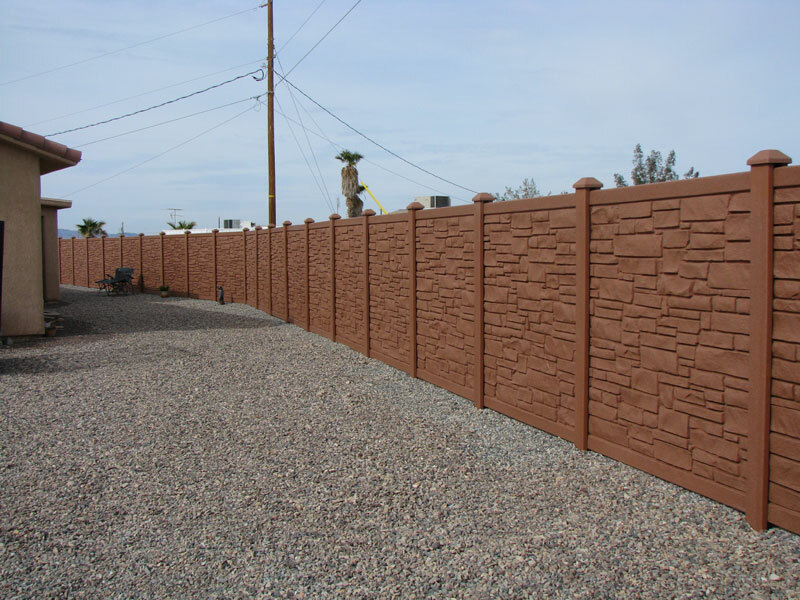 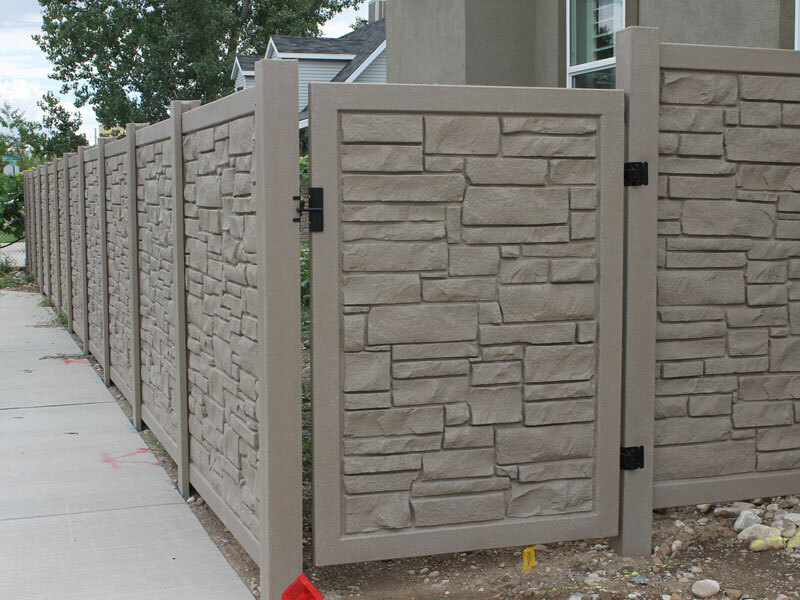 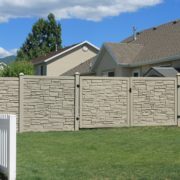 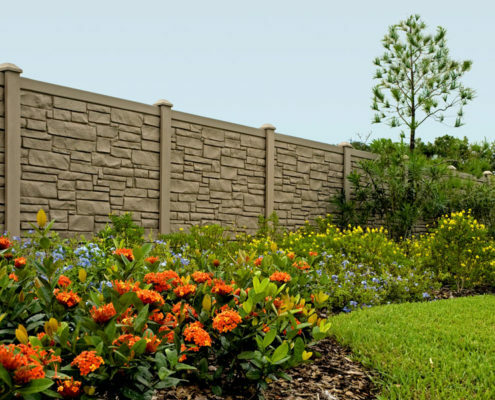 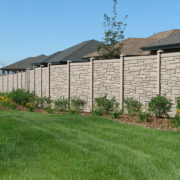 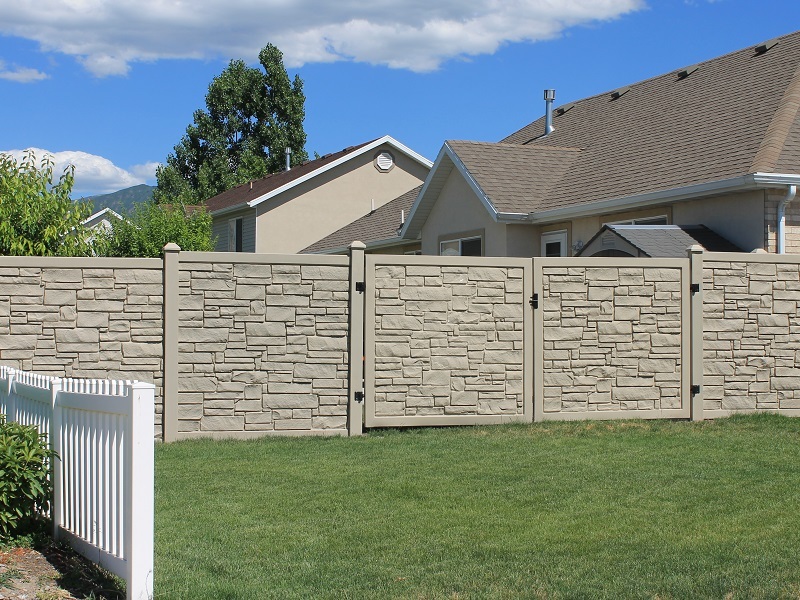 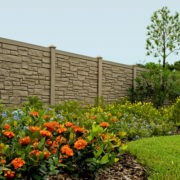 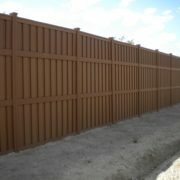 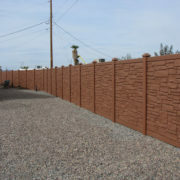 Made by Simtek Eco Stone is a revolutionary fence made of polyethylene that is as strong as it is beautiful. 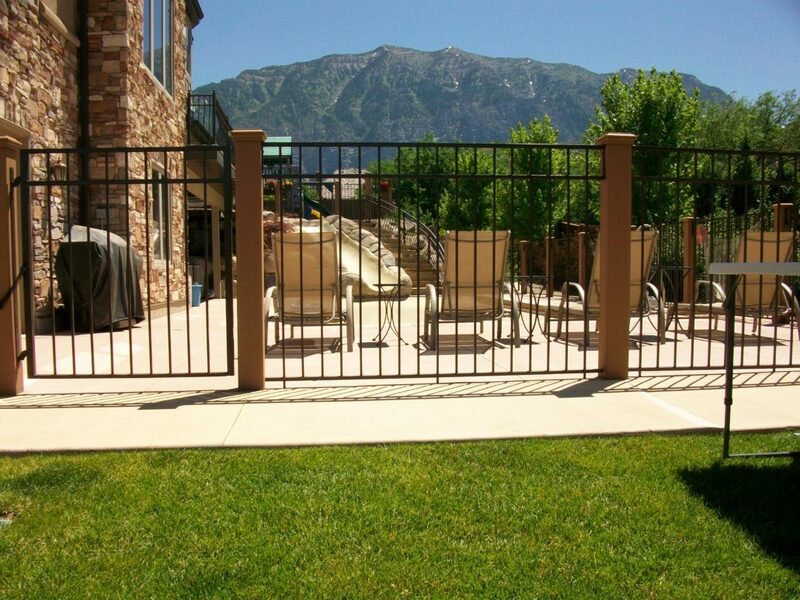 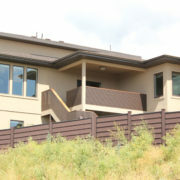 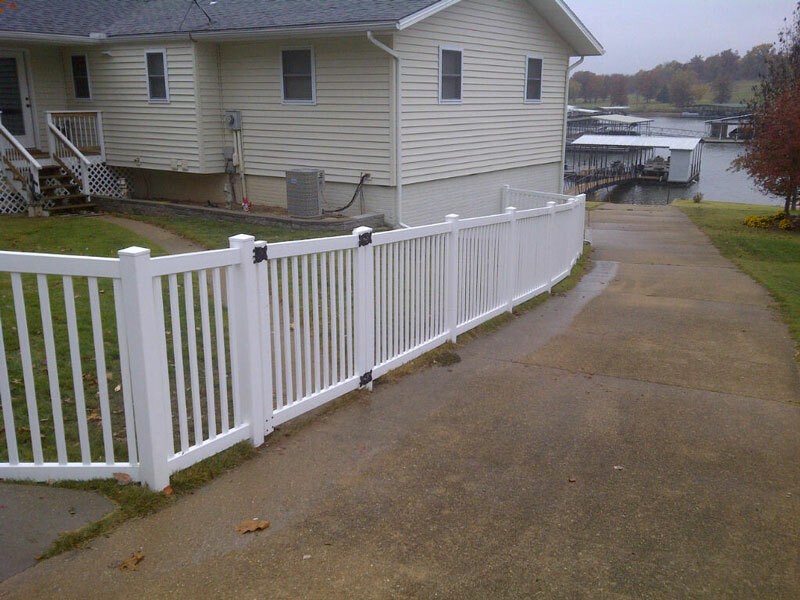 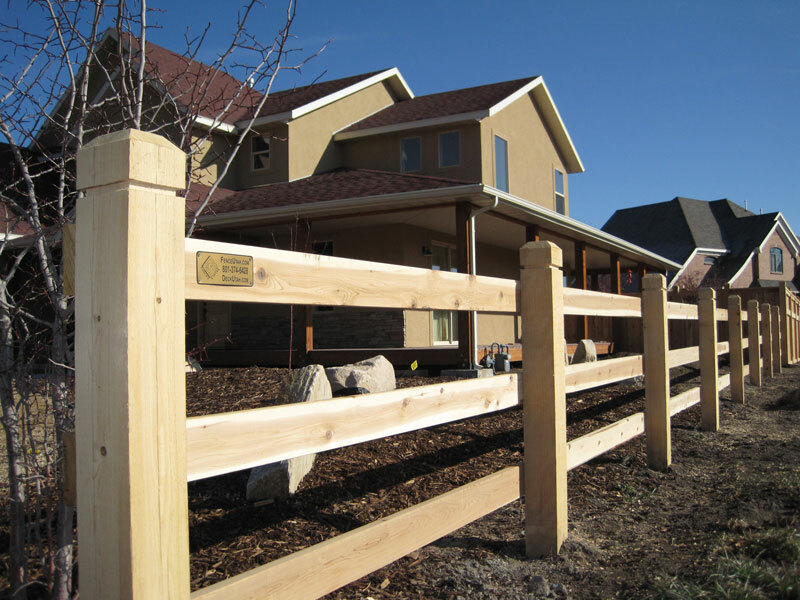 With many styles to choose from, wood fencing offers the solution to your railing needs. 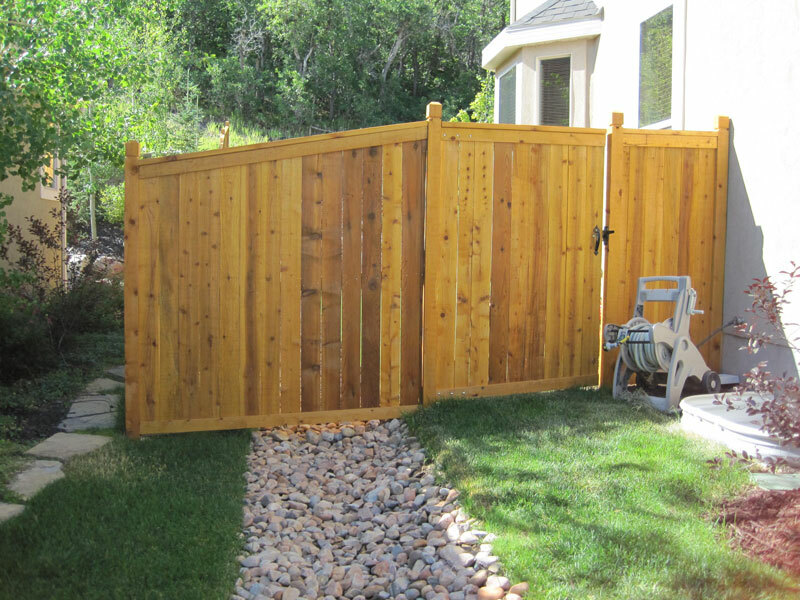 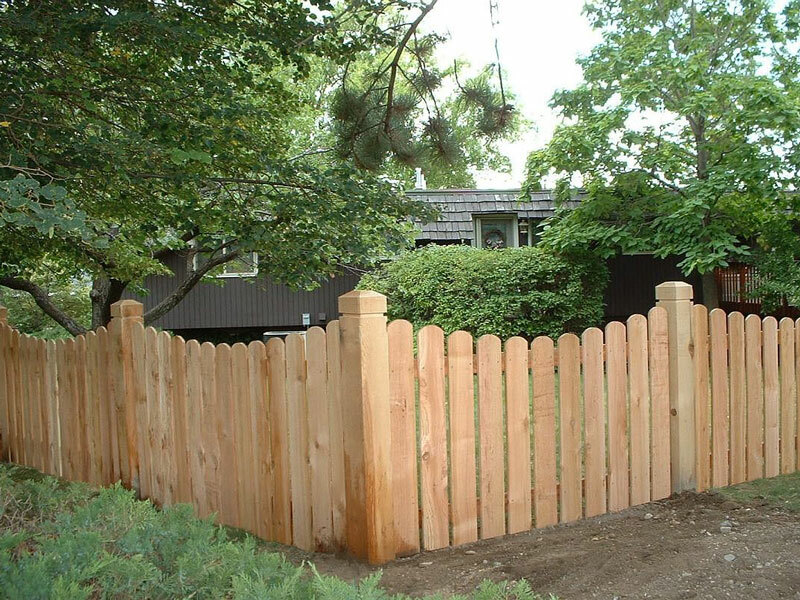 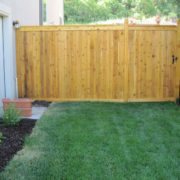 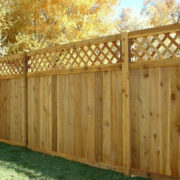 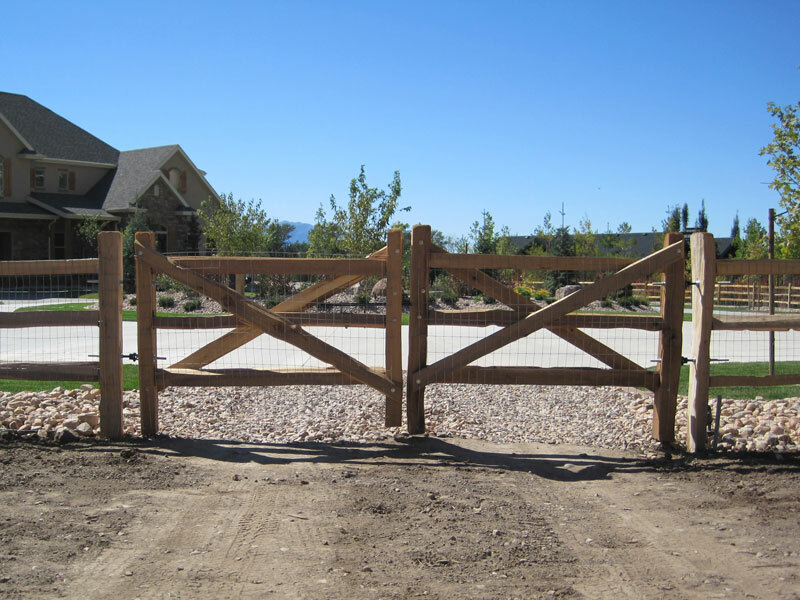 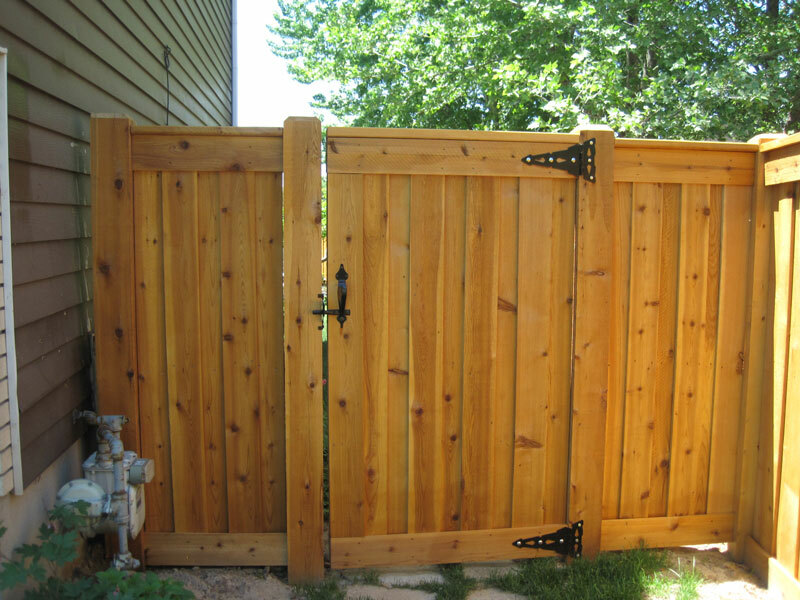 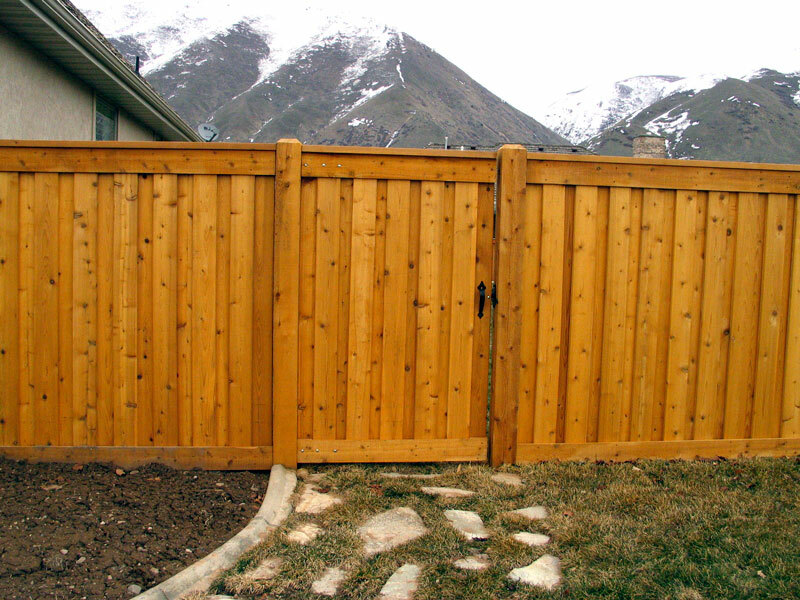 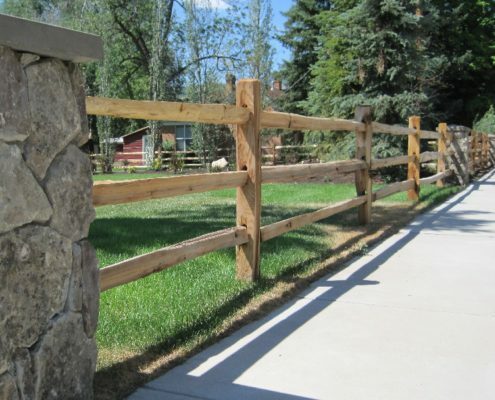 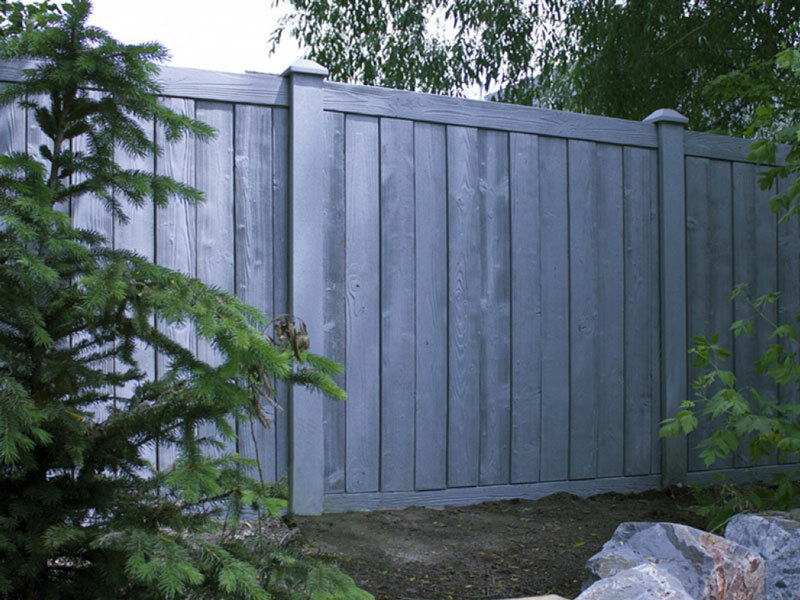 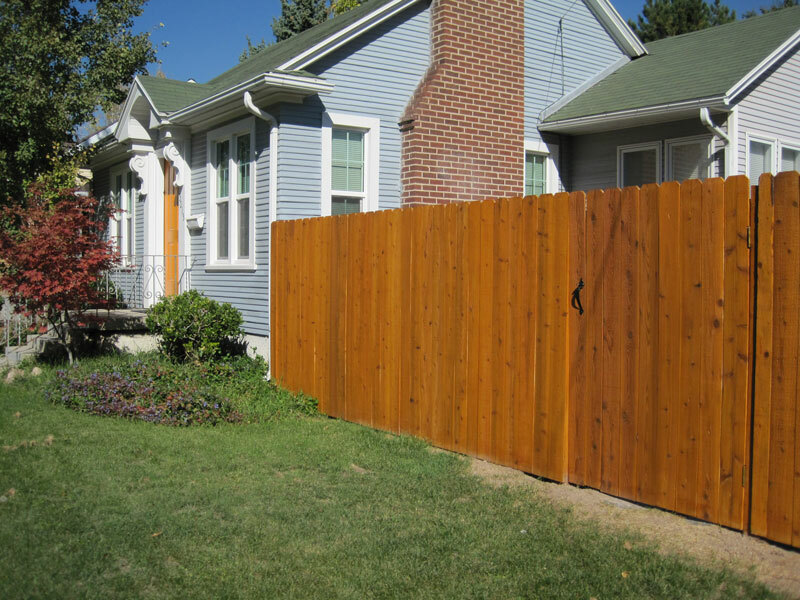 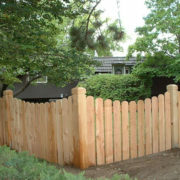 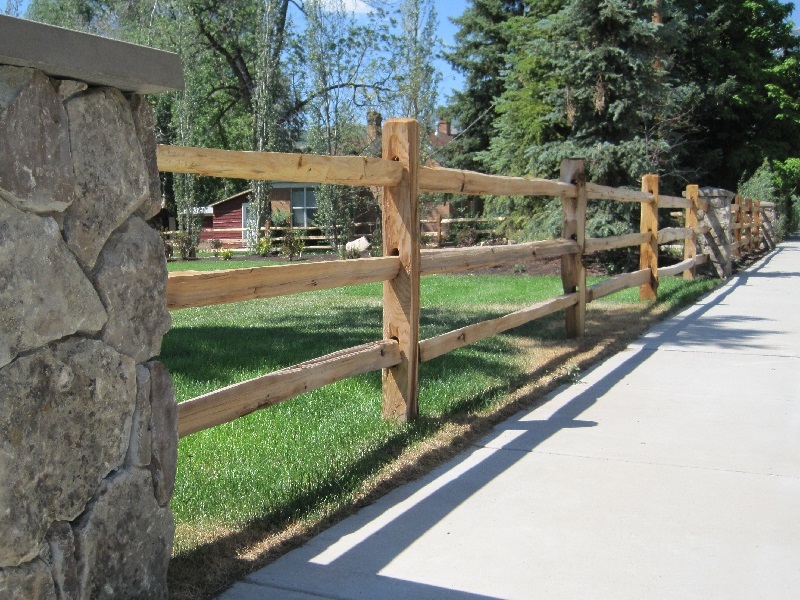 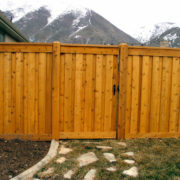 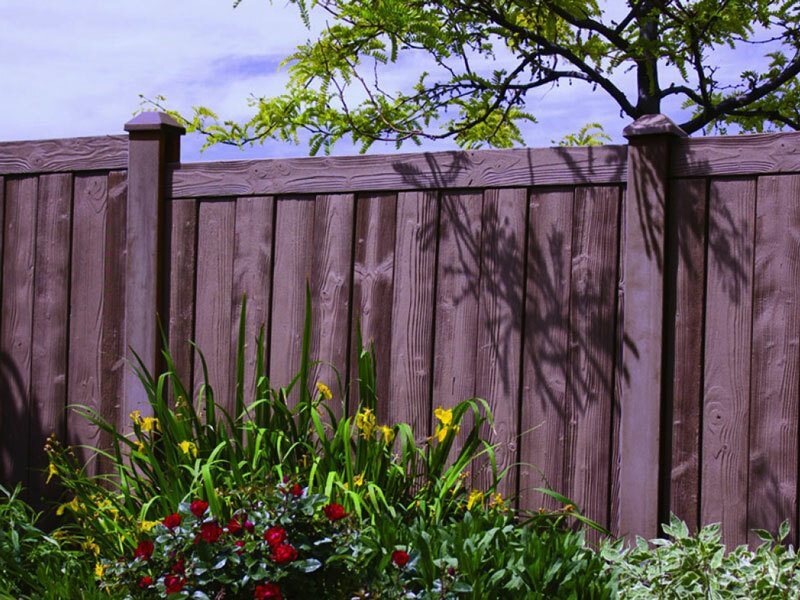 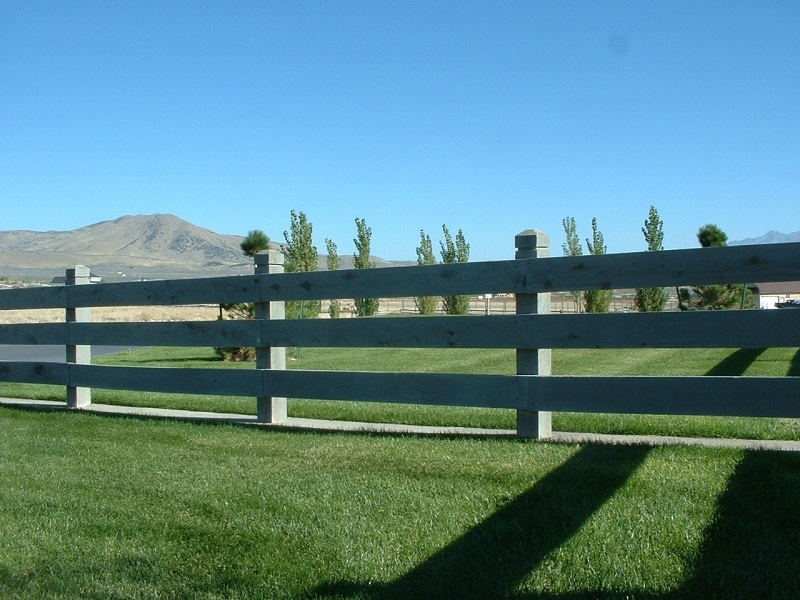 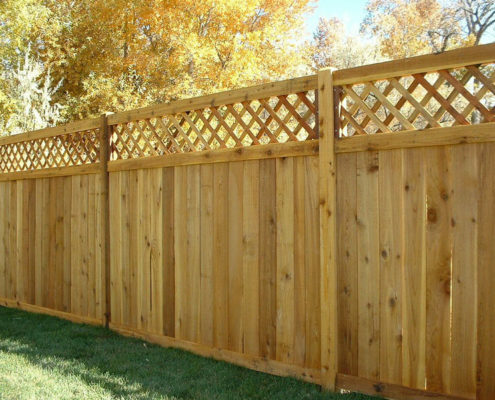 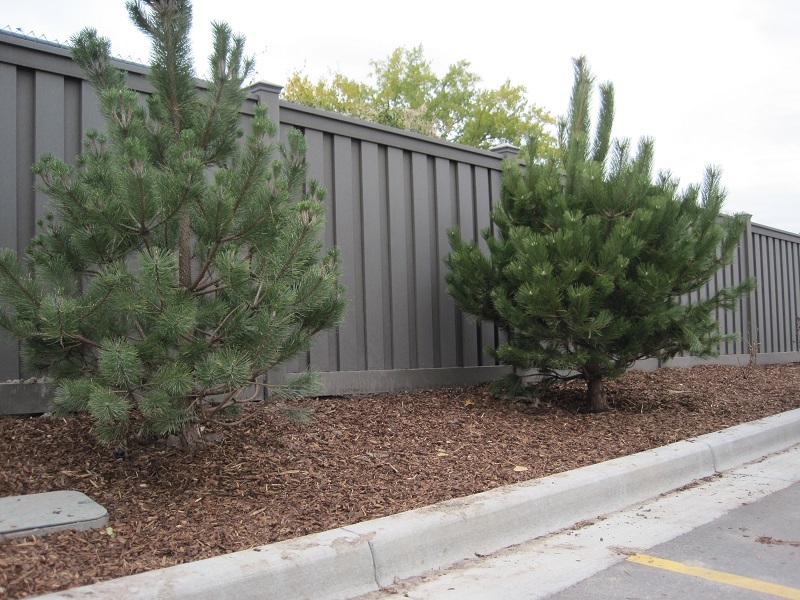 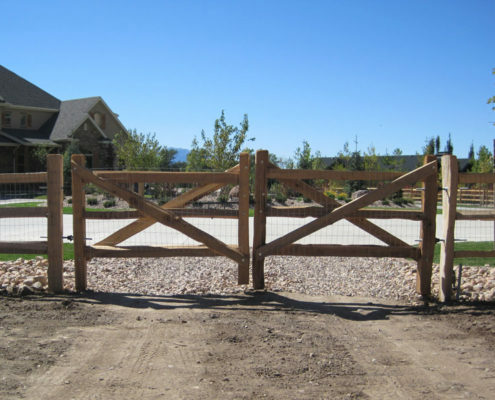 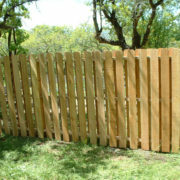 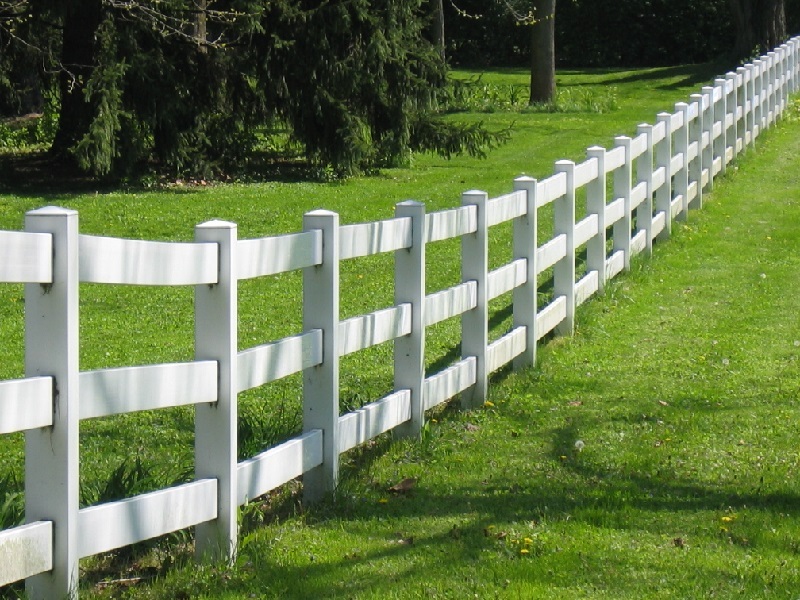 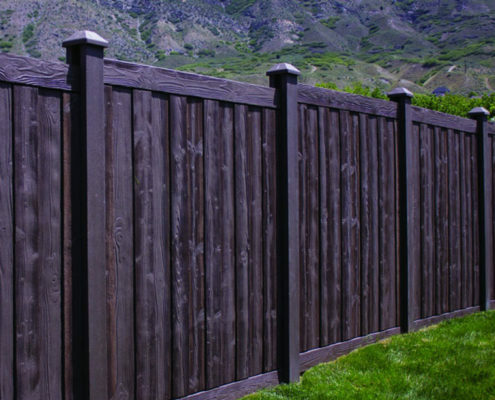 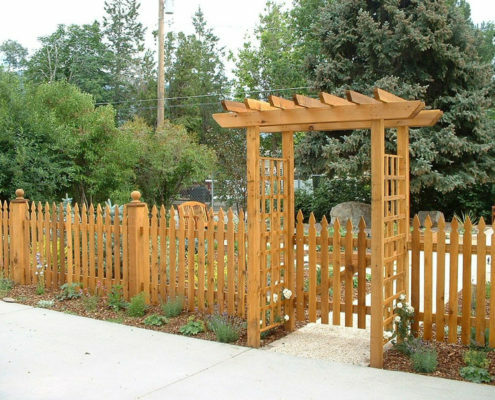 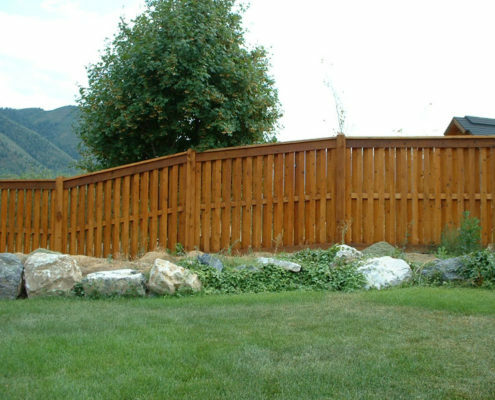 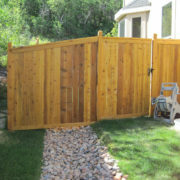 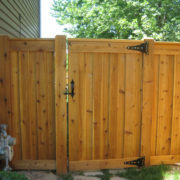 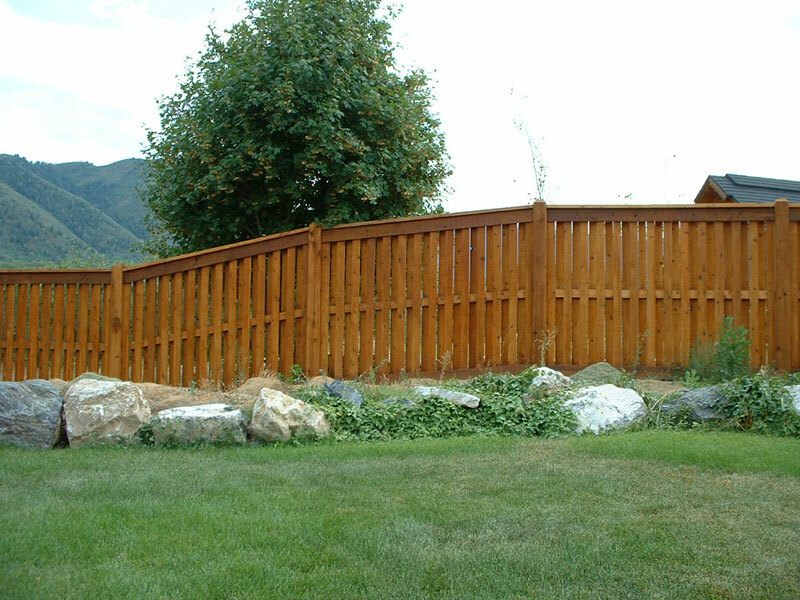 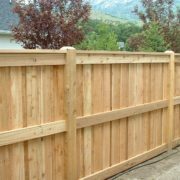 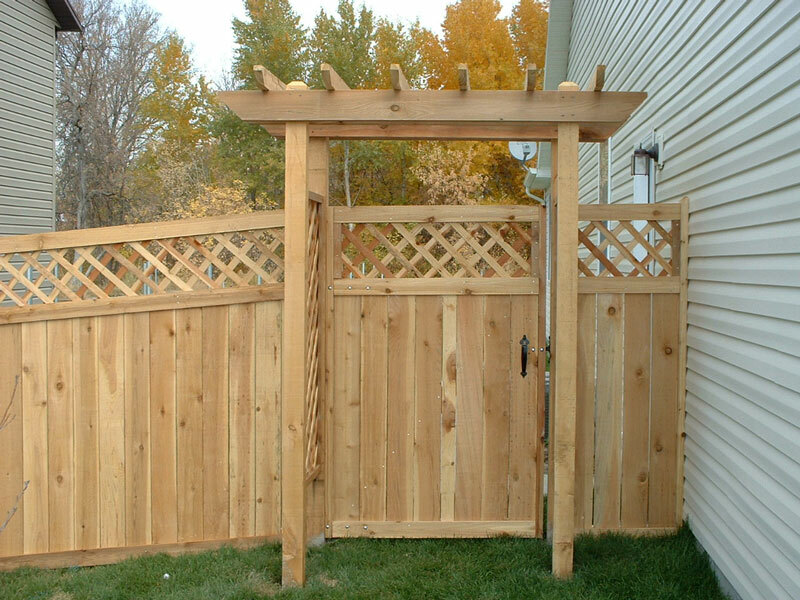 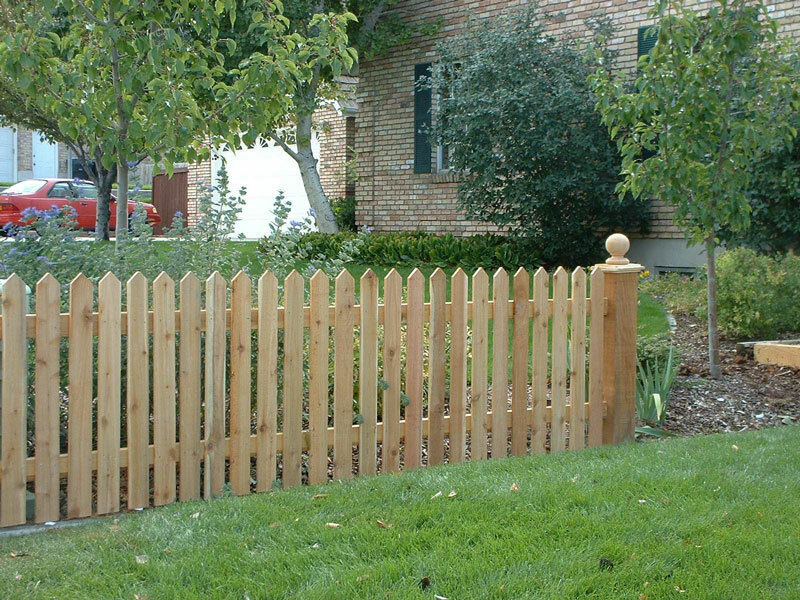 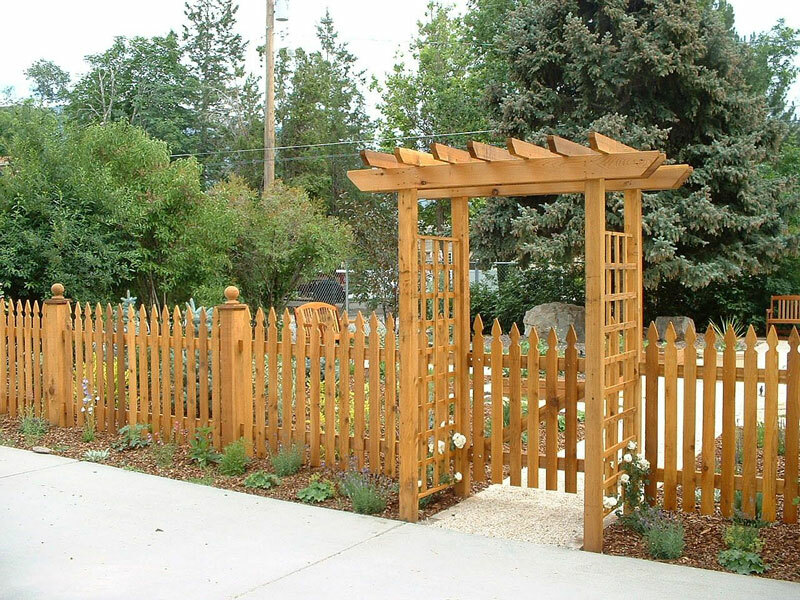 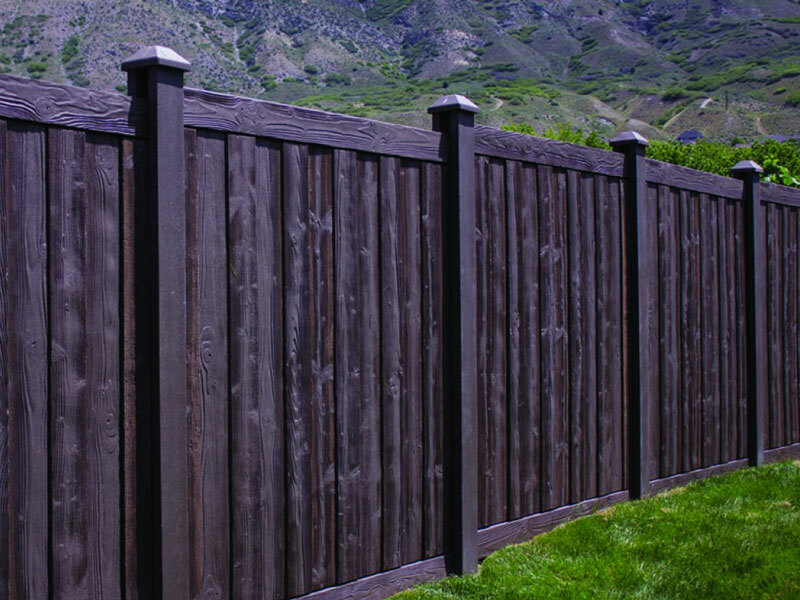 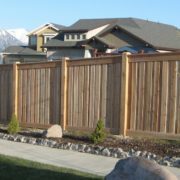 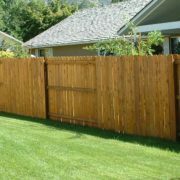 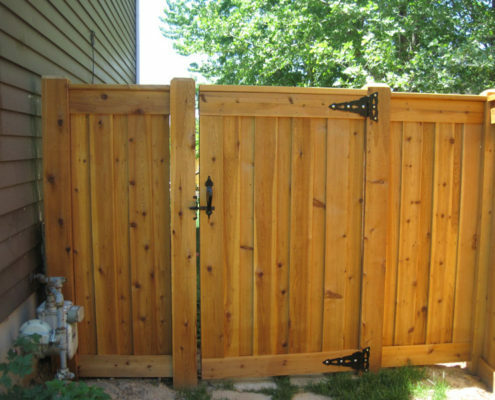 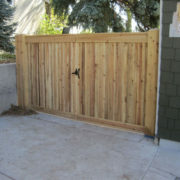 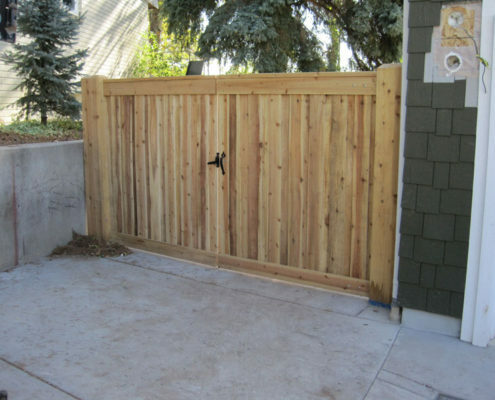 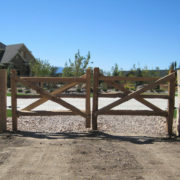 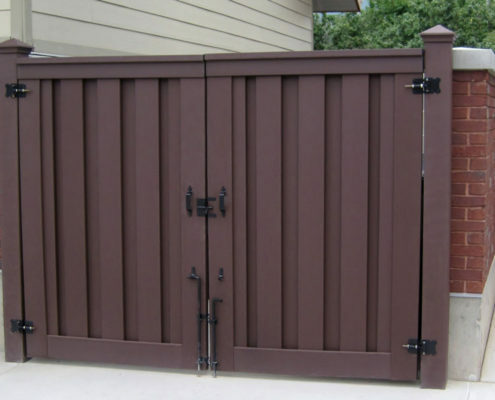 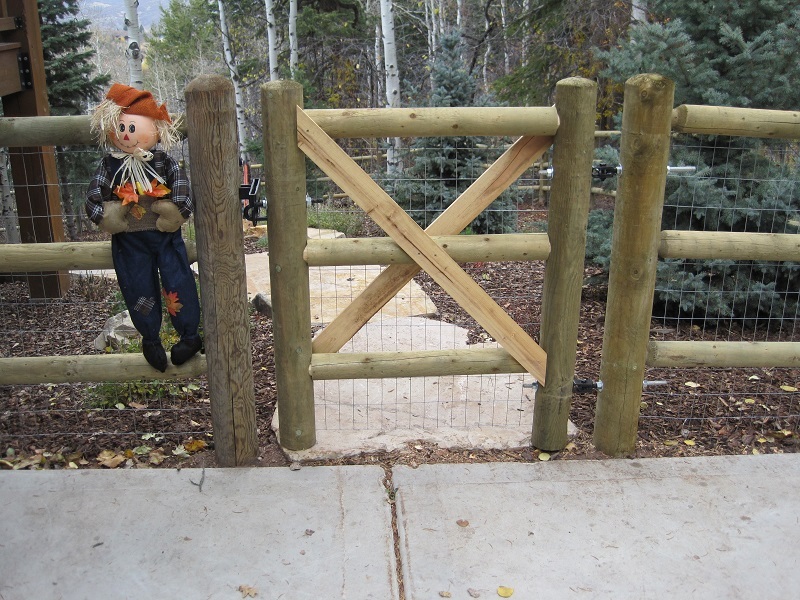 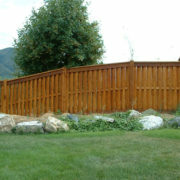 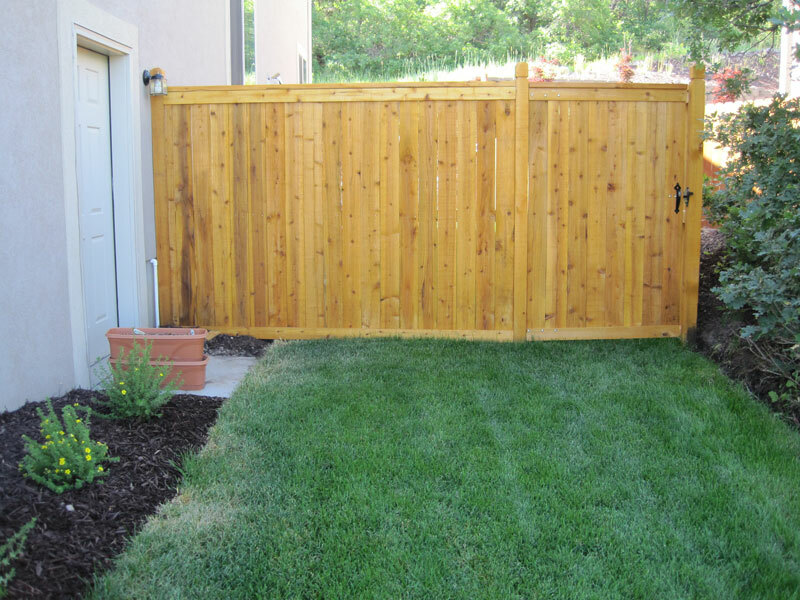 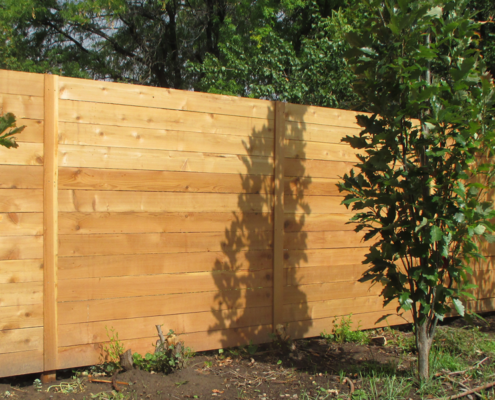 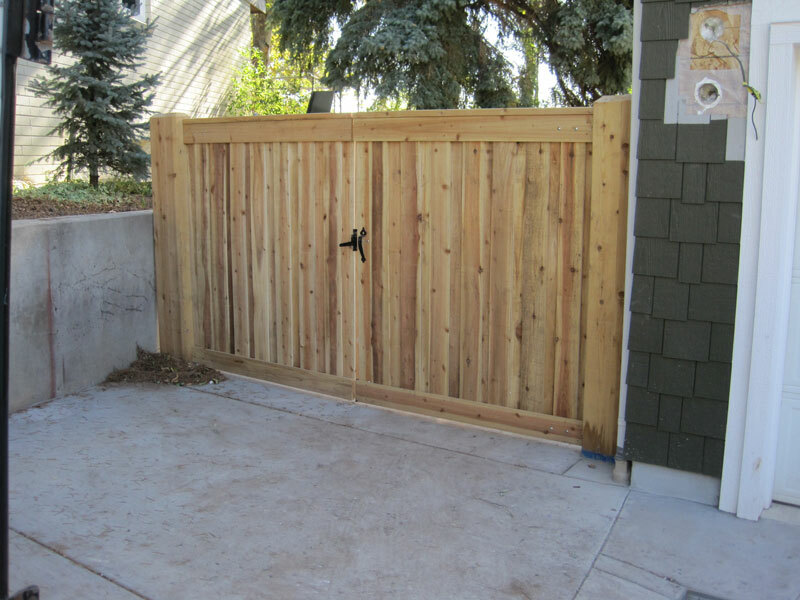 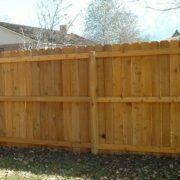 Whether you are looking for something rustic or stately, wood fencing is the answer. 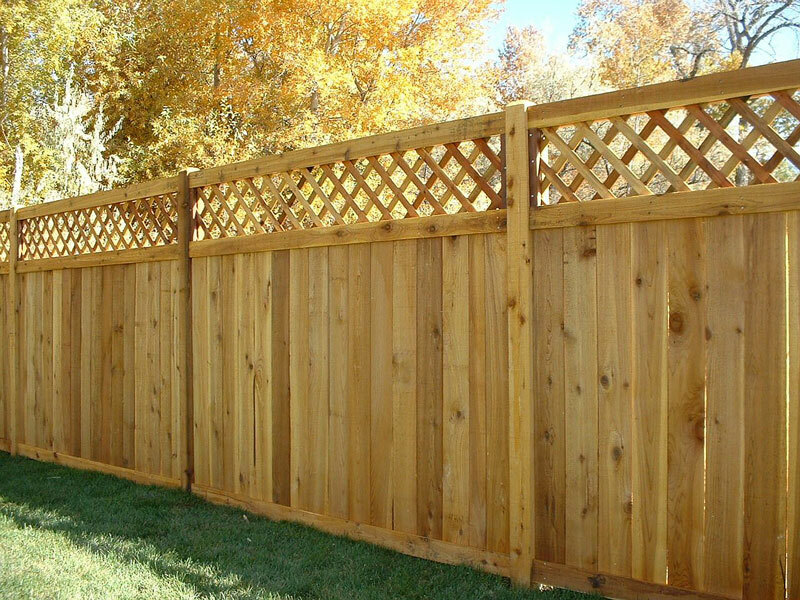 The natural beauty of wood is hard to beat. 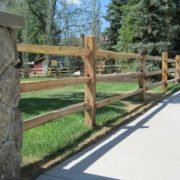 Many have tried to imitate this naturally beautiful and durable product but none have been able to capture the beauty that is wood. 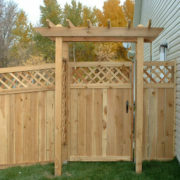 The designs and styles that can be created with this product are only limited by your imagination. 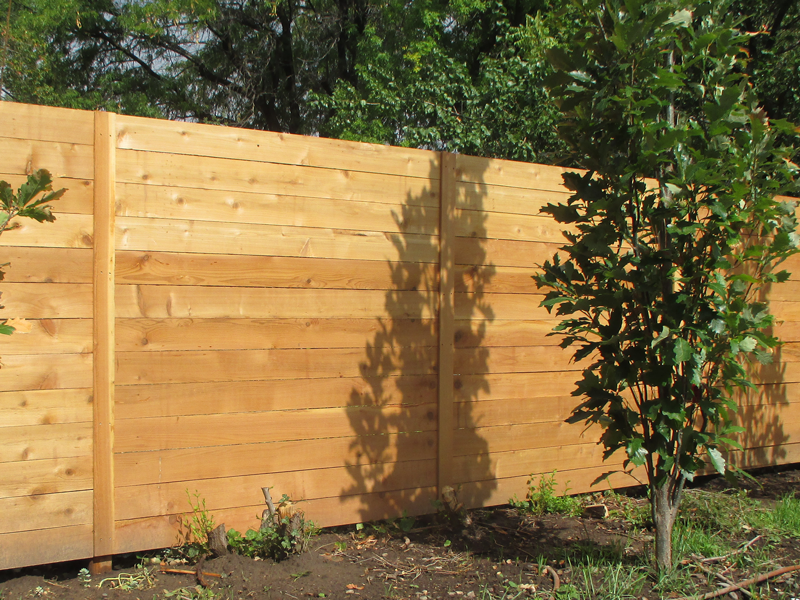 No product is as versatile and as beautiful as wood. 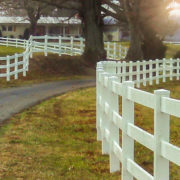 Wood can be cut or fabricated to make virtually any design that you can imagine. 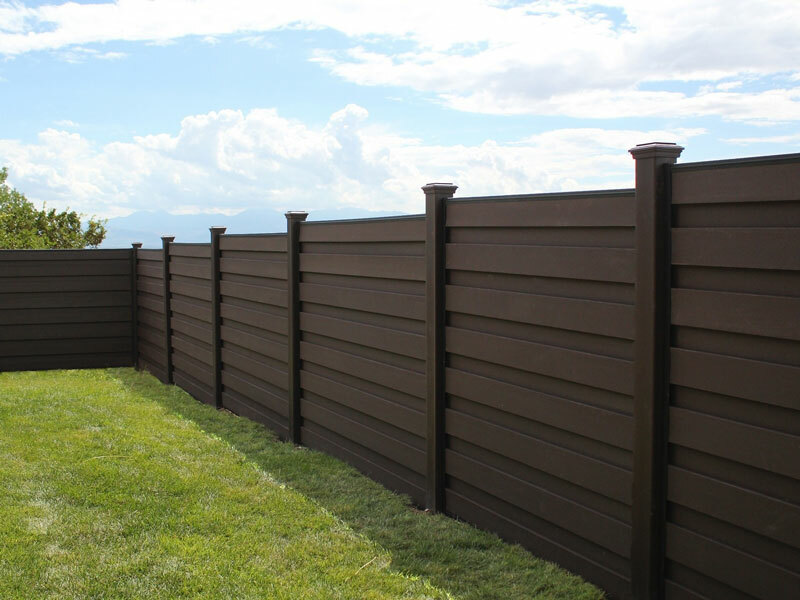 Say good bye to weekends filled with painting and staining. 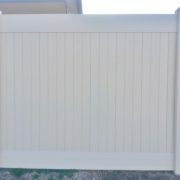 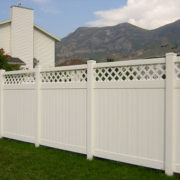 Install your vinyl fence and sit back and enjoy. 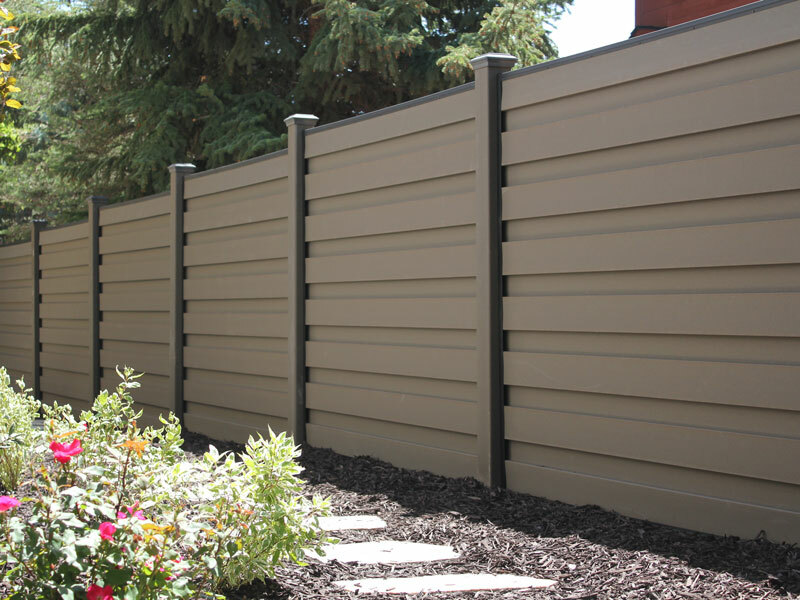 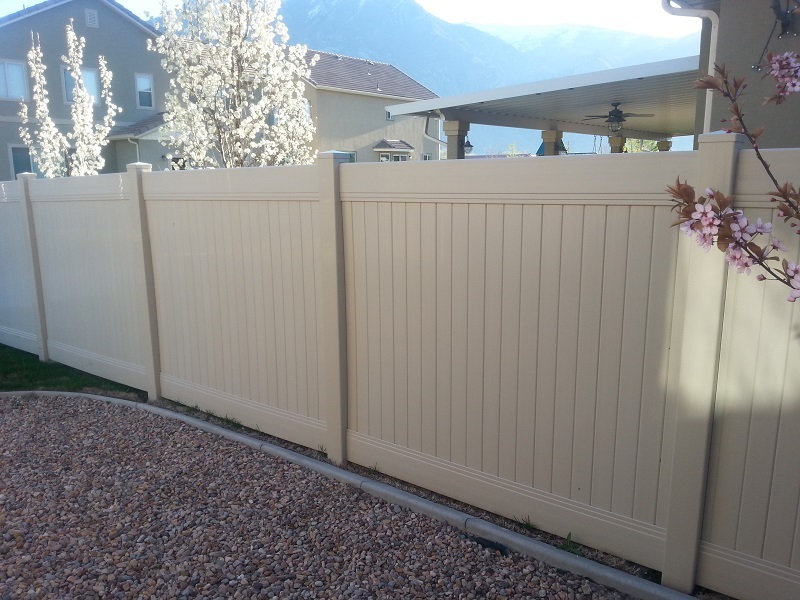 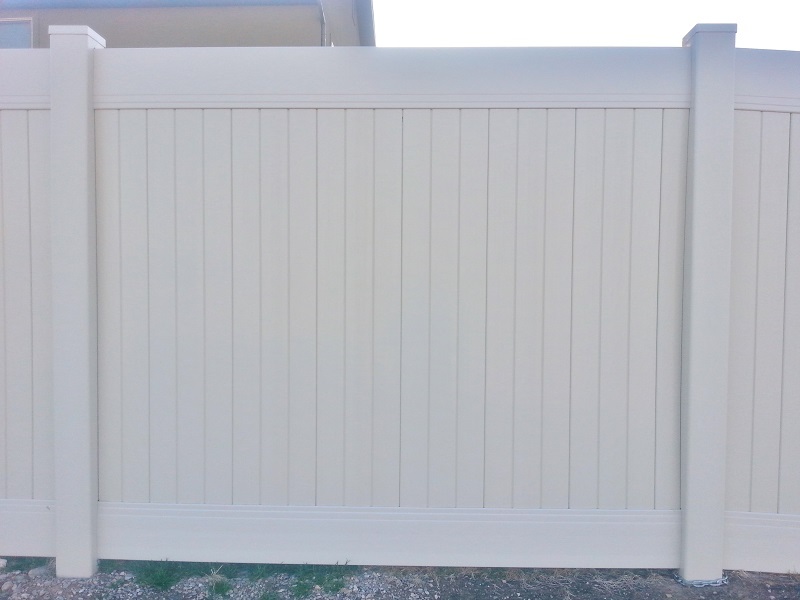 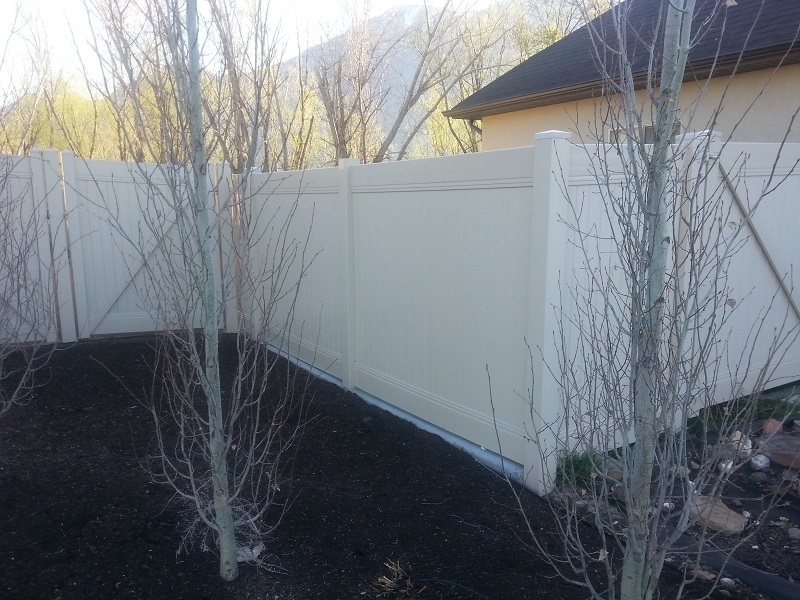 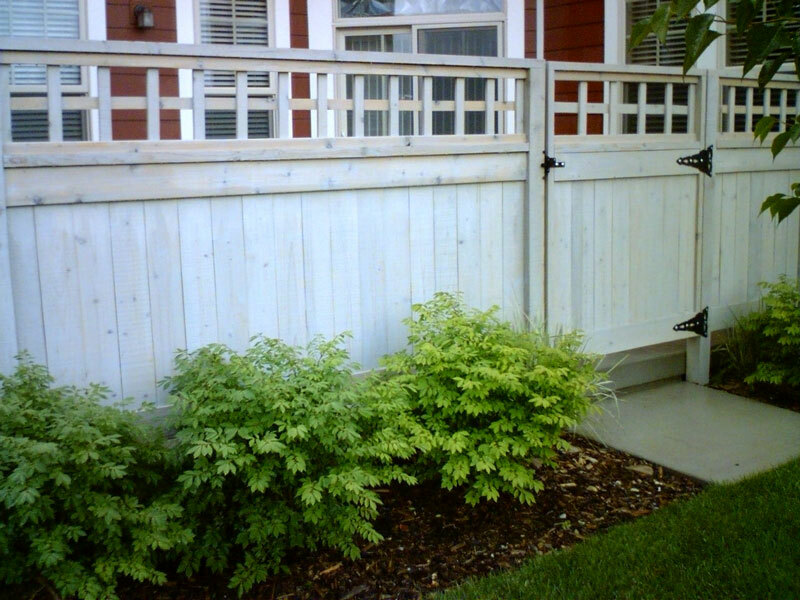 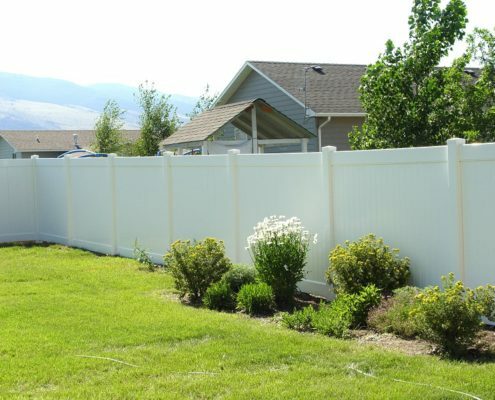 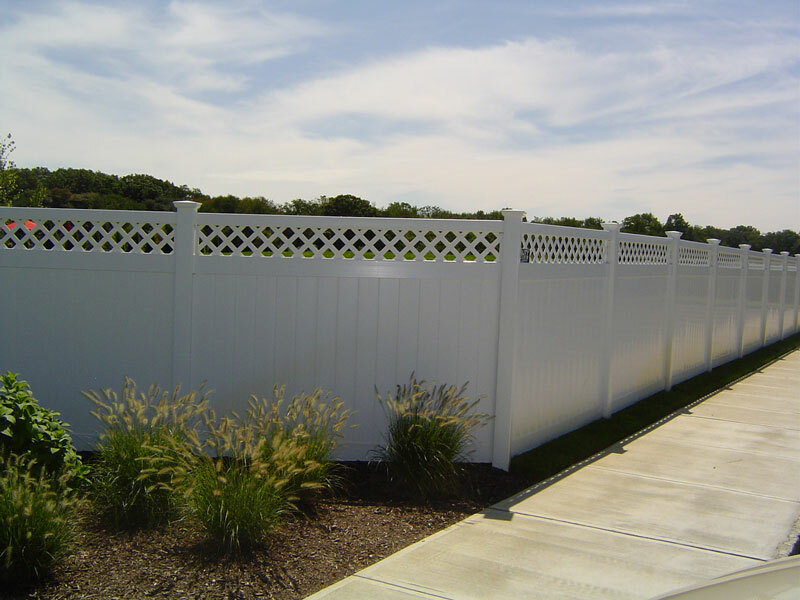 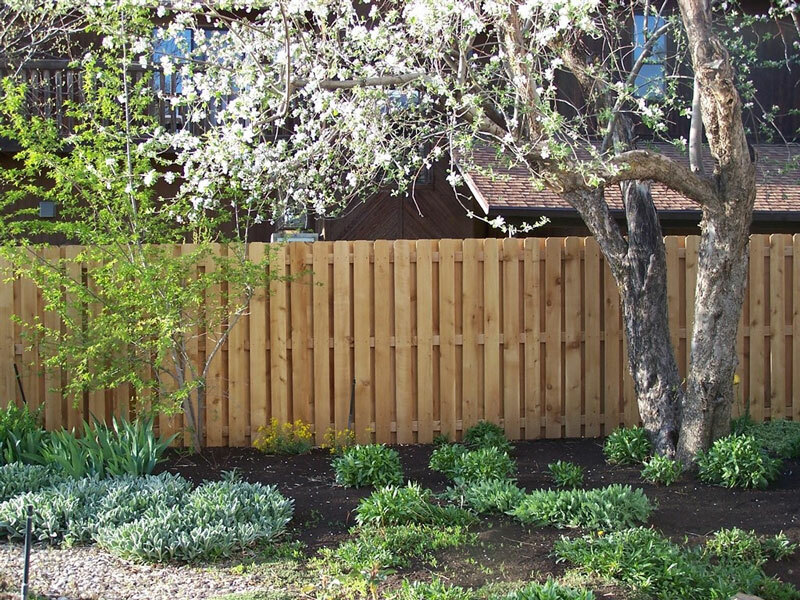 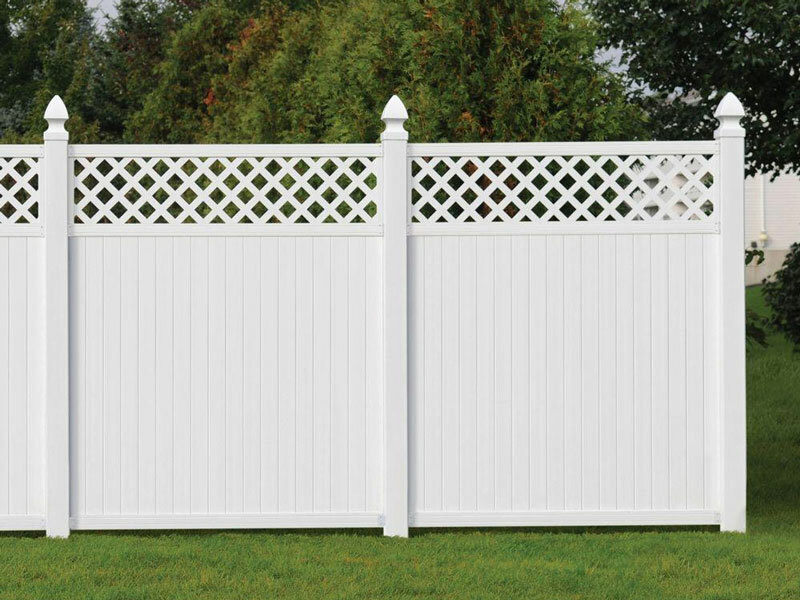 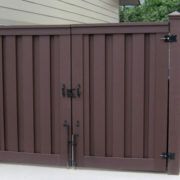 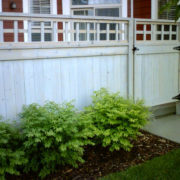 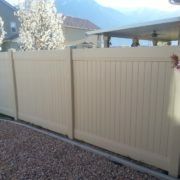 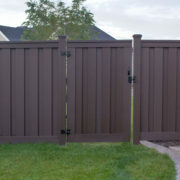 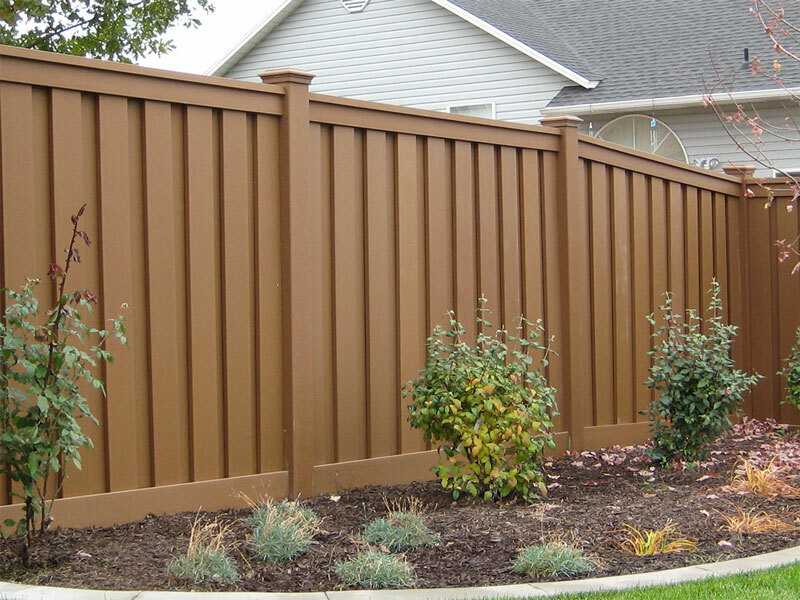 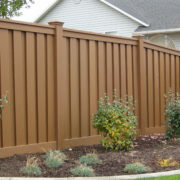 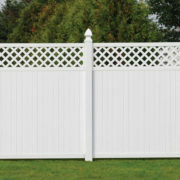 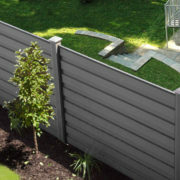 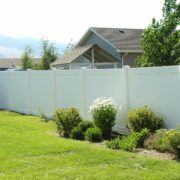 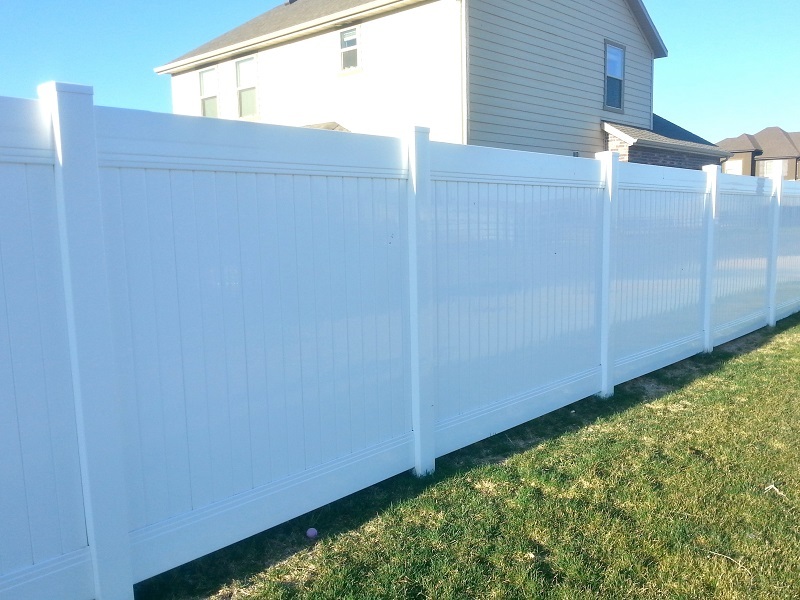 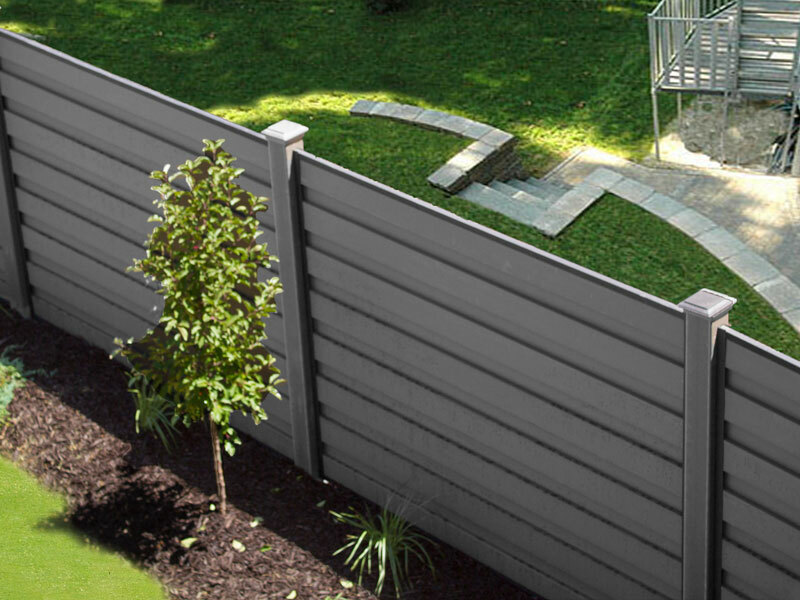 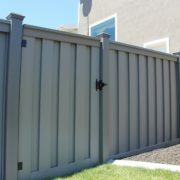 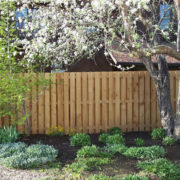 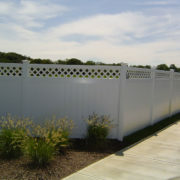 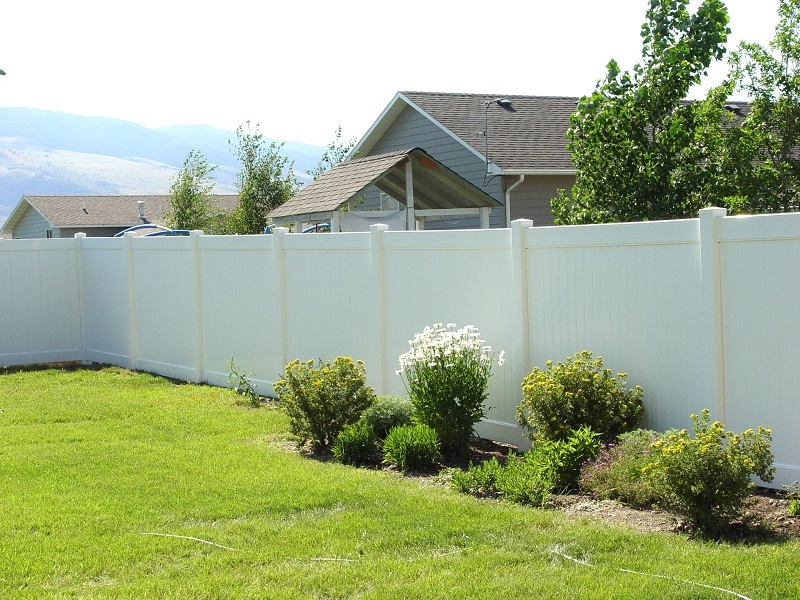 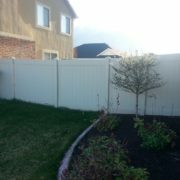 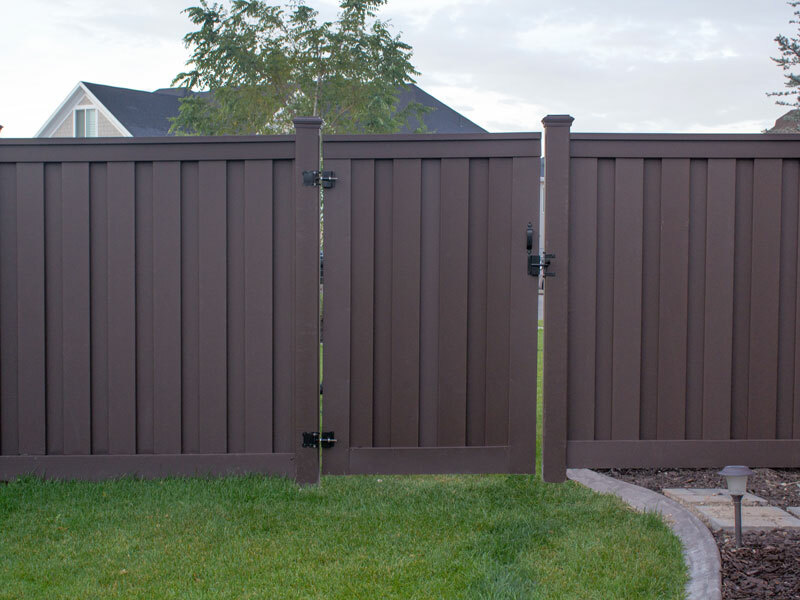 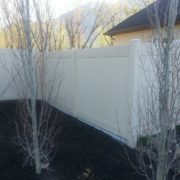 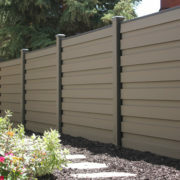 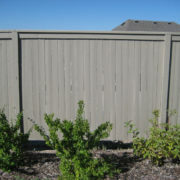 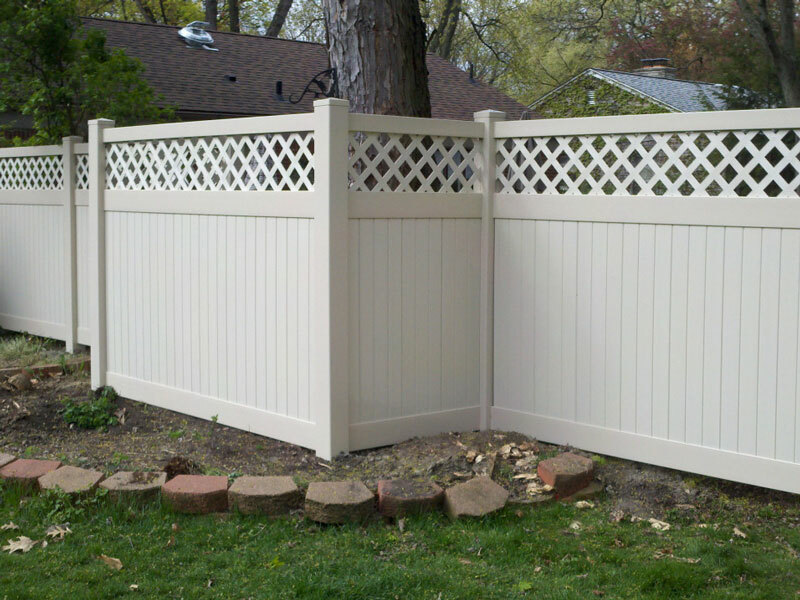 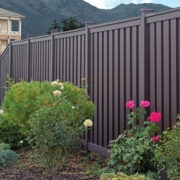 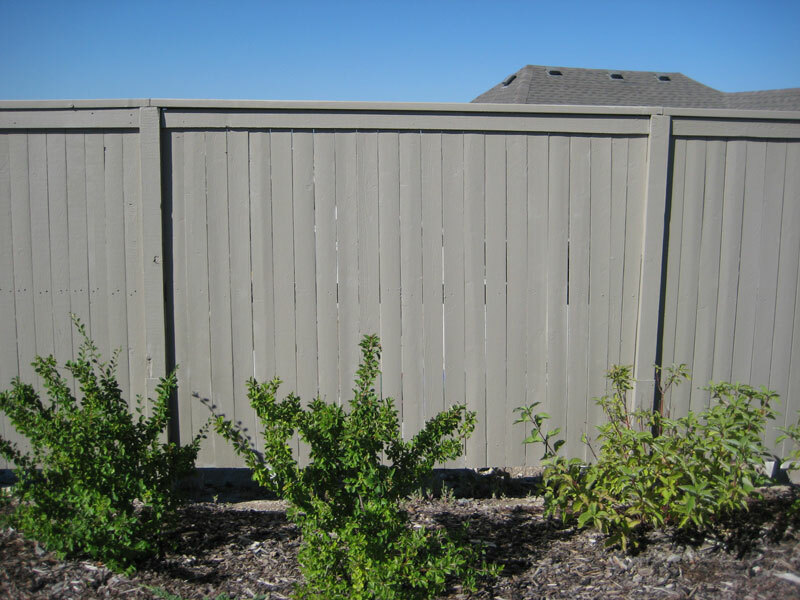 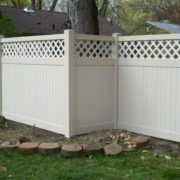 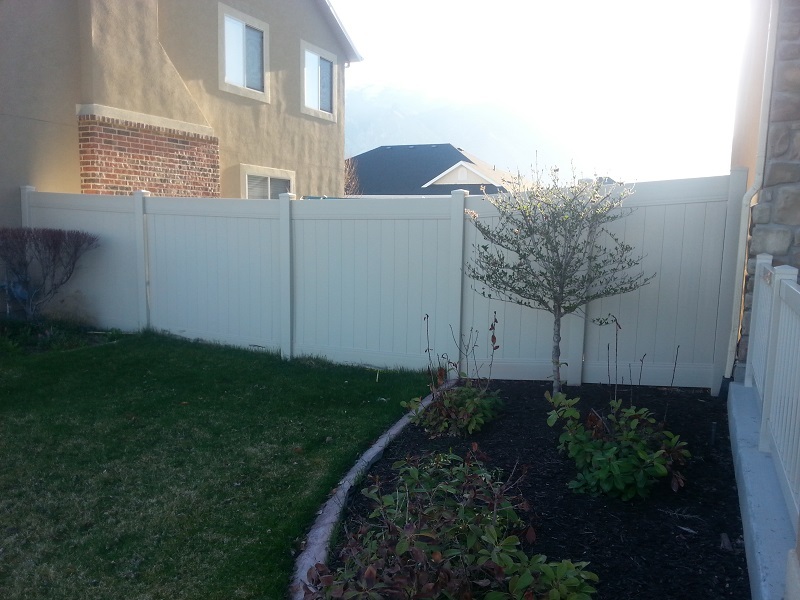 Vinyl fencing offers privacy that is not only low maintenance but beautiful as well. 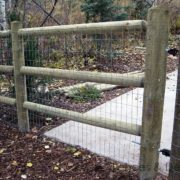 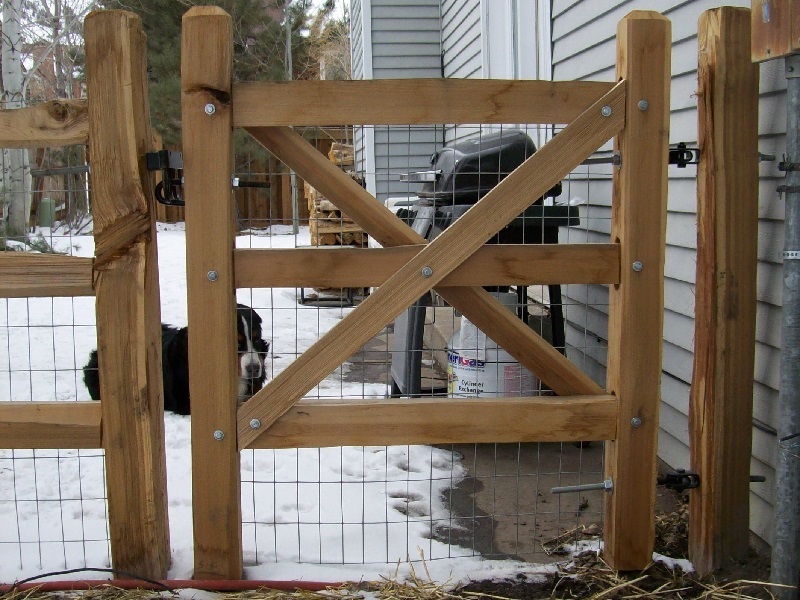 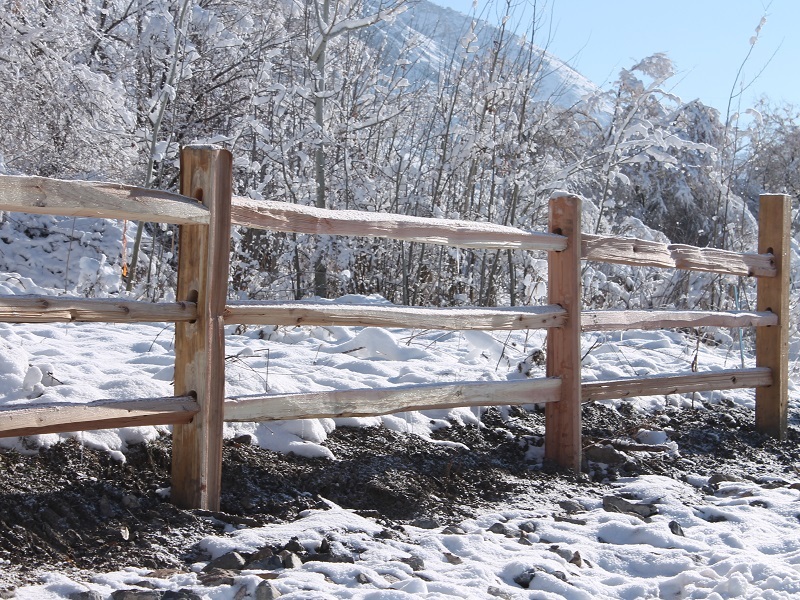 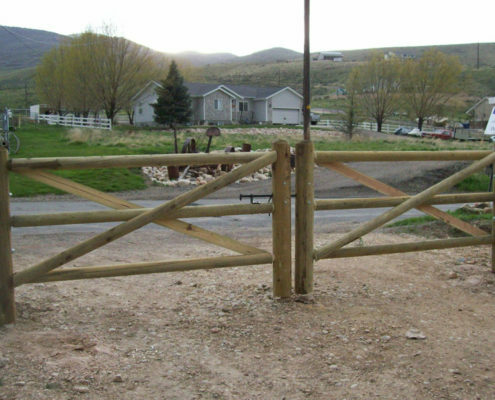 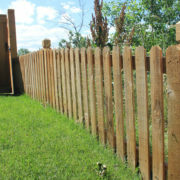 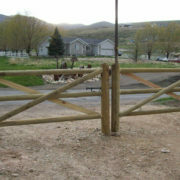 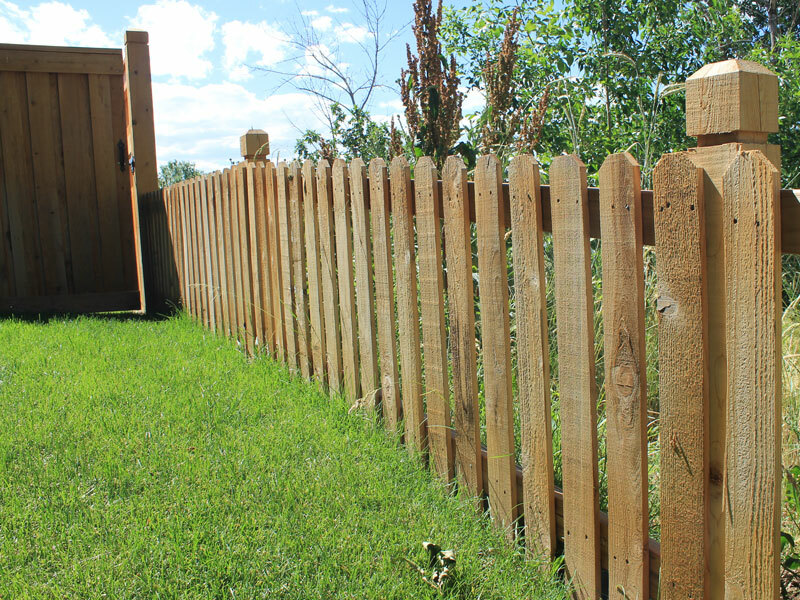 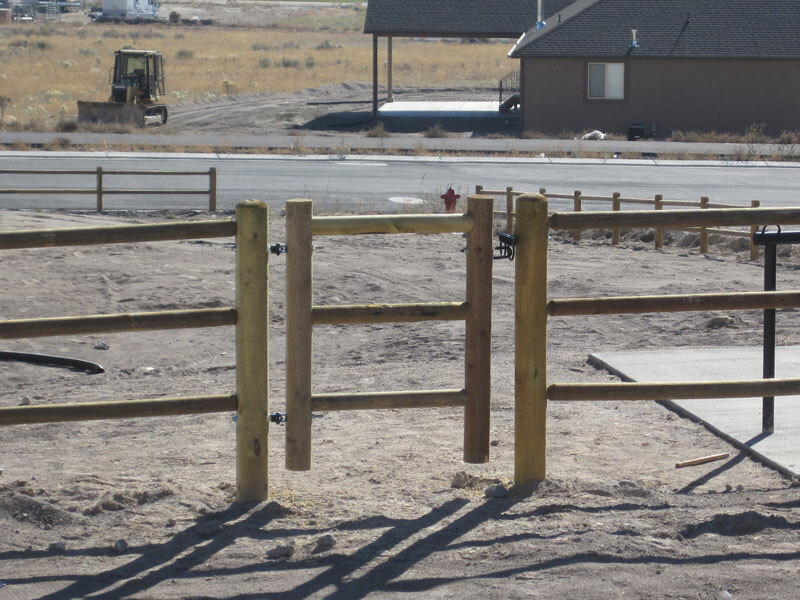 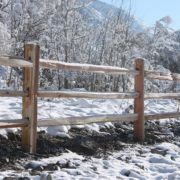 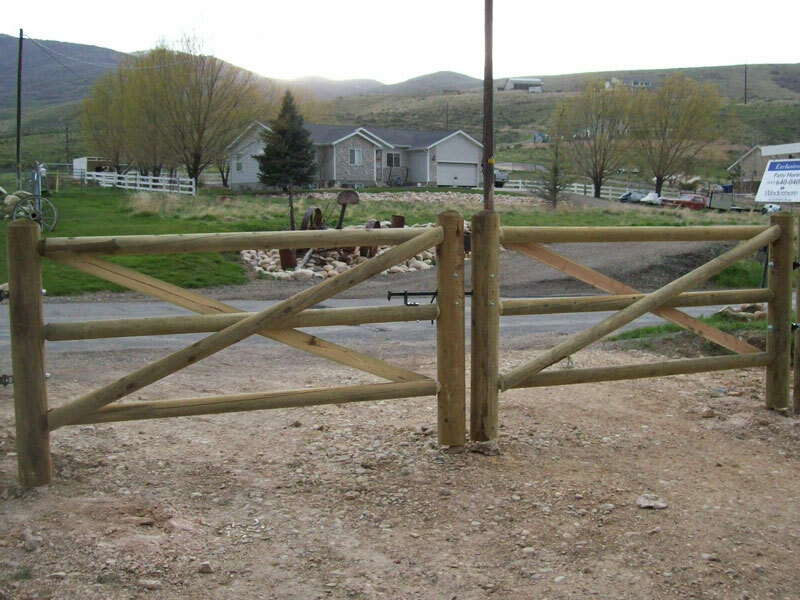 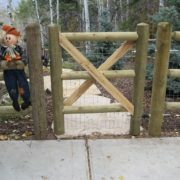 Whether defining a boarder or securing animals a wood lodge pole fence is an affordable and beautiful way to do so. 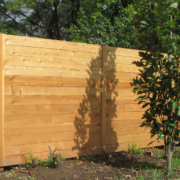 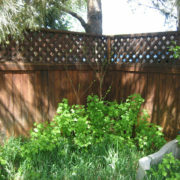 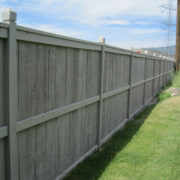 Wood fencing has been the standby for centuries. 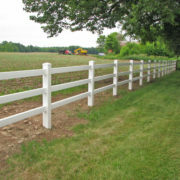 This classic design is functional and durable. 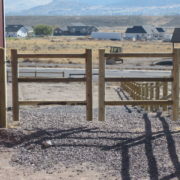 The most durable and beautiful ranch rail available. 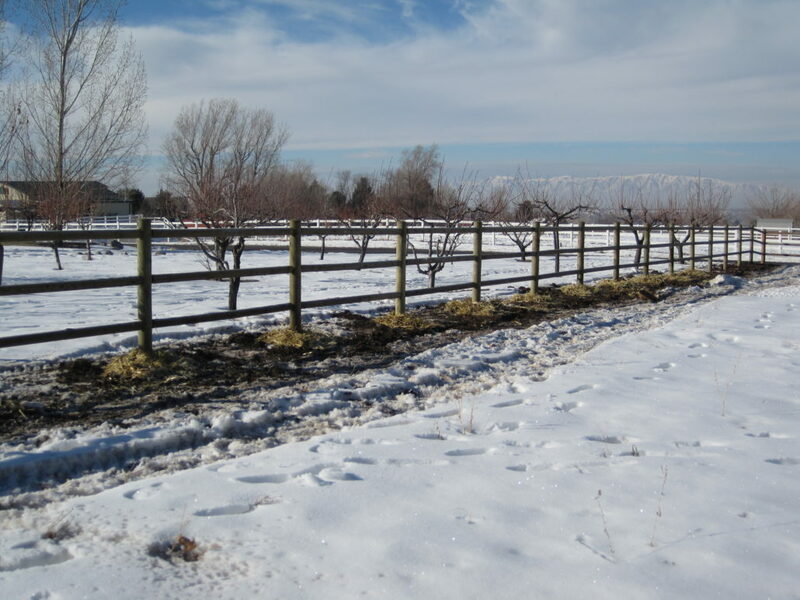 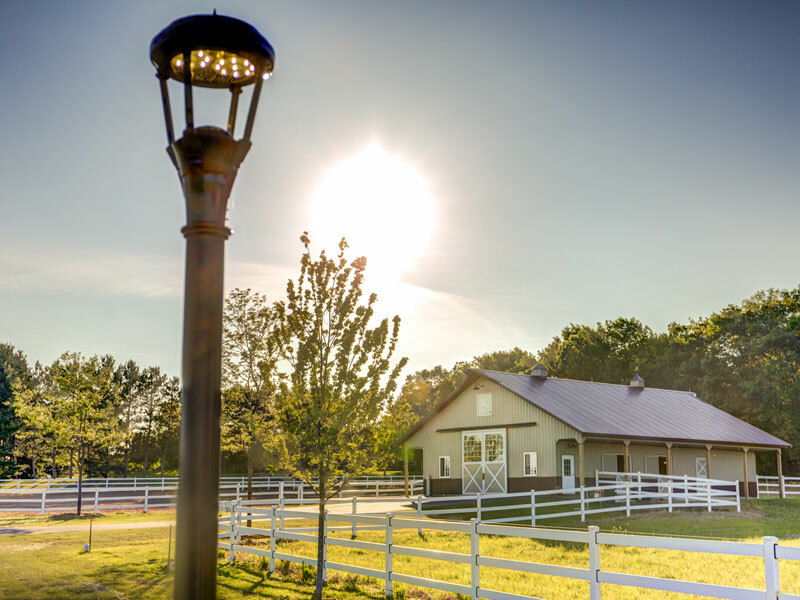 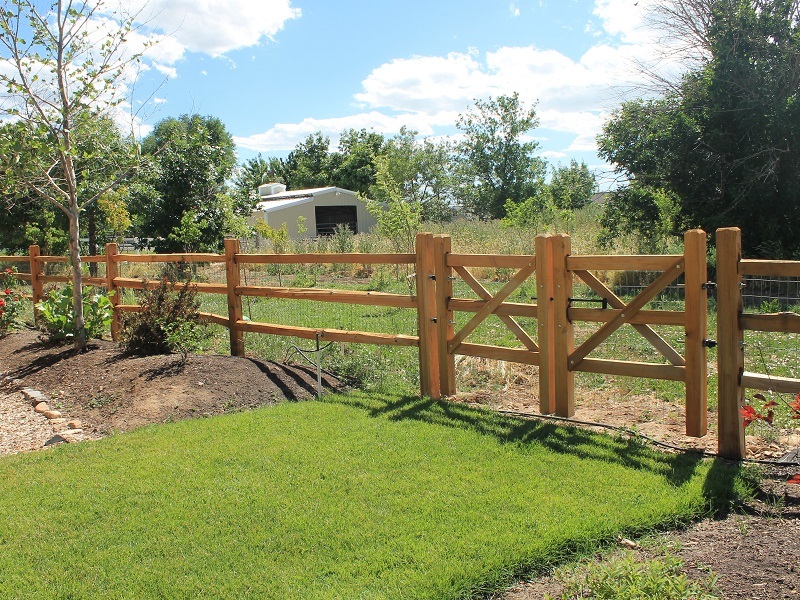 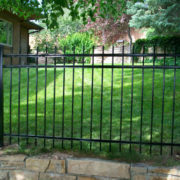 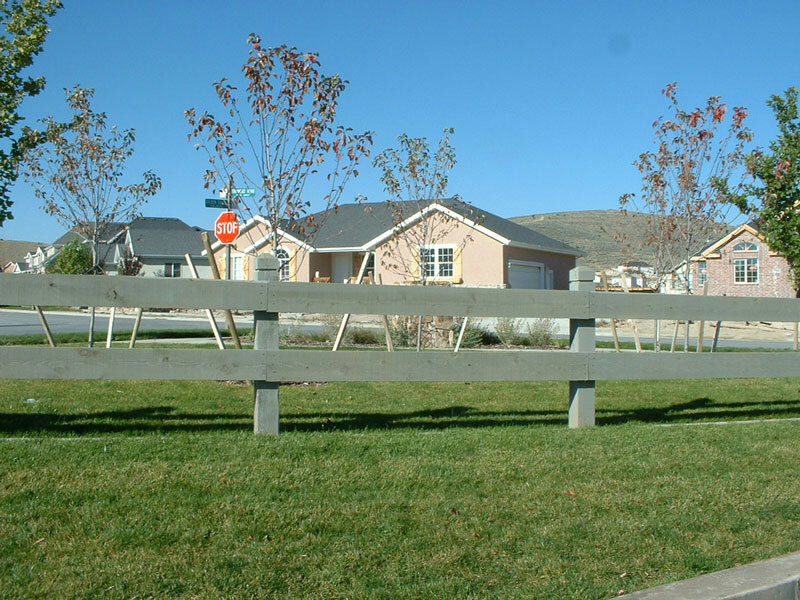 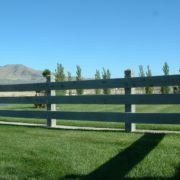 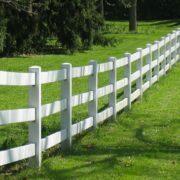 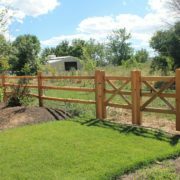 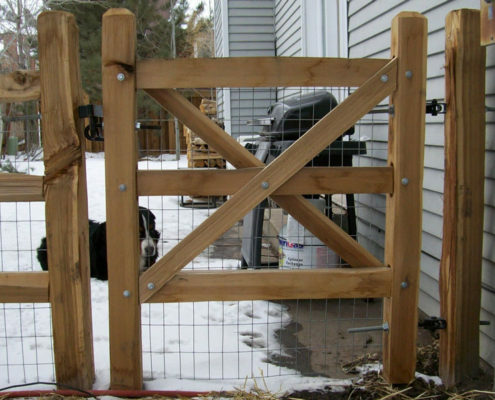 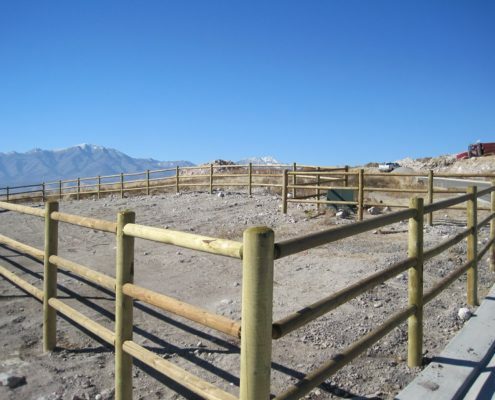 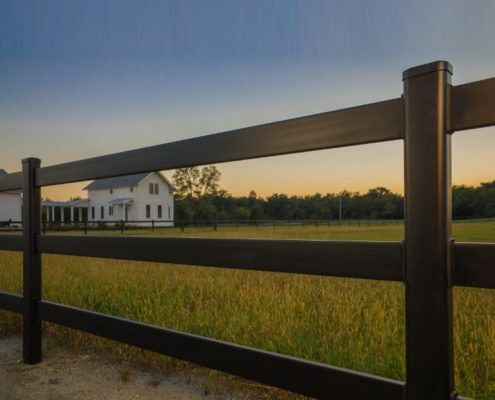 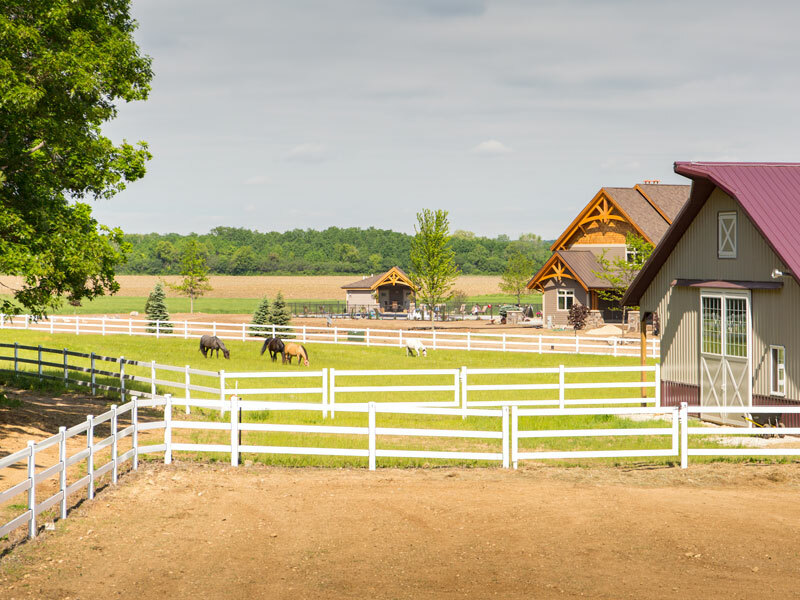 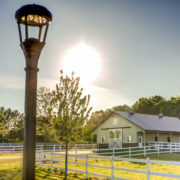 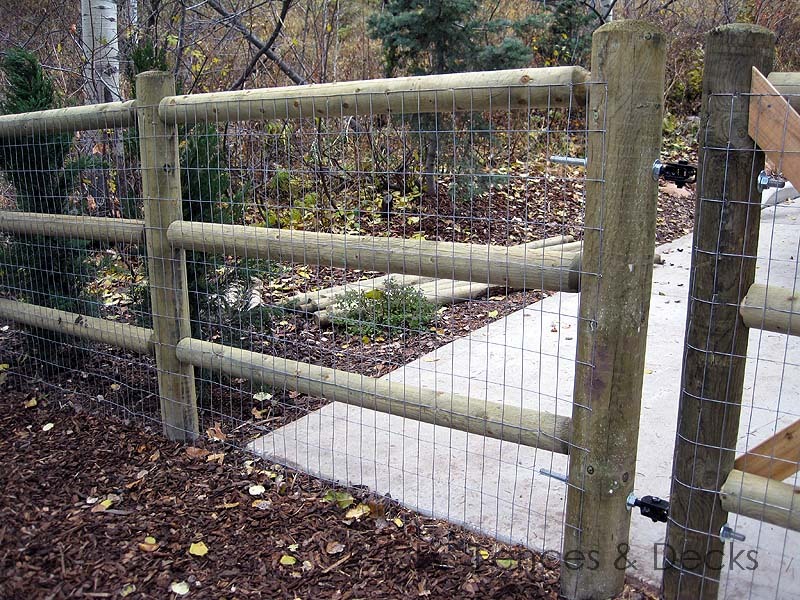 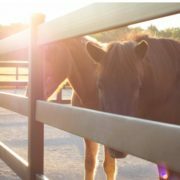 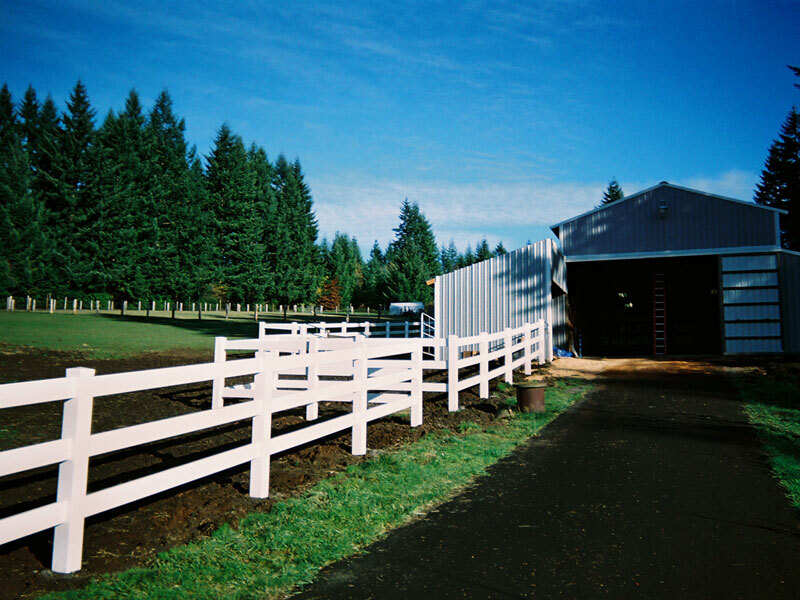 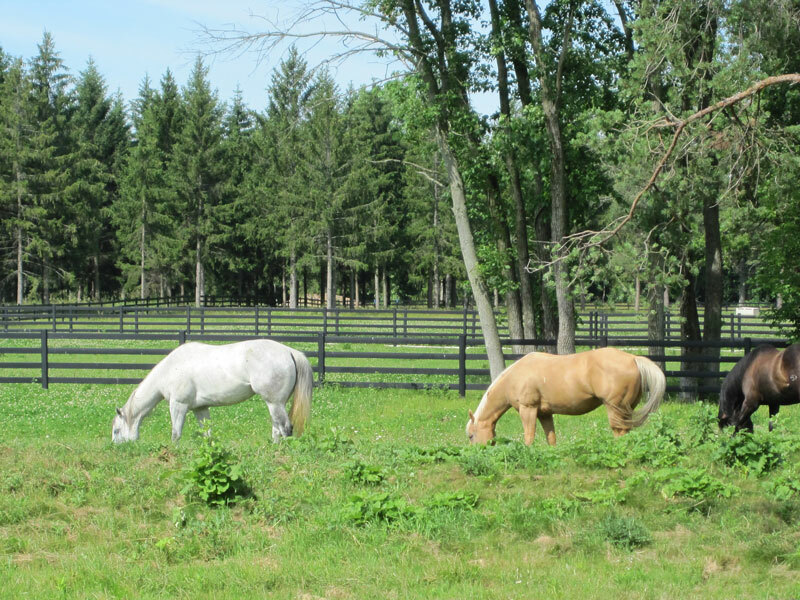 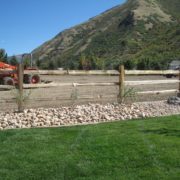 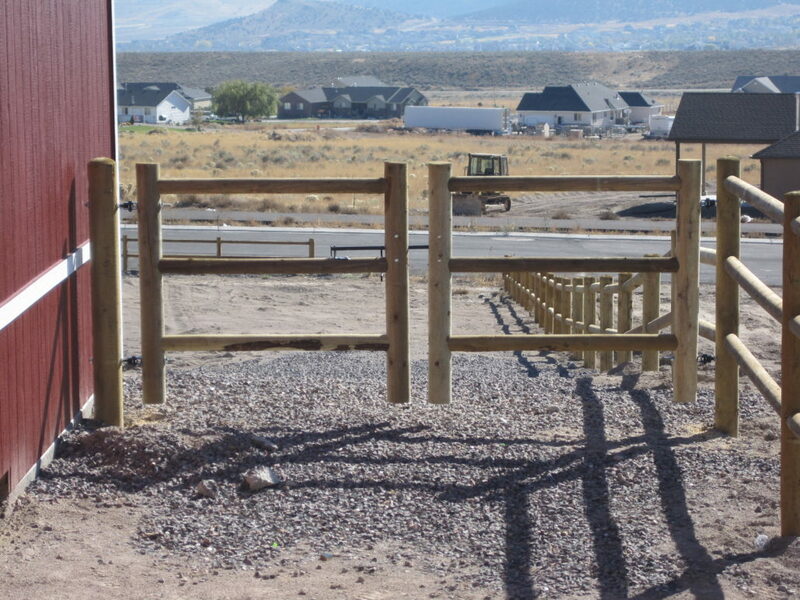 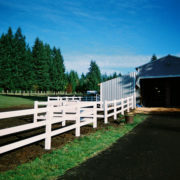 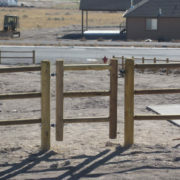 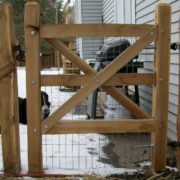 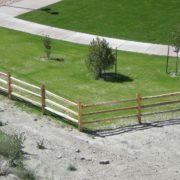 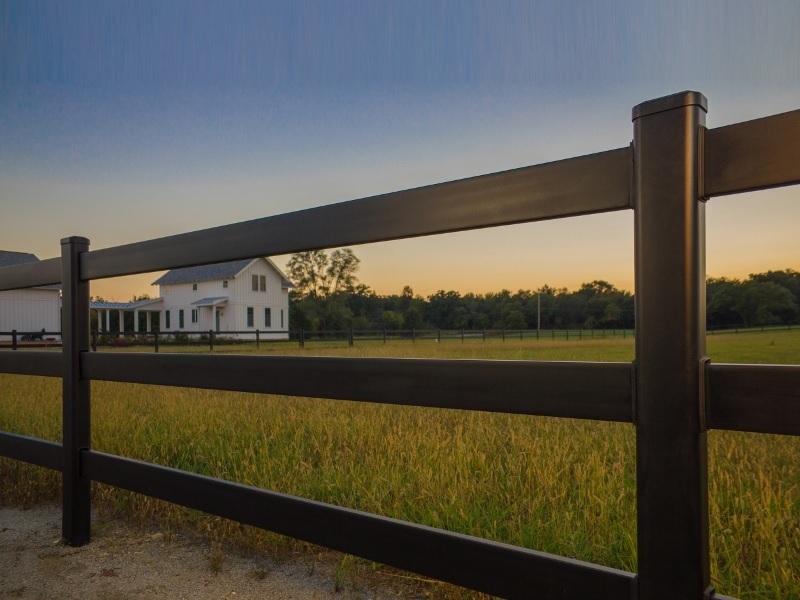 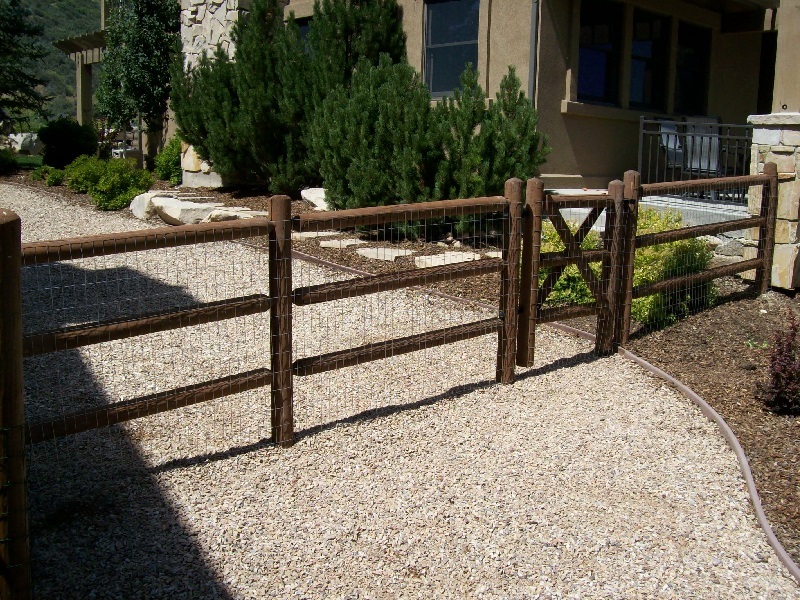 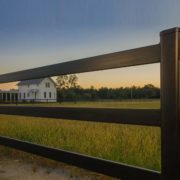 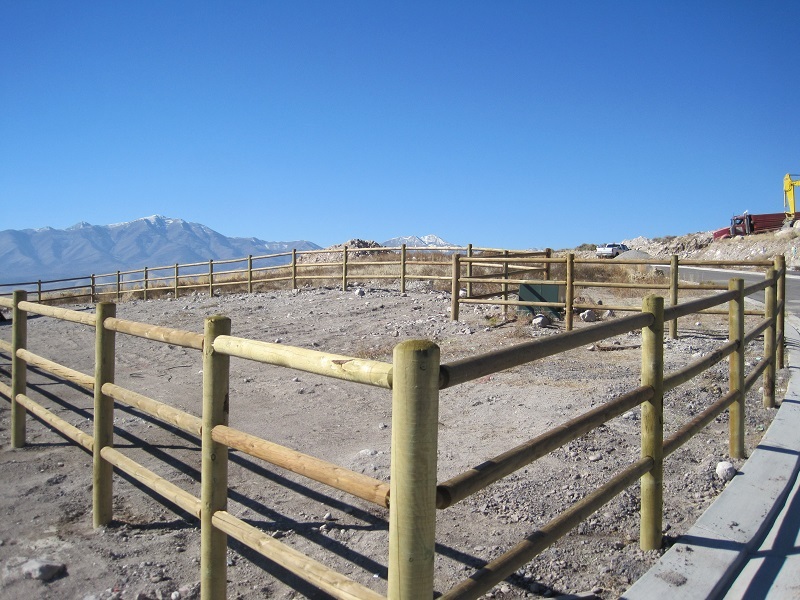 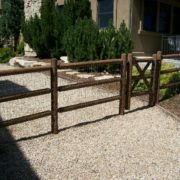 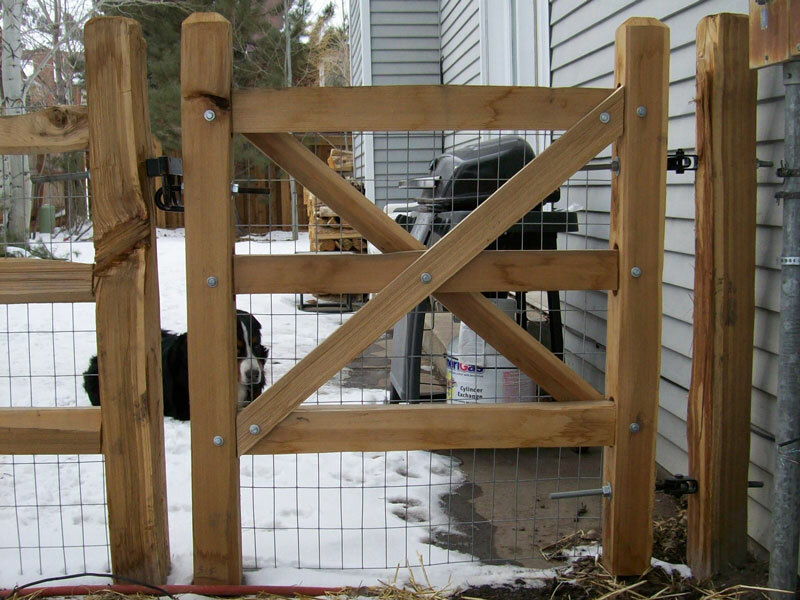 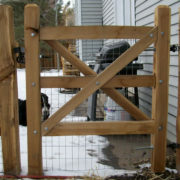 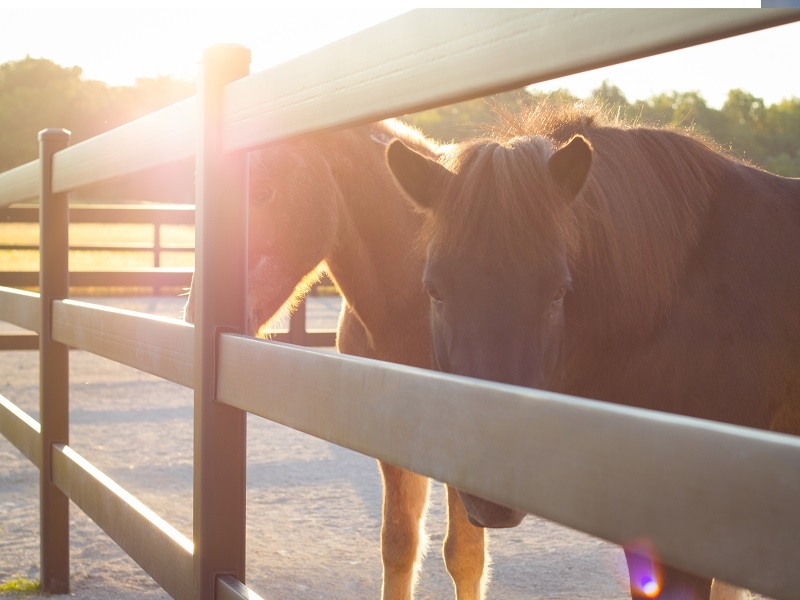 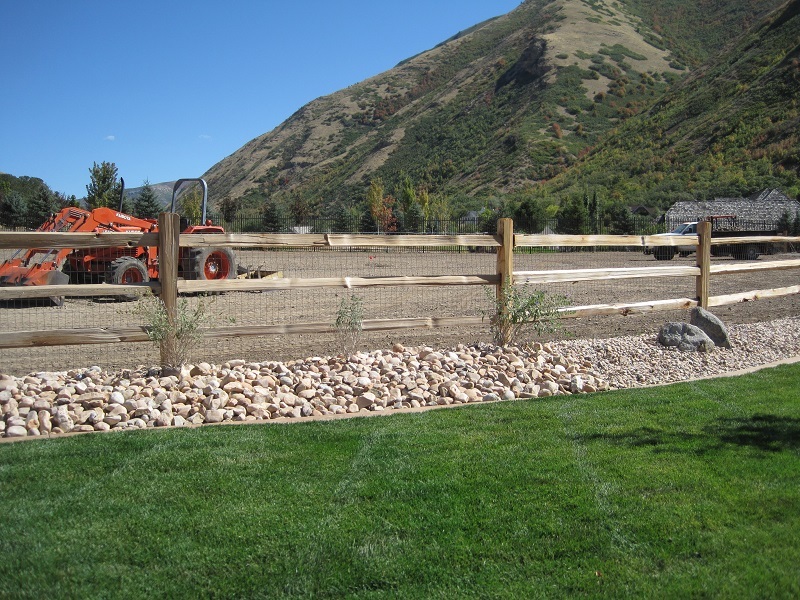 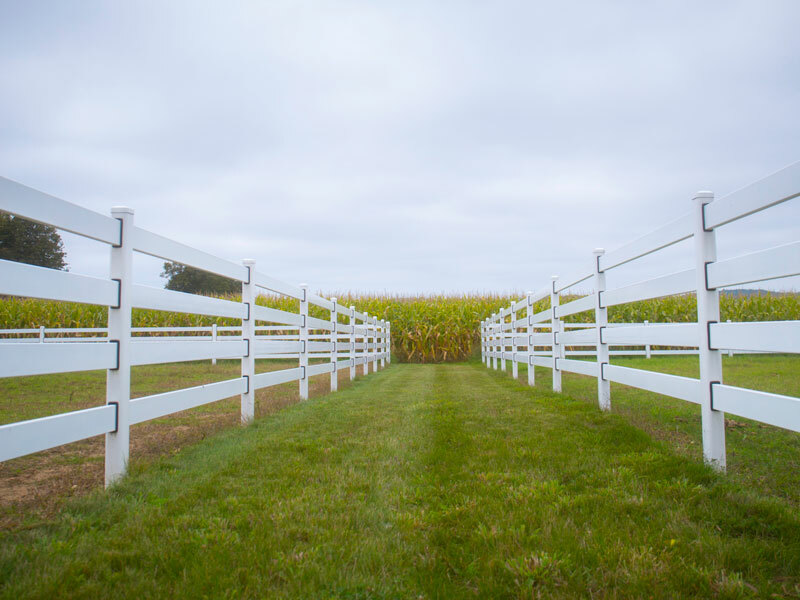 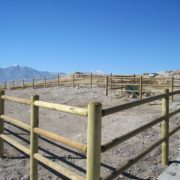 Whether you are looking to keep horses in or just create a boarder, this steel rail fence cannot be beat. 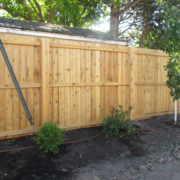 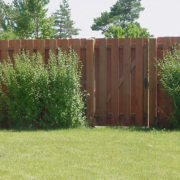 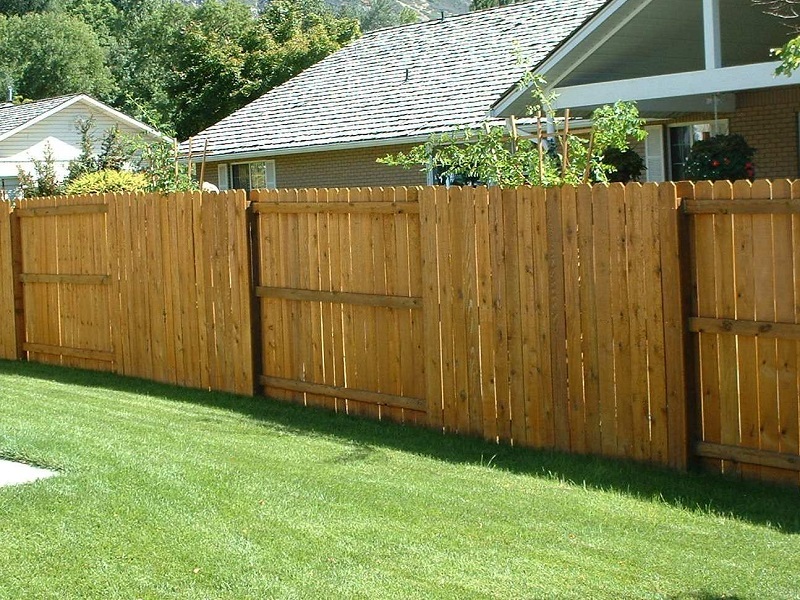 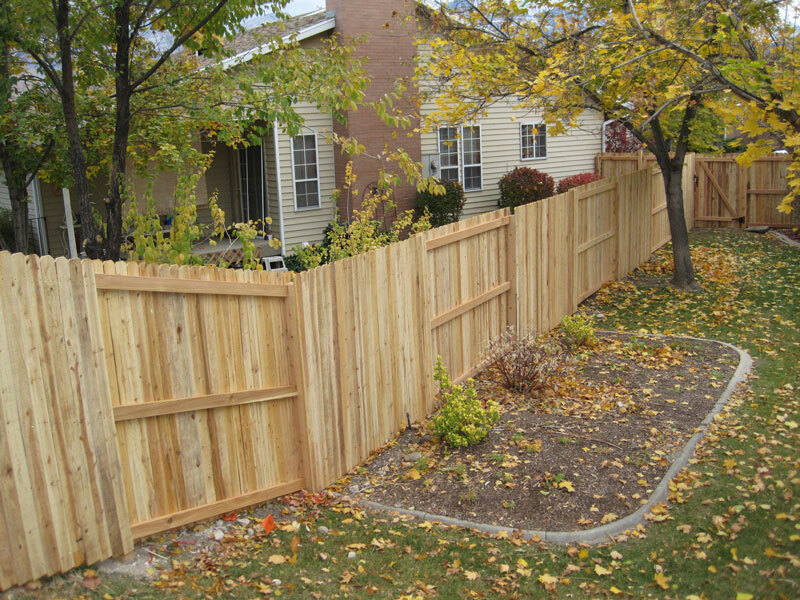 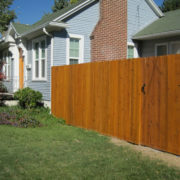 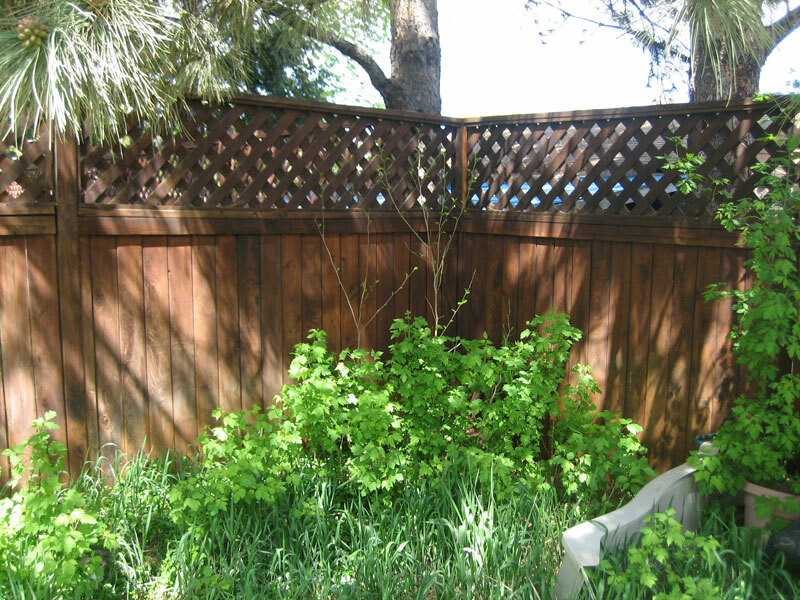 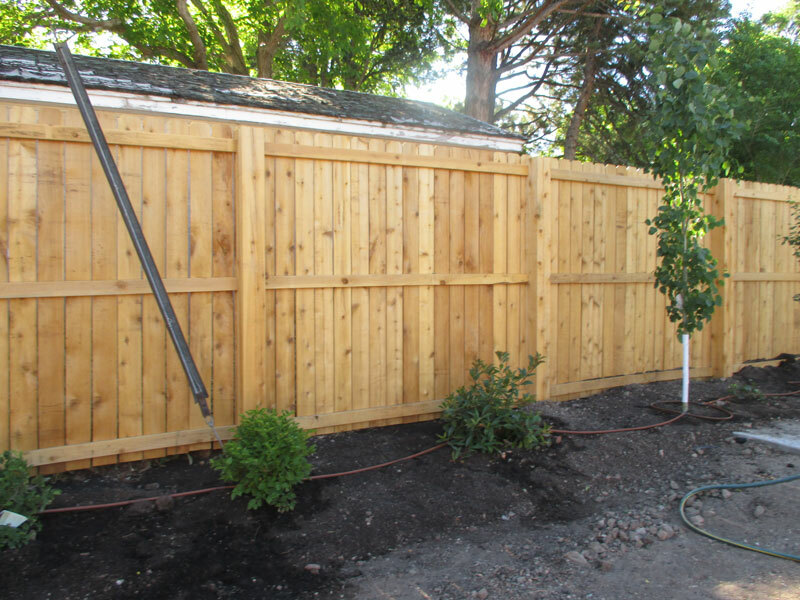 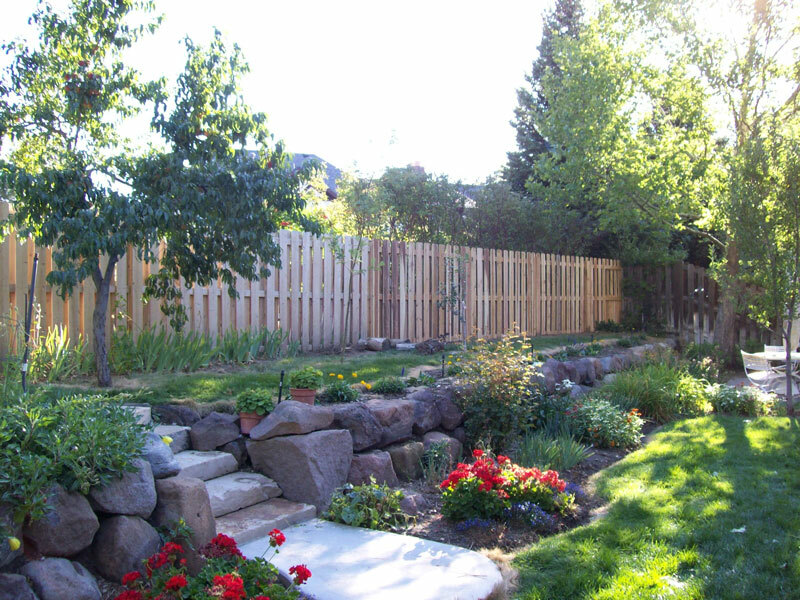 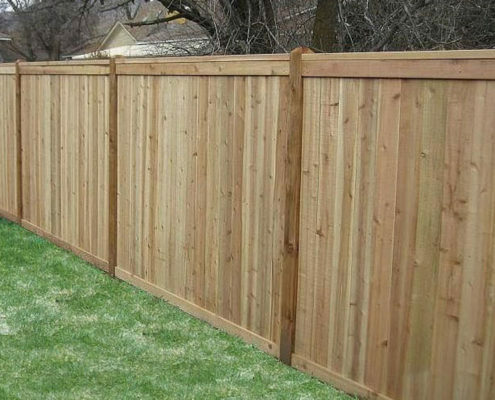 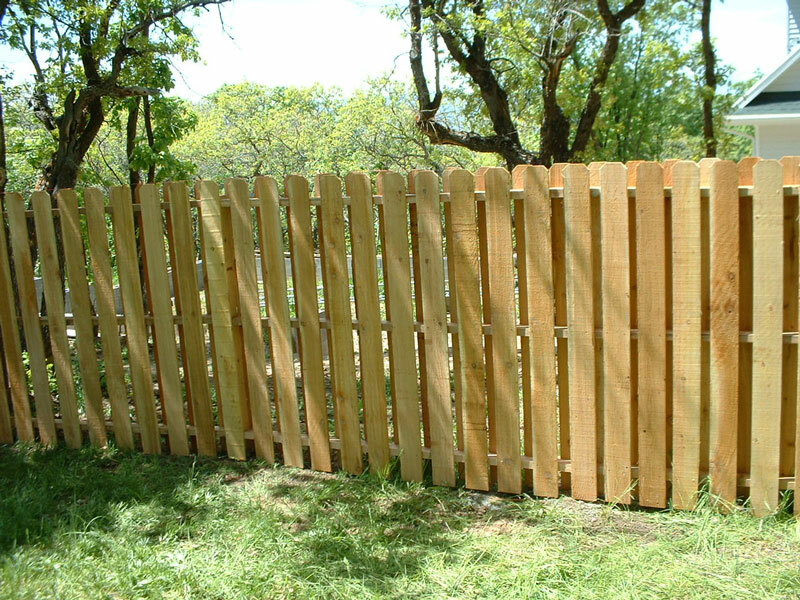 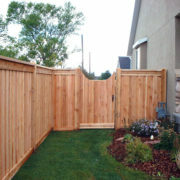 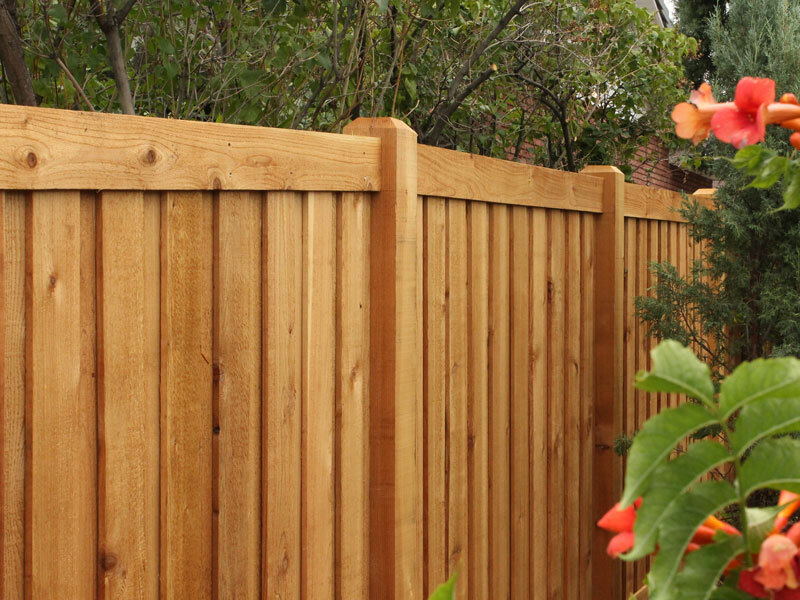 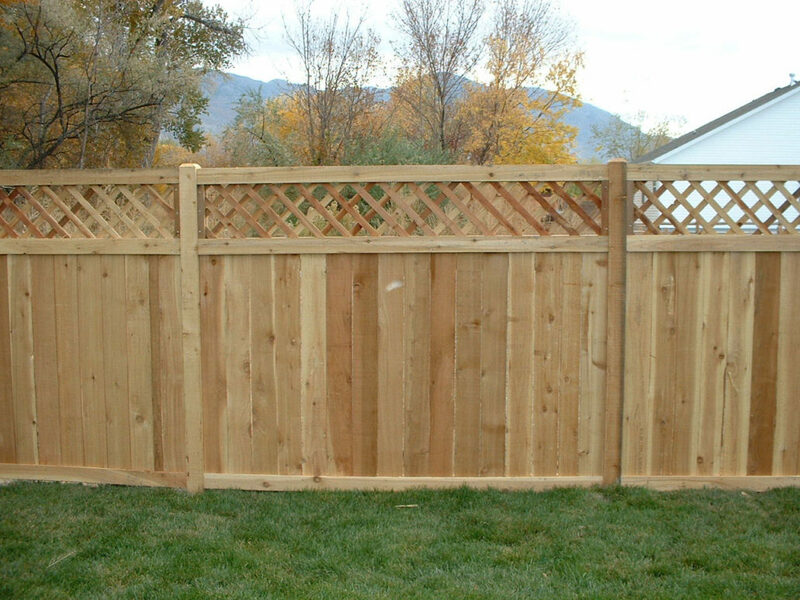 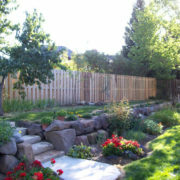 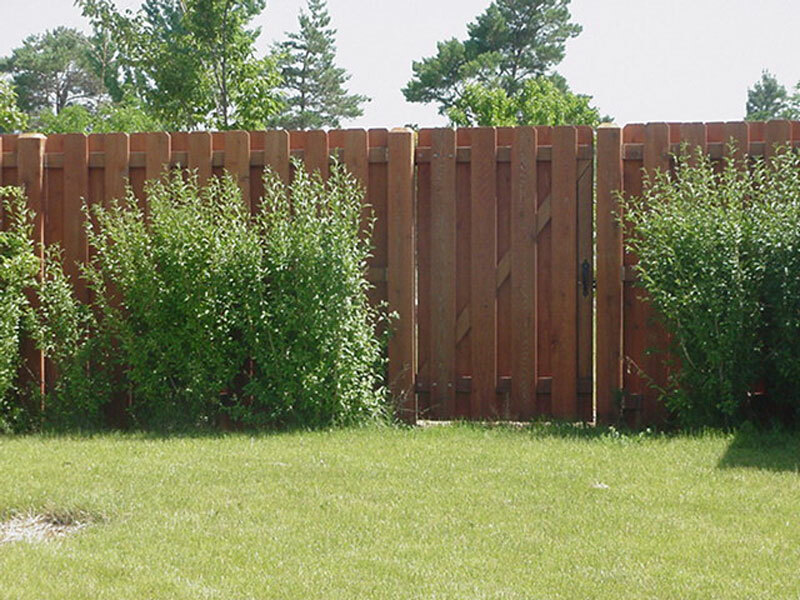 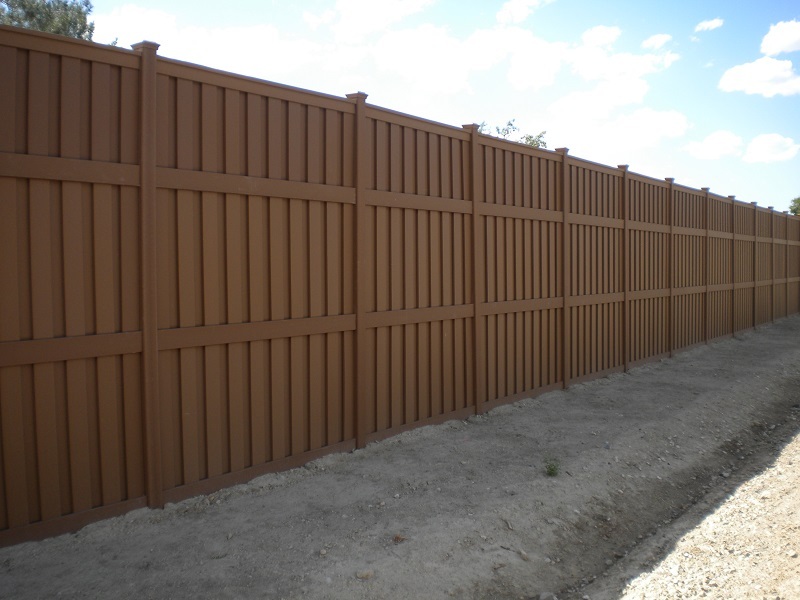 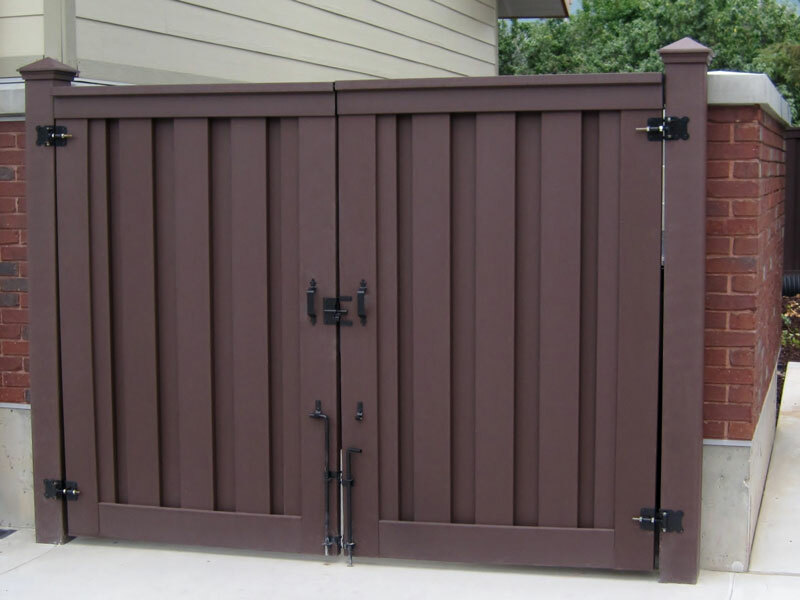 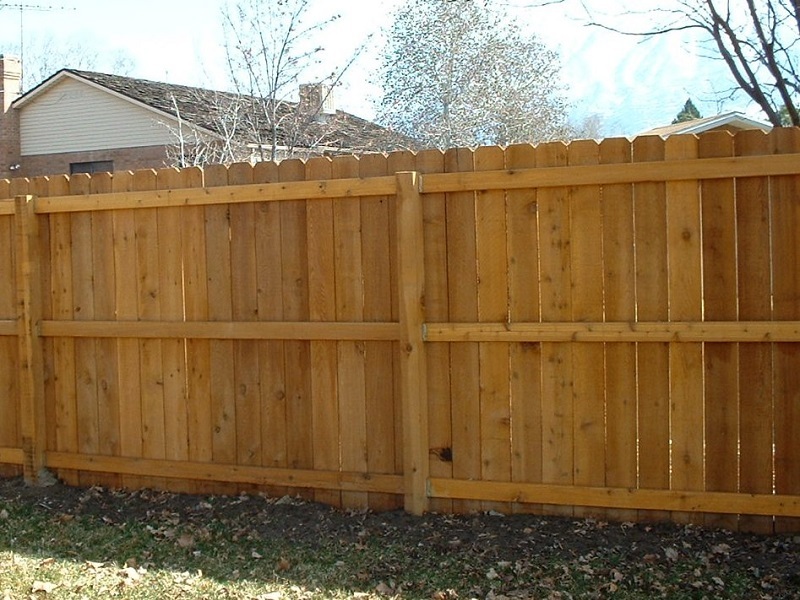 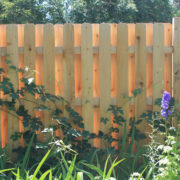 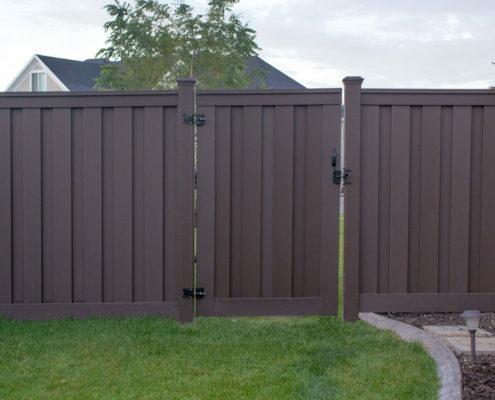 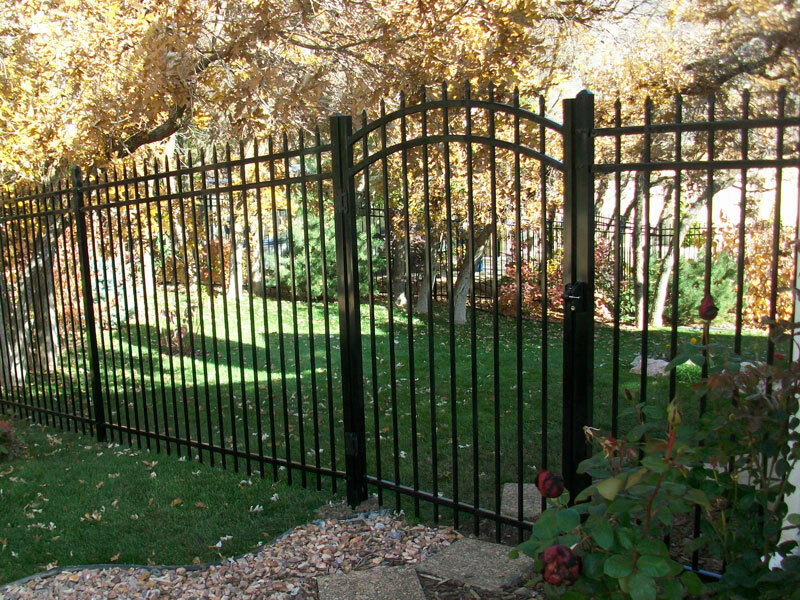 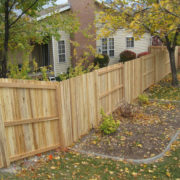 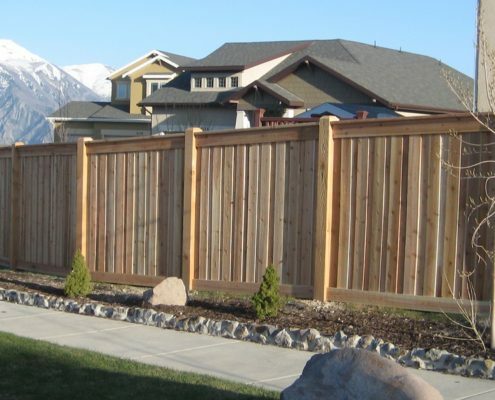 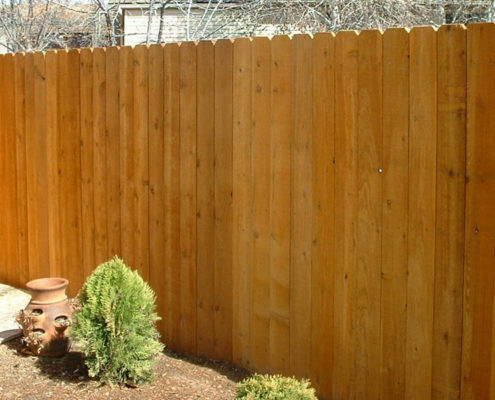 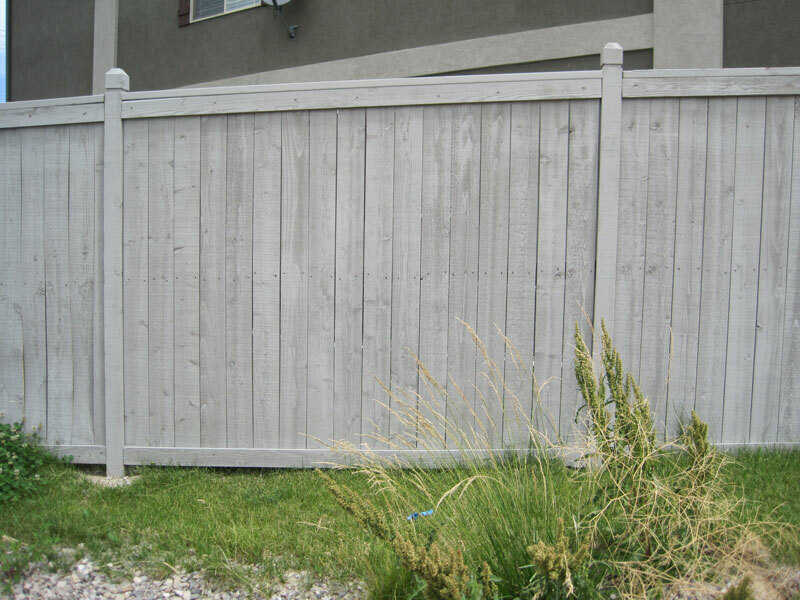 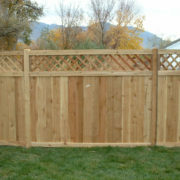 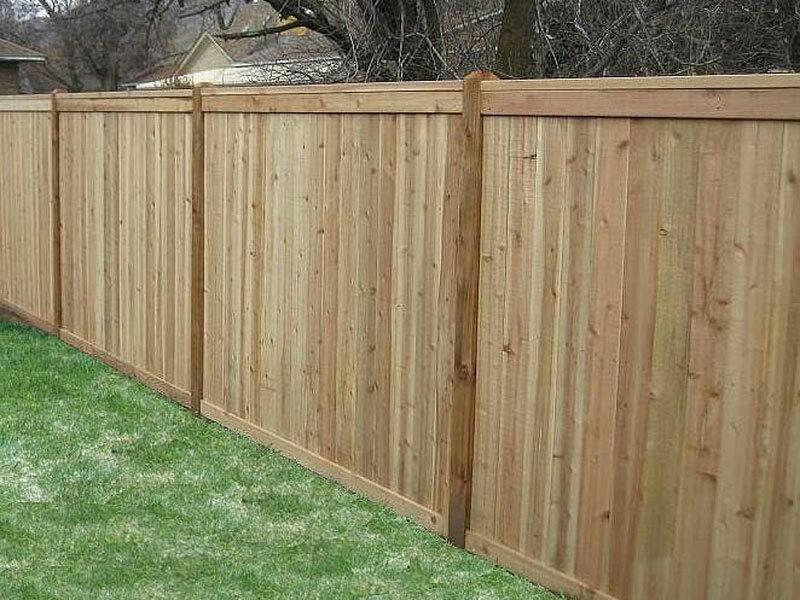 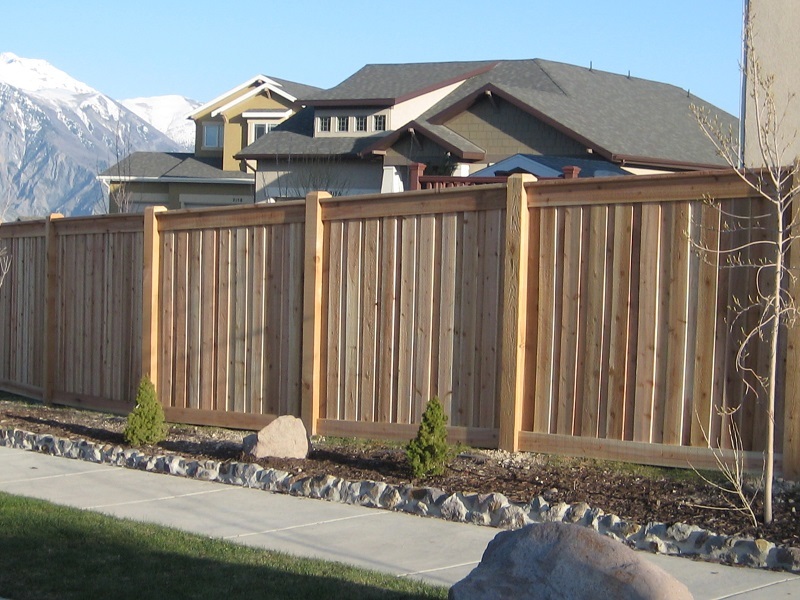 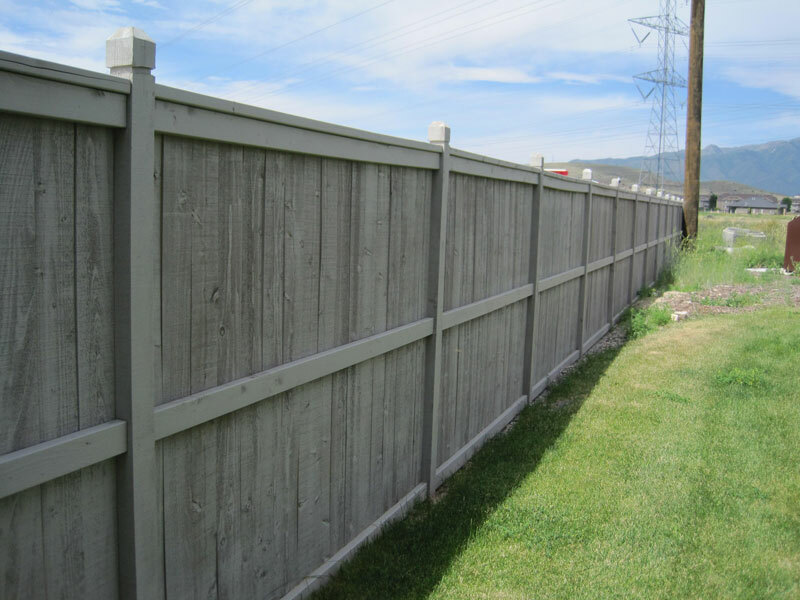 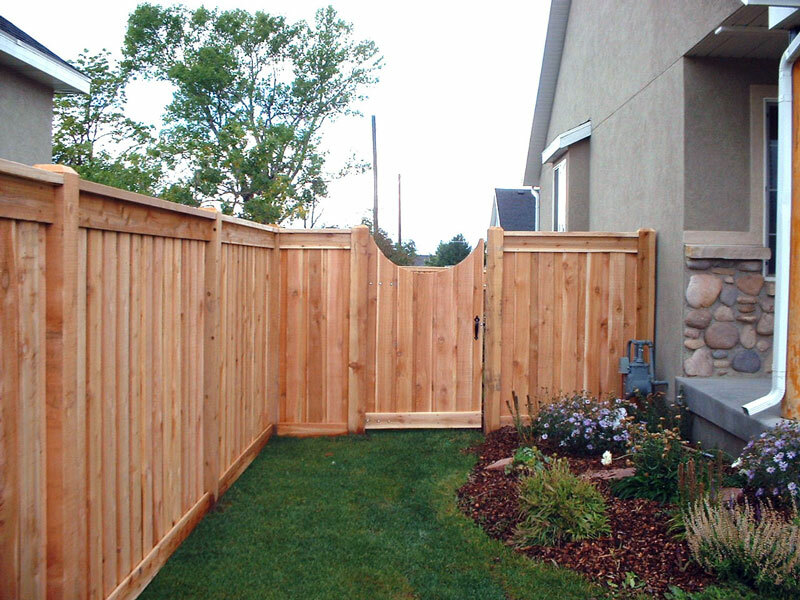 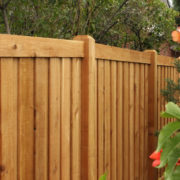 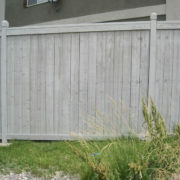 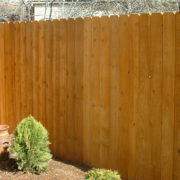 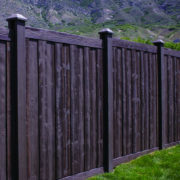 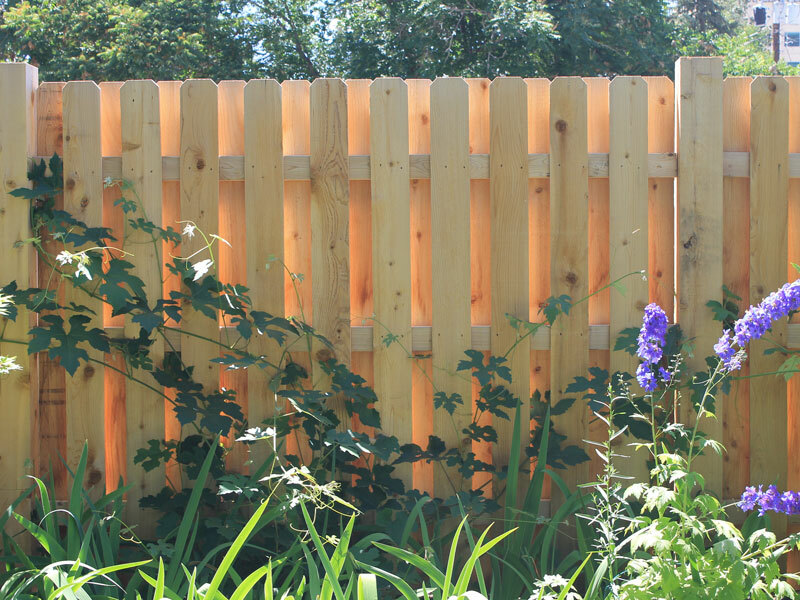 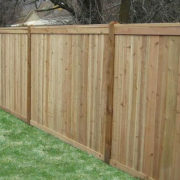 If you are looking to secure your backyard, wood fencing is a great solution. 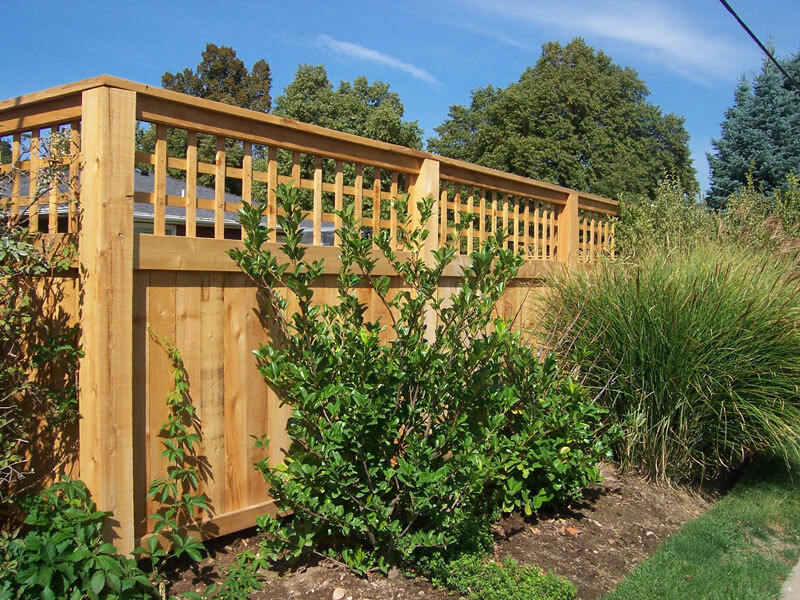 Not only is wood strong, but it is also versatile to be built to any design or need that you might have. 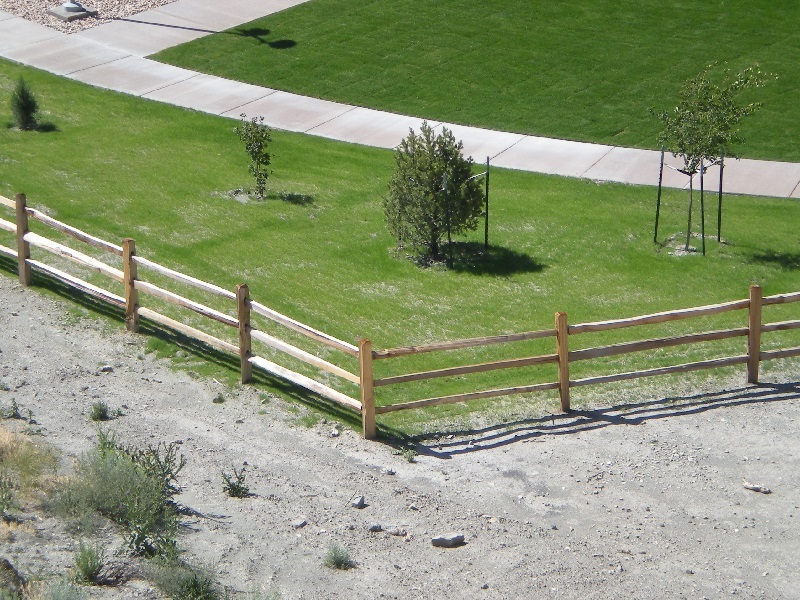 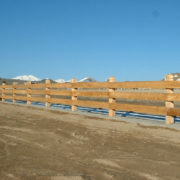 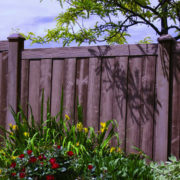 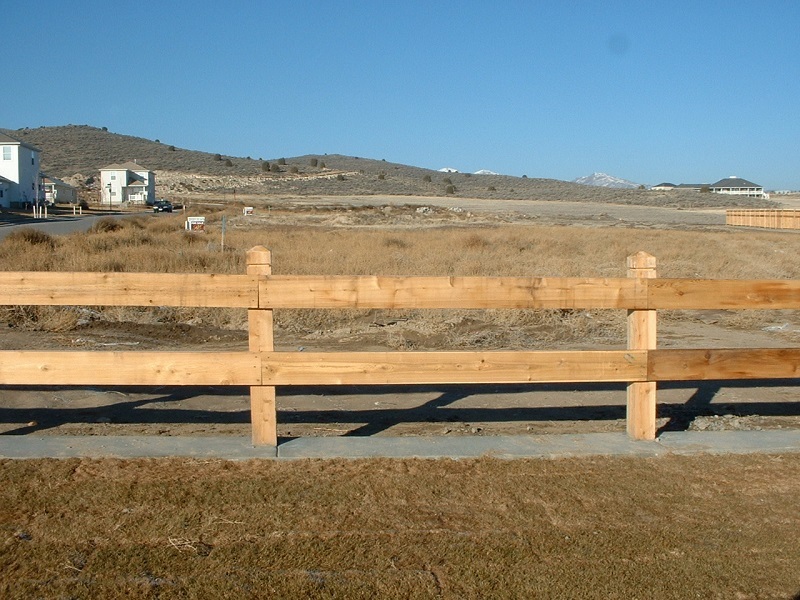 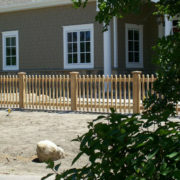 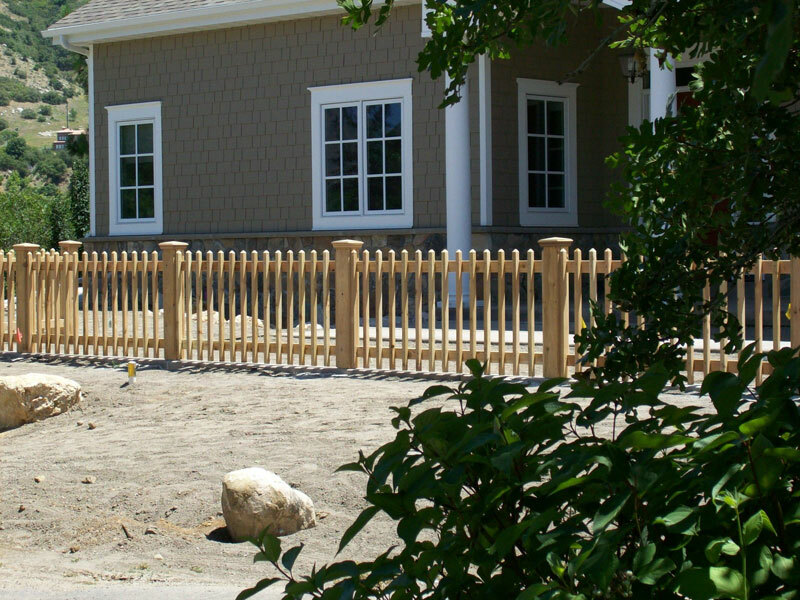 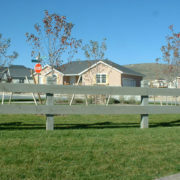 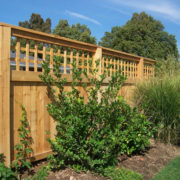 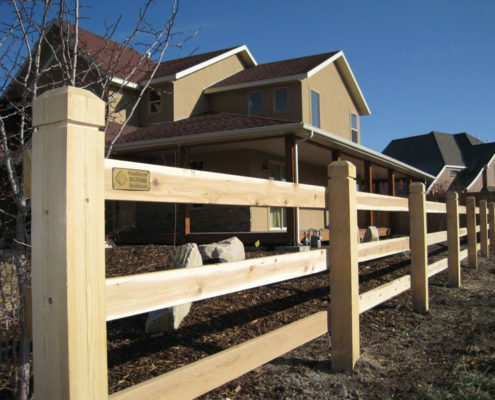 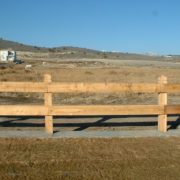 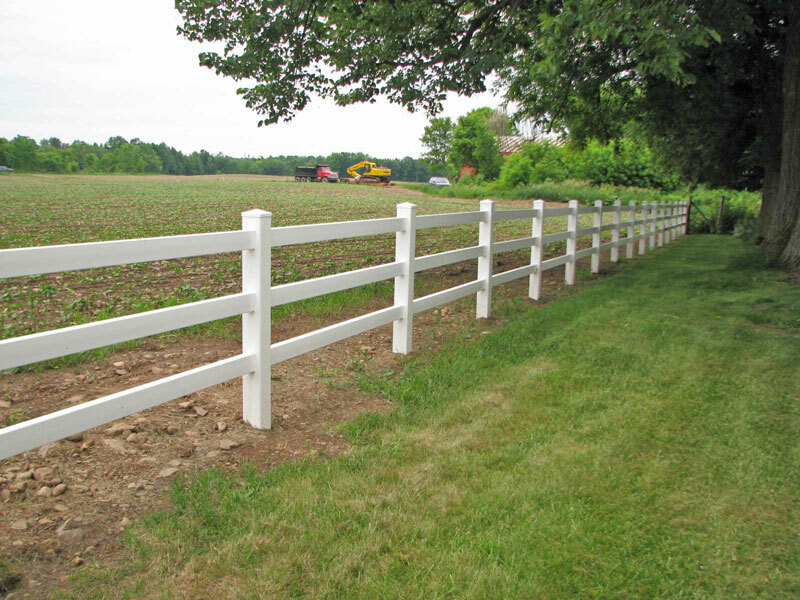 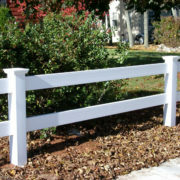 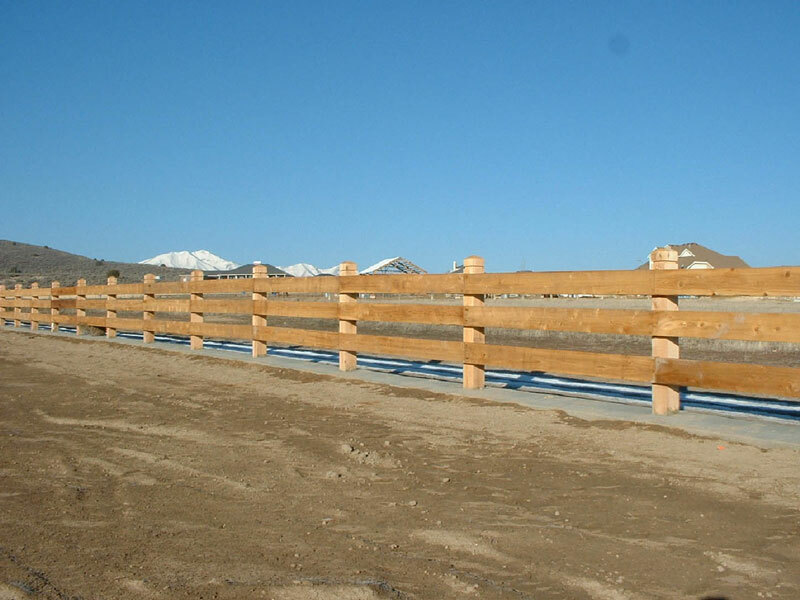 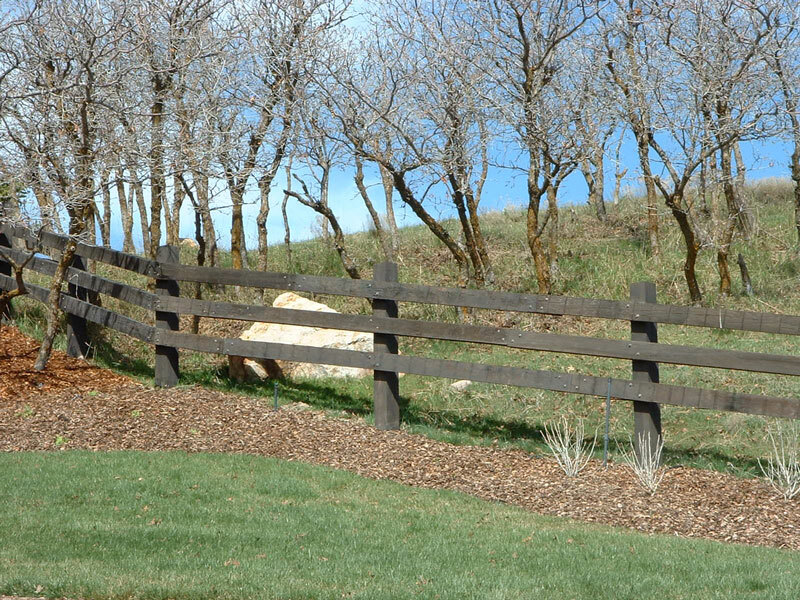 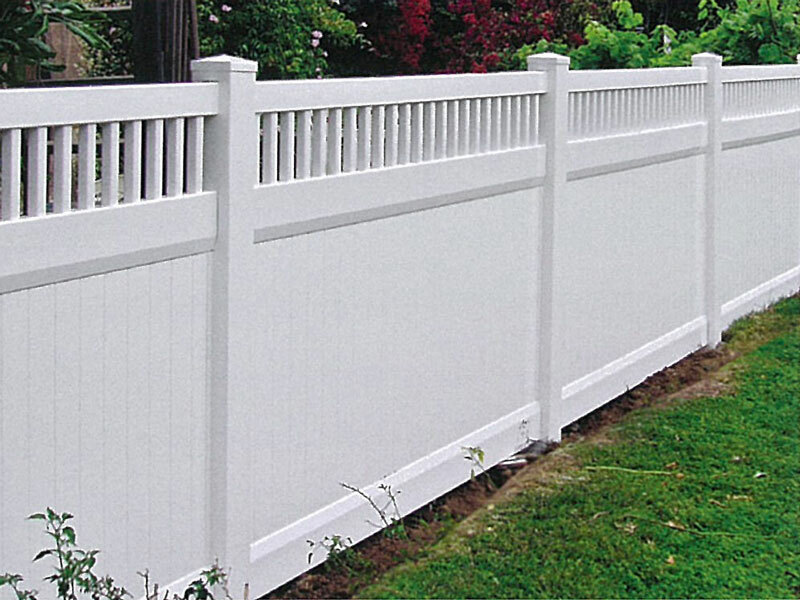 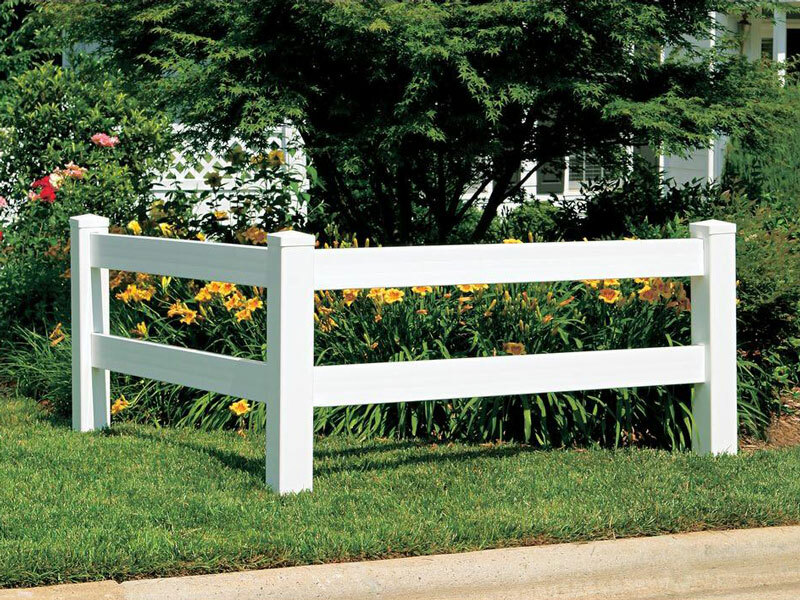 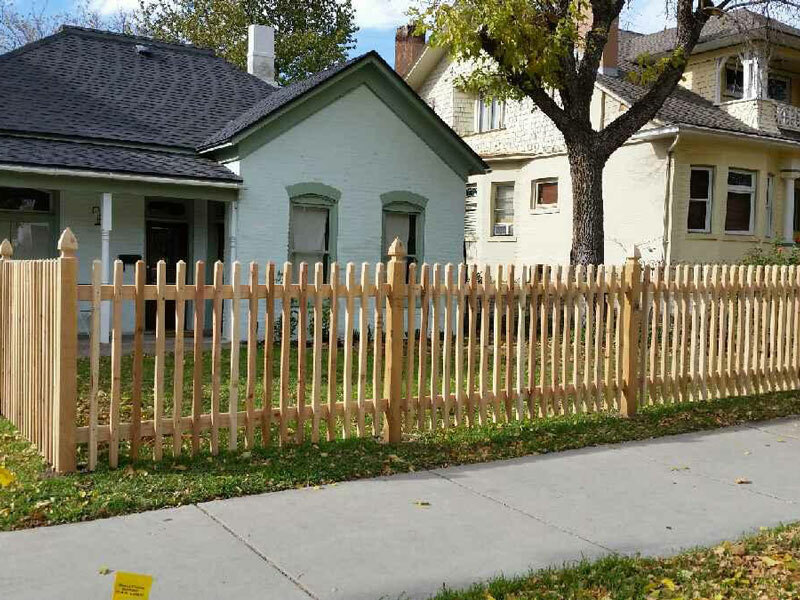 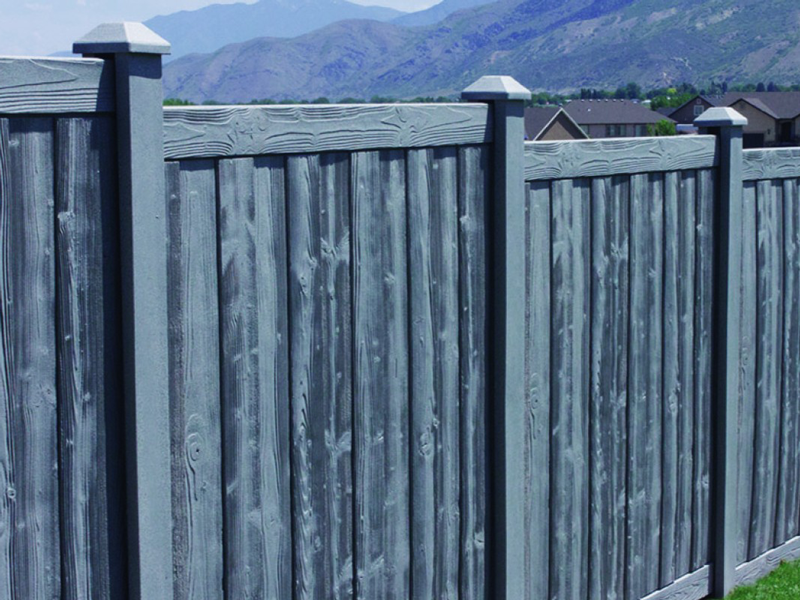 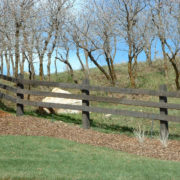 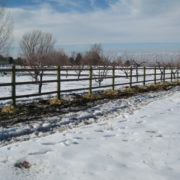 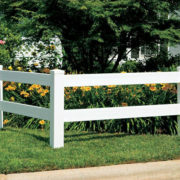 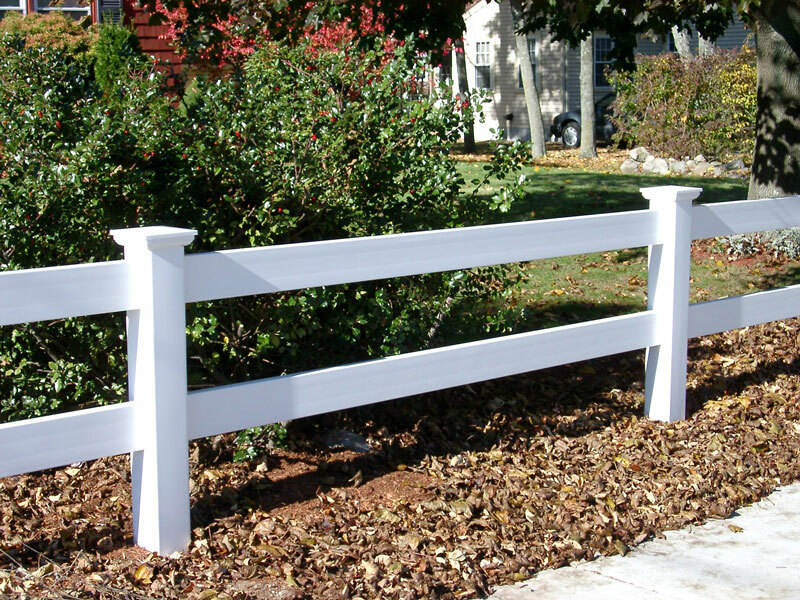 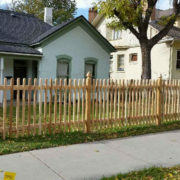 No rail fence matches the ease of installation and versatility of this wood rail fence. 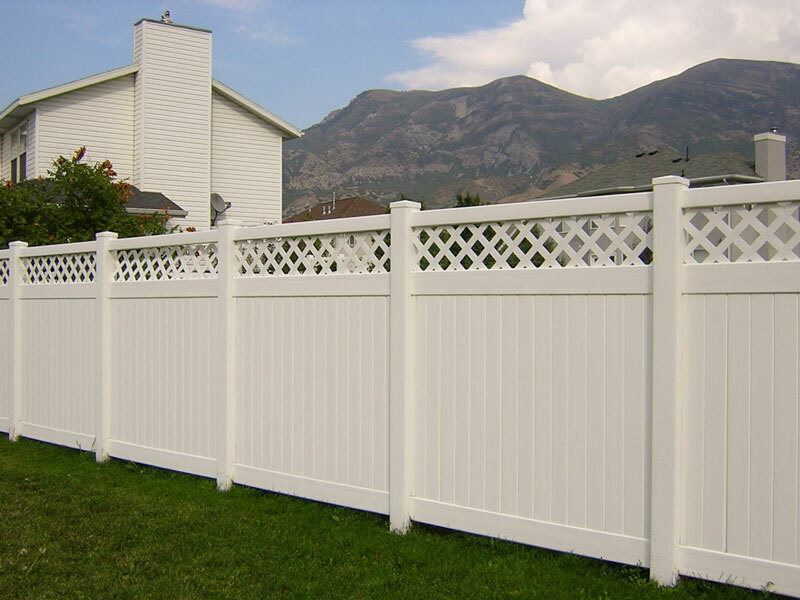 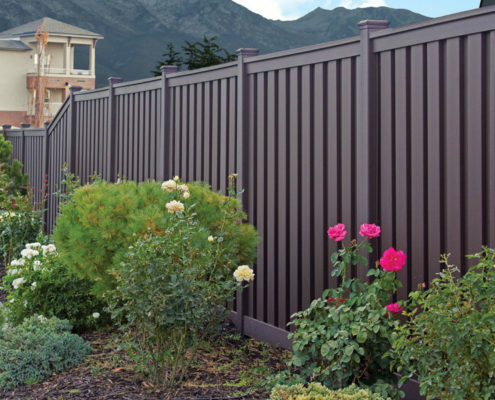 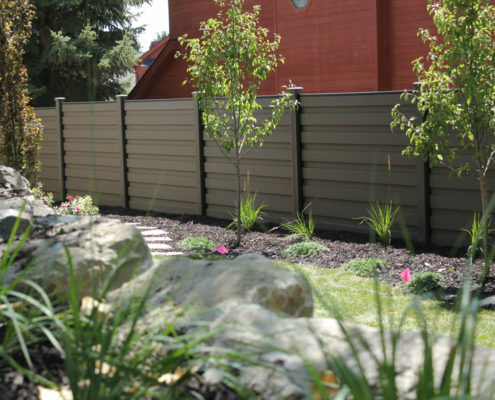 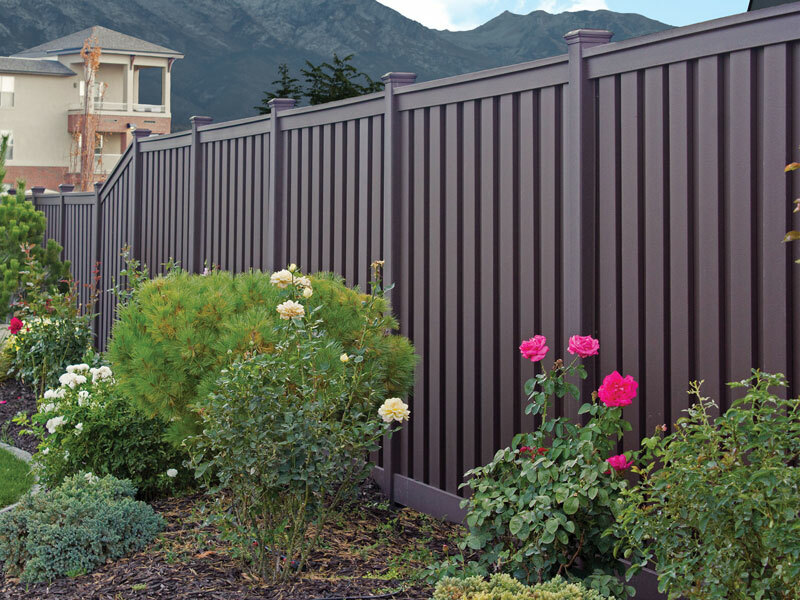 Vinyl fencing offers a low maintenance alternative to securing your backyard. 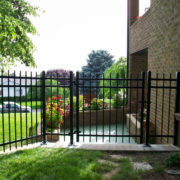 Easy to install, beautiful and secure. 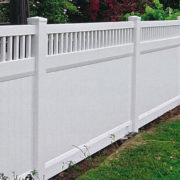 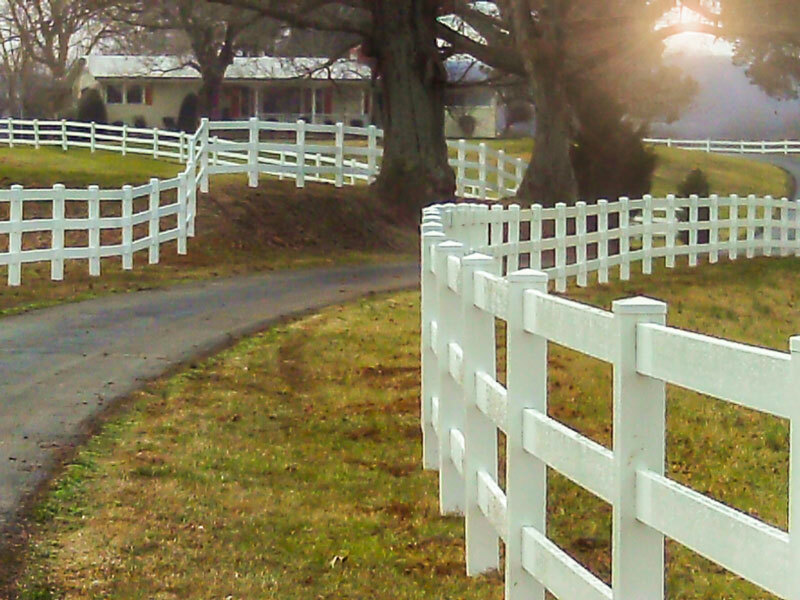 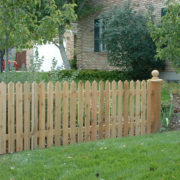 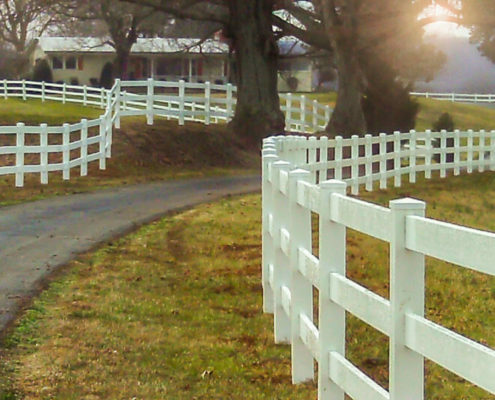 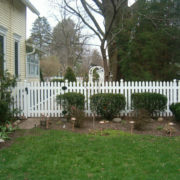 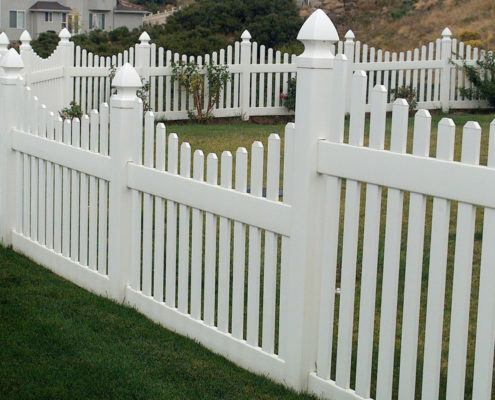 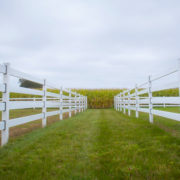 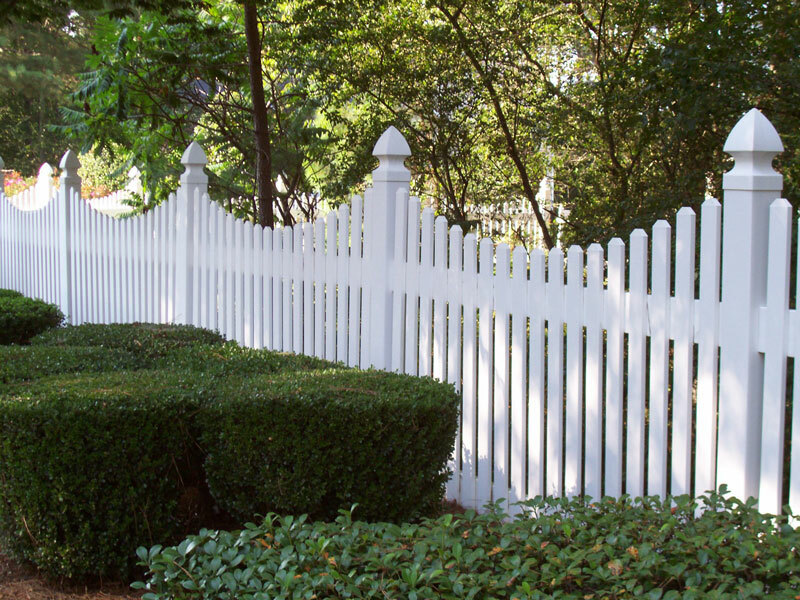 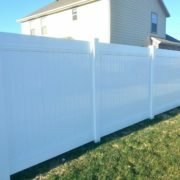 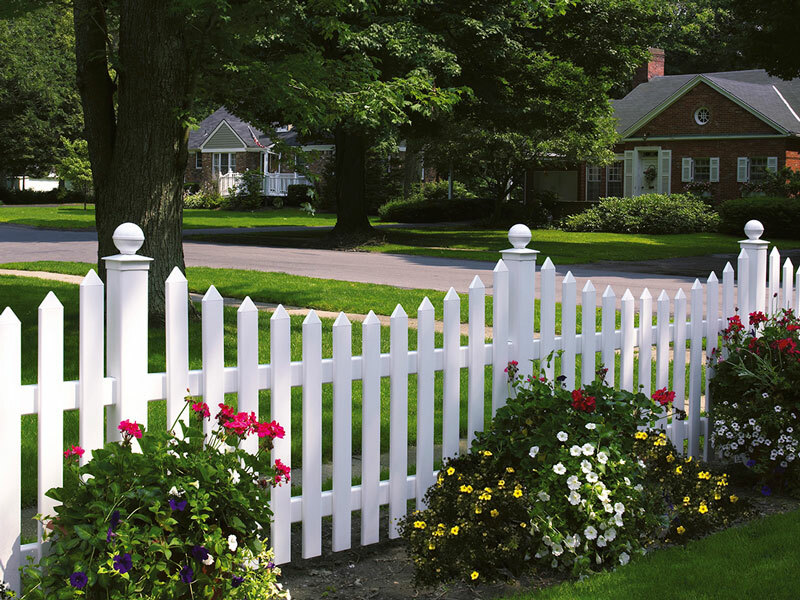 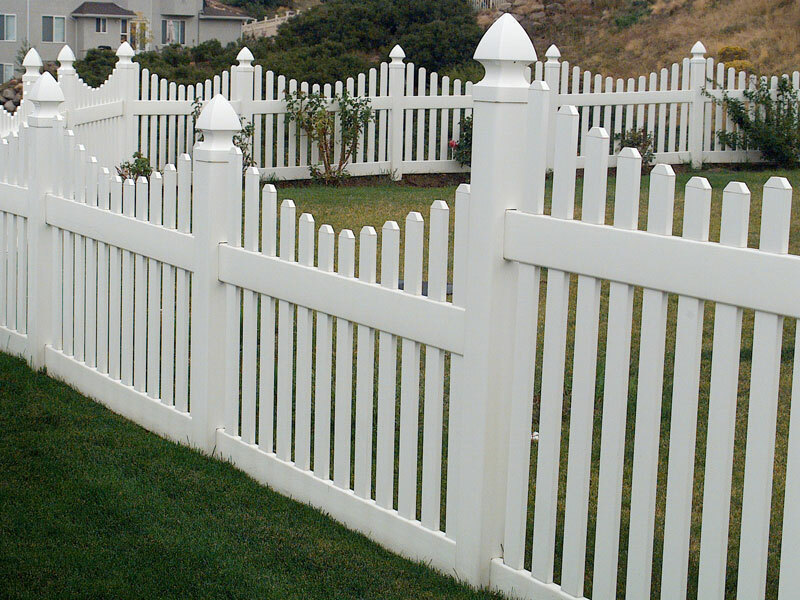 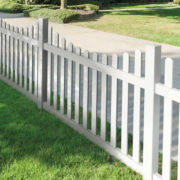 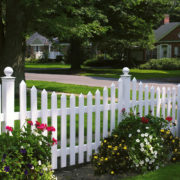 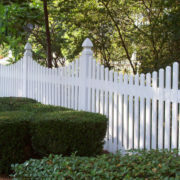 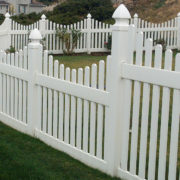 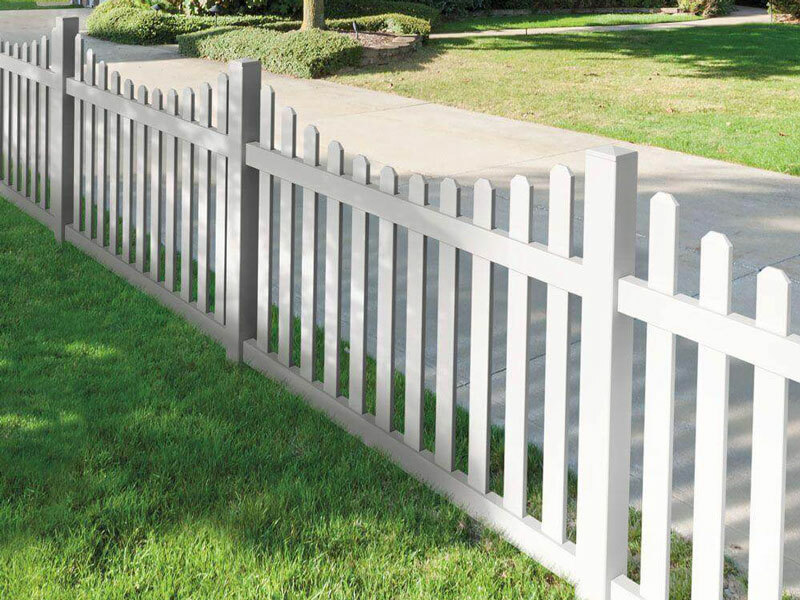 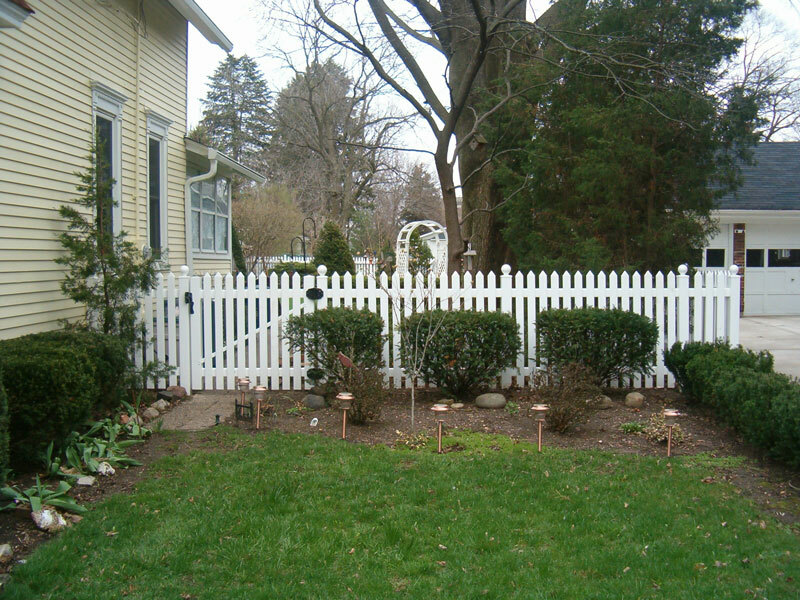 A white picket fence that never needs painting, even Tom Sawyer would love this fence.